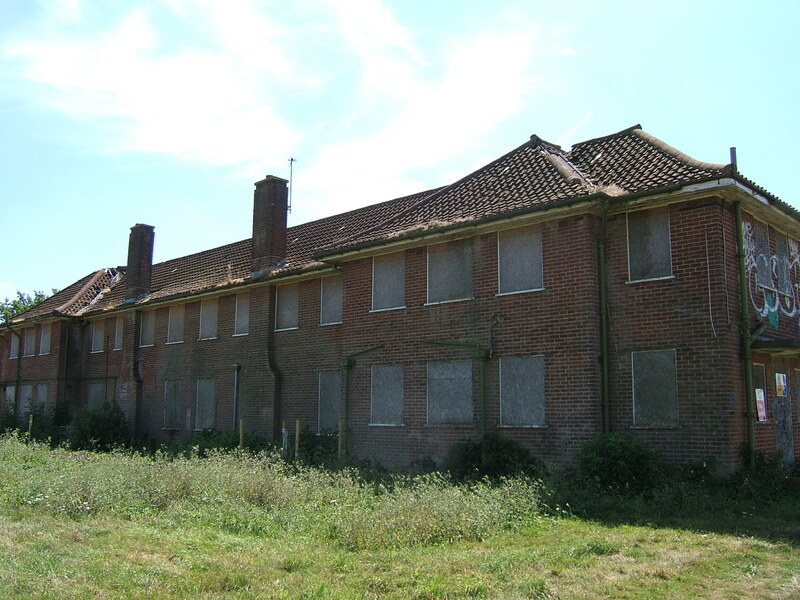 From 1833 to 1872 the County of Kent managed to provide accommodation for inmates at its lunatic asylum in Barming Heath near Maidstone, however it was becoming obvious by this point that despite various additions, a second asylum site would be required. 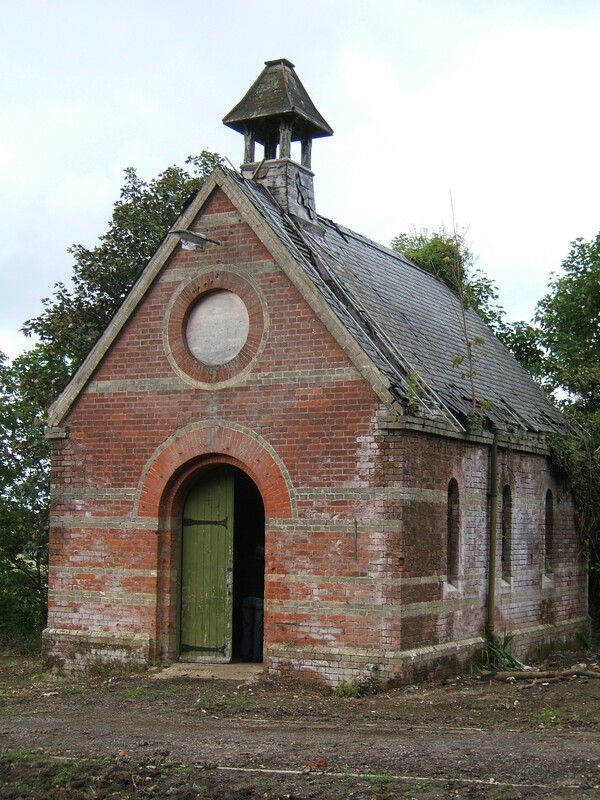 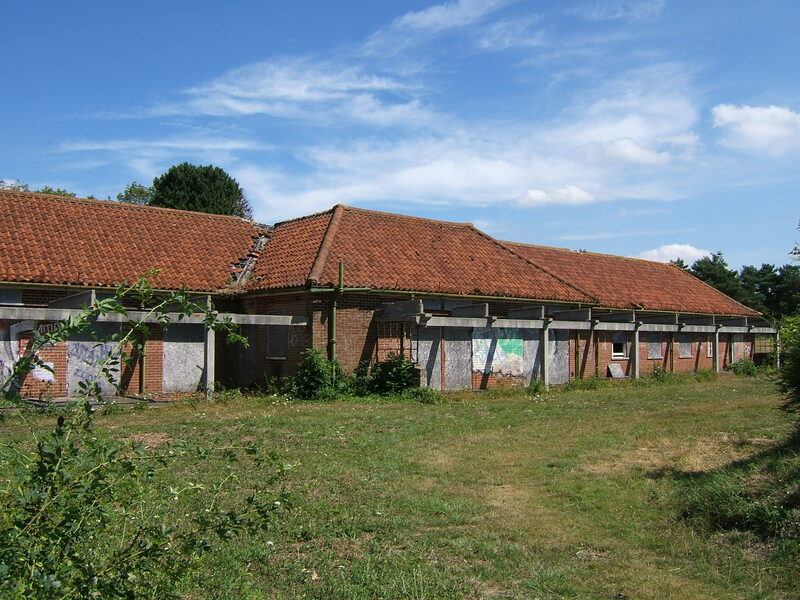 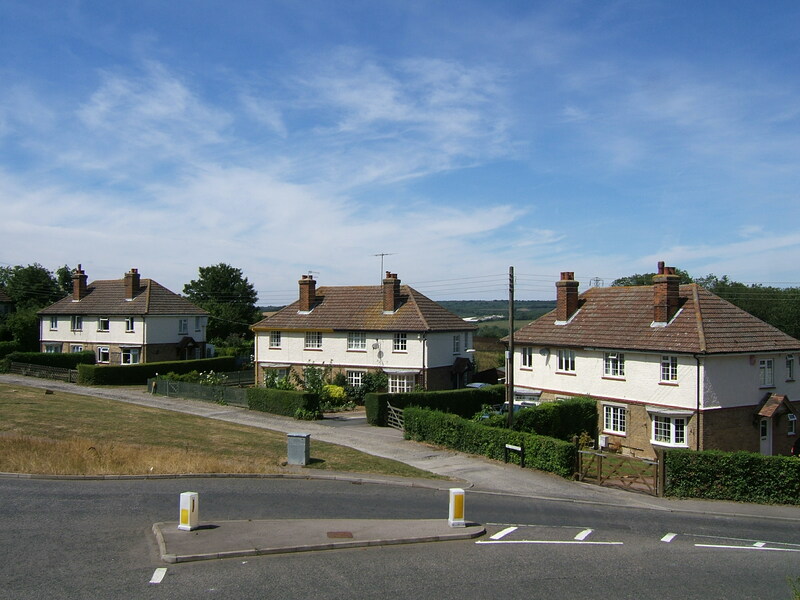 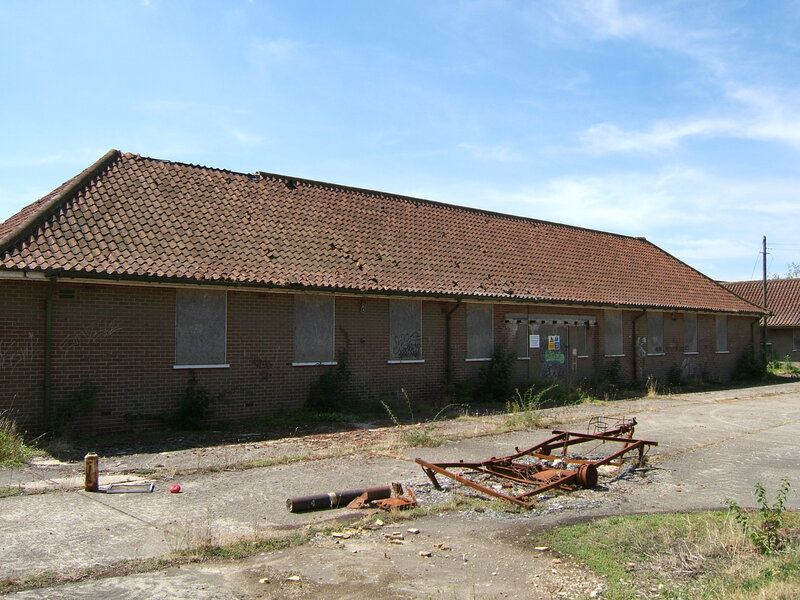 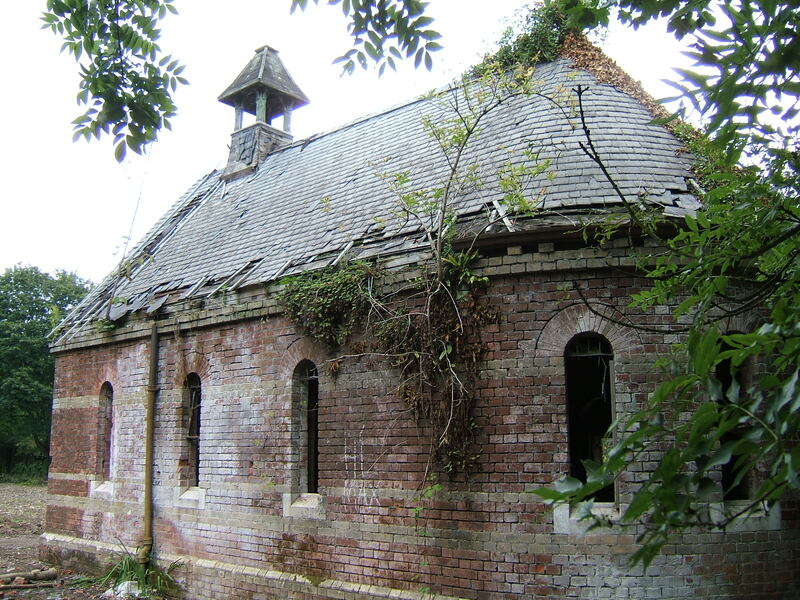 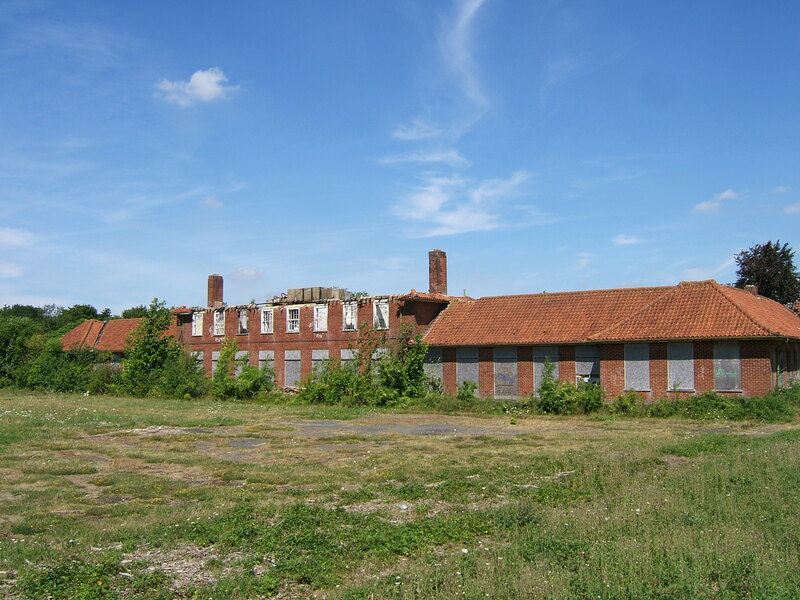 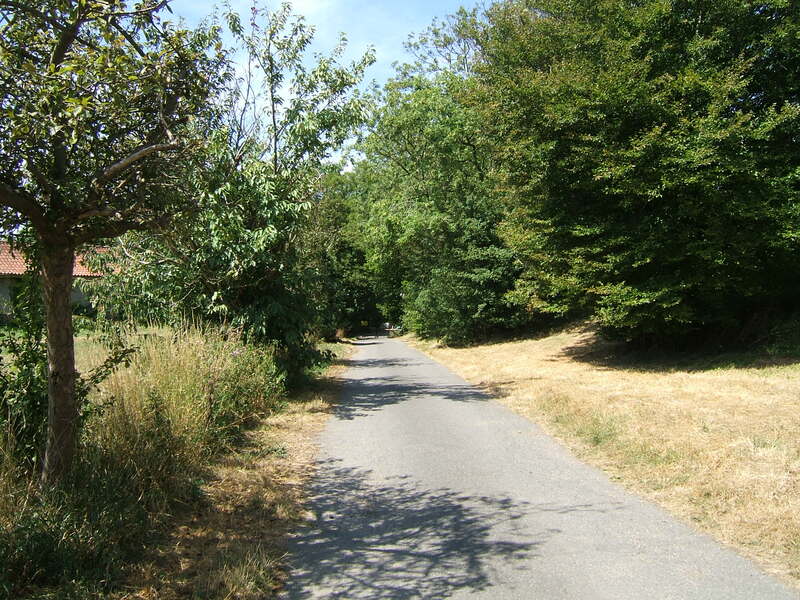 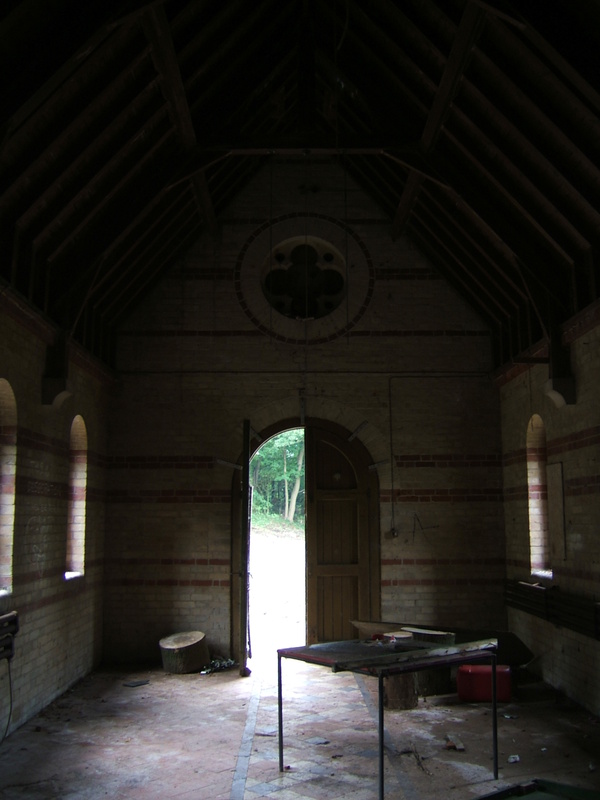 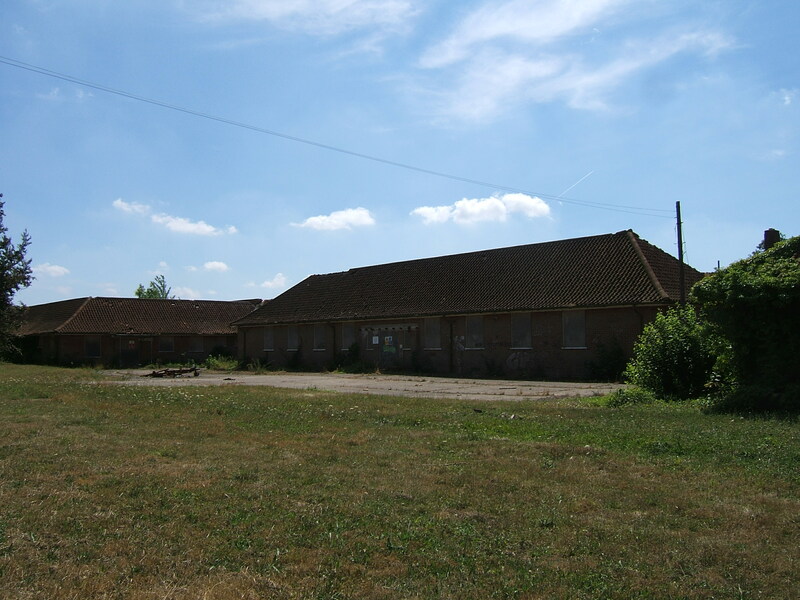 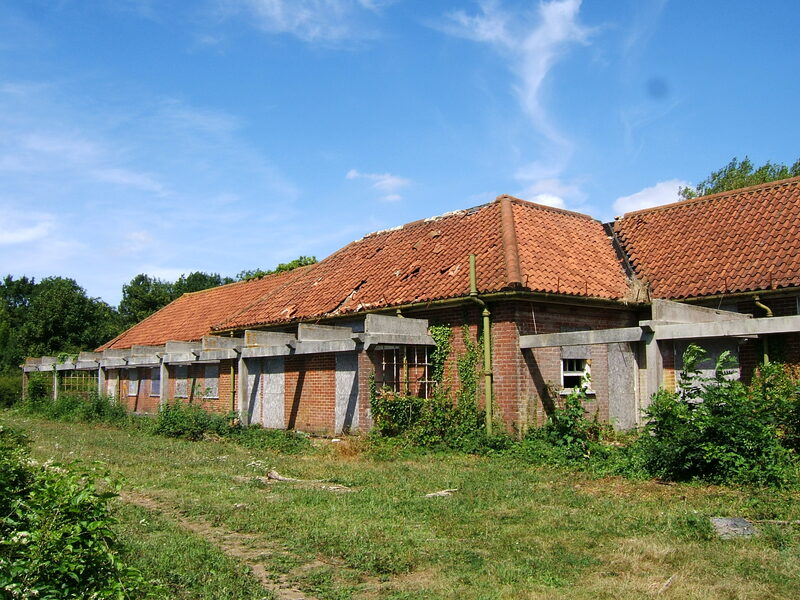 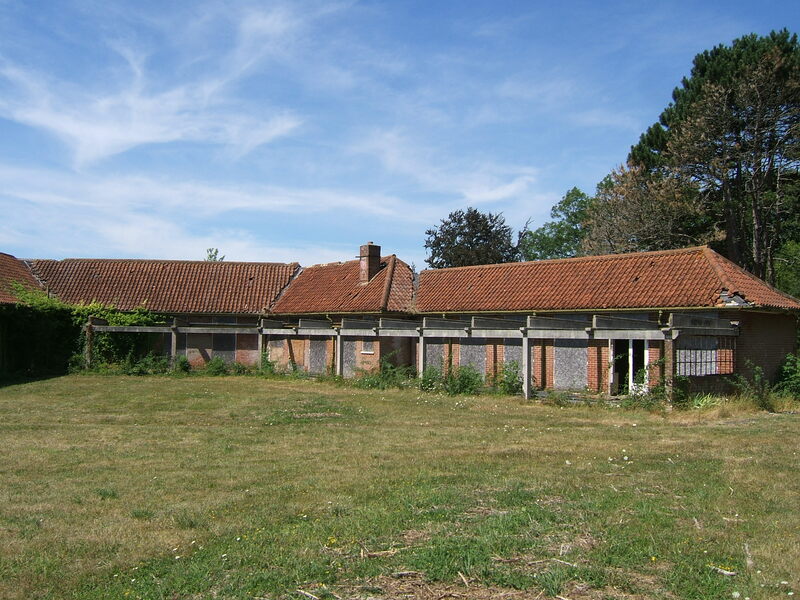 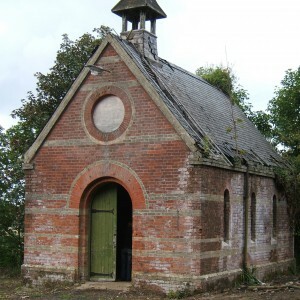 It was determined by the visiting committee that the new asylum should be more convenient for the population of East Kent who were remote from the present site at Barming Heath and a suitable site at Chartham, near Canterbury, was selected. 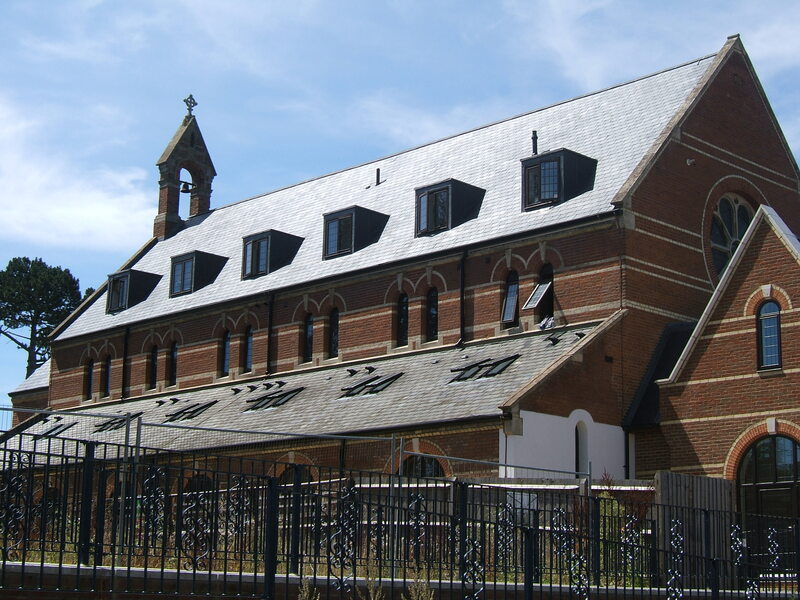 The plan for the site was developed by the architectural firm, John Giles and Gough who were beginning to make their name in workhouse and asylum design. 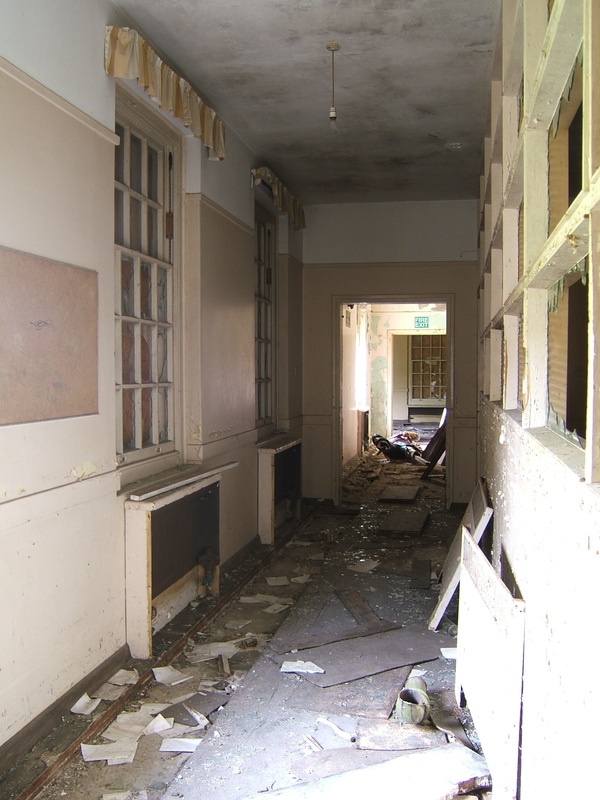 The plan for the new asylum was to utilise the Corridor-Pavilion type layout which incorporated features of both the traditional corridor plan and the recently advocated pavilion principles. 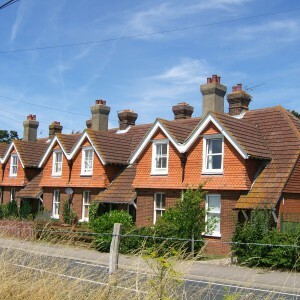 This combination took the form of a linear block running either side of the central services with male and female divisions located to the east and west respectively. 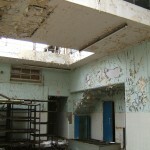 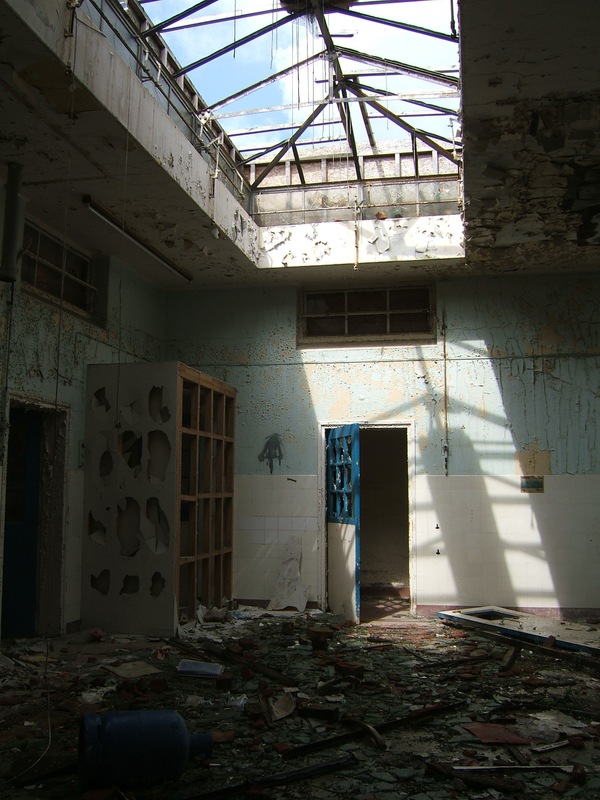 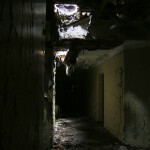 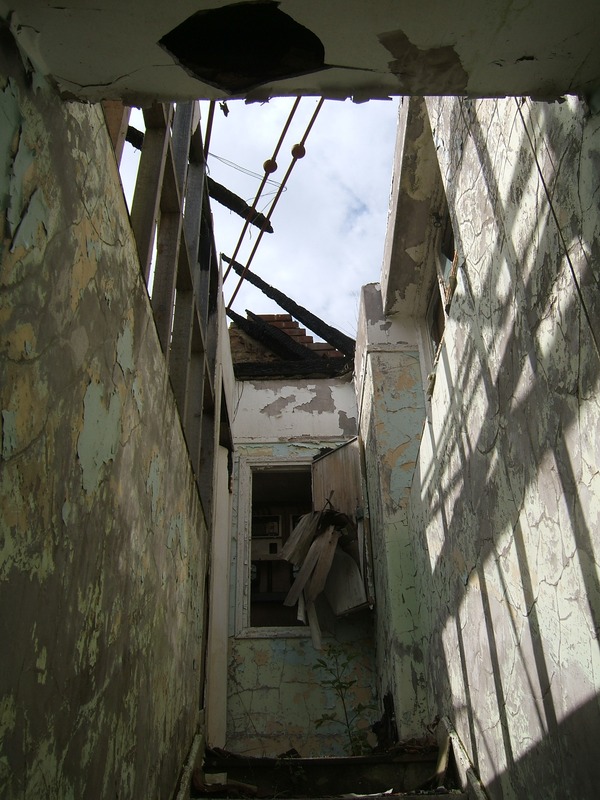 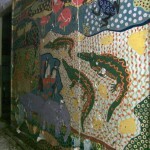 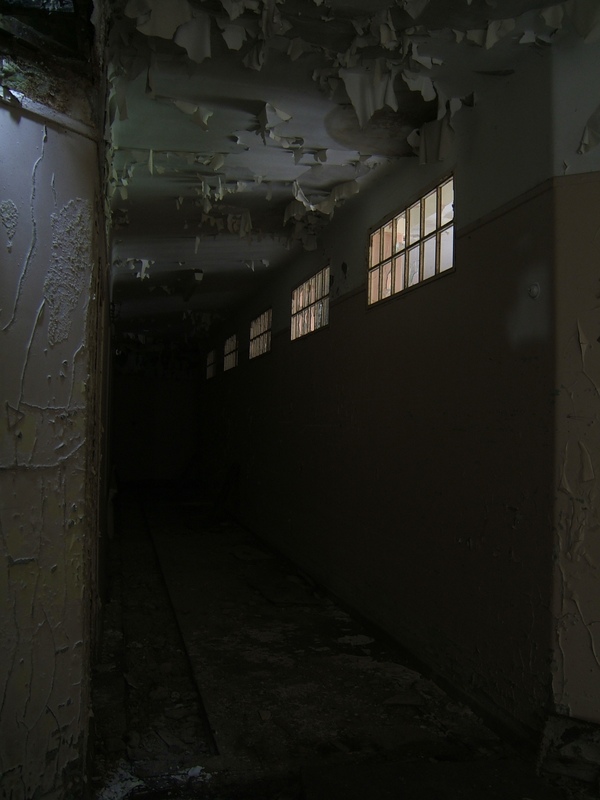 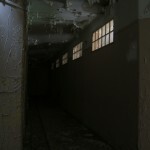 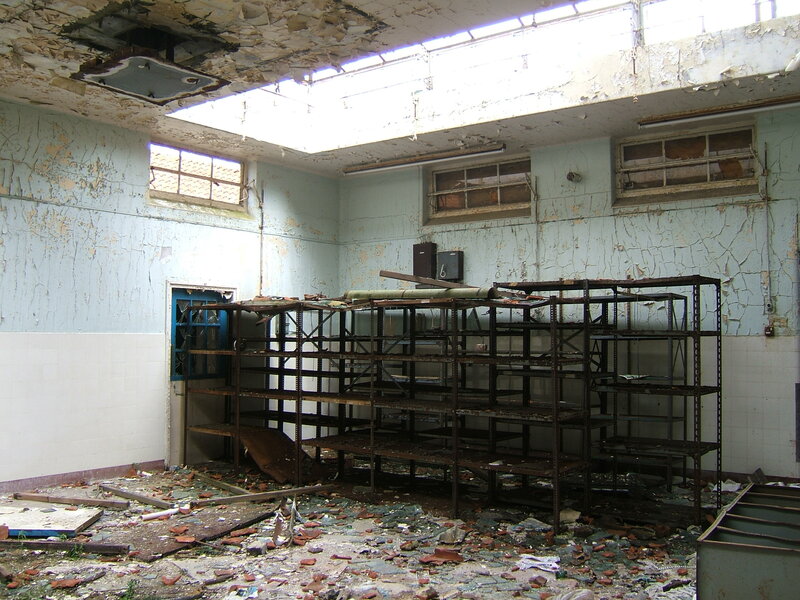 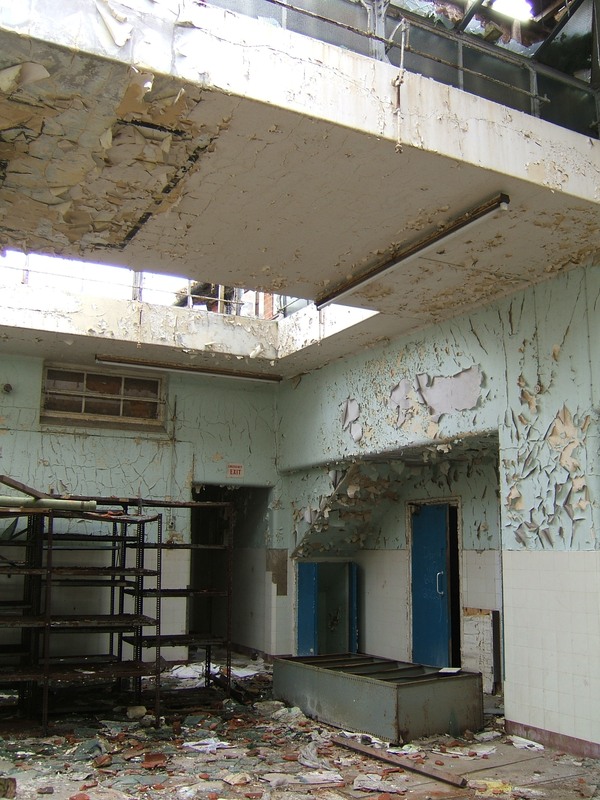 Projecting north on either side of the administration block , stores, laundry and engineering department were two or three storey ward blocks enabling further segregation and categorisation of inmates. 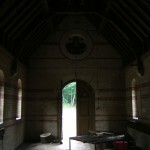 To the south of the main block stood the chapel, airing courts and gardens as well as a number of staff cottages located on the estate boundaries. 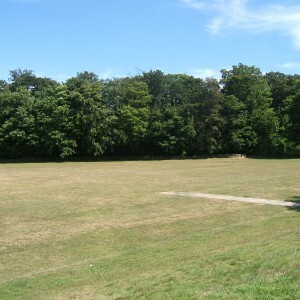 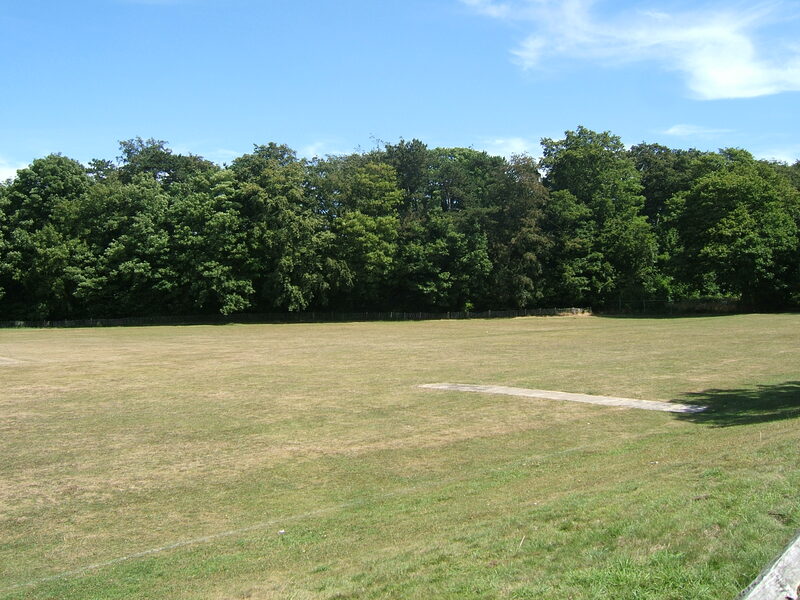 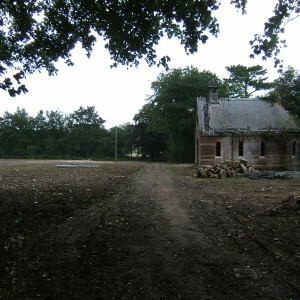 The estate included a farm, sports grounds and cemetery with chapel of rest. 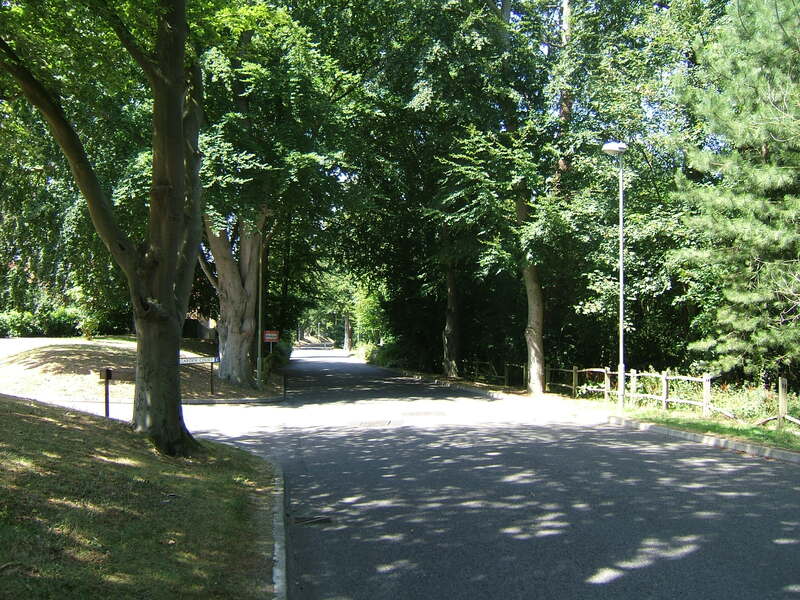 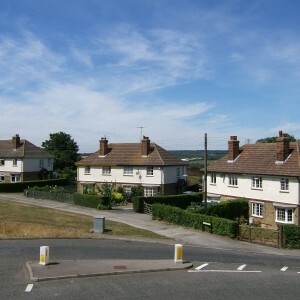 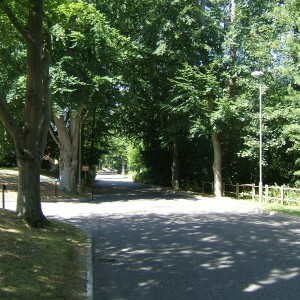 As the estate developed further additional ward blocks were constructed, gradually occupying the former open grounds to the south of the main building around the turn of the century and into the 1920’s. 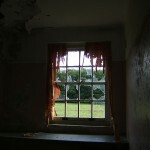 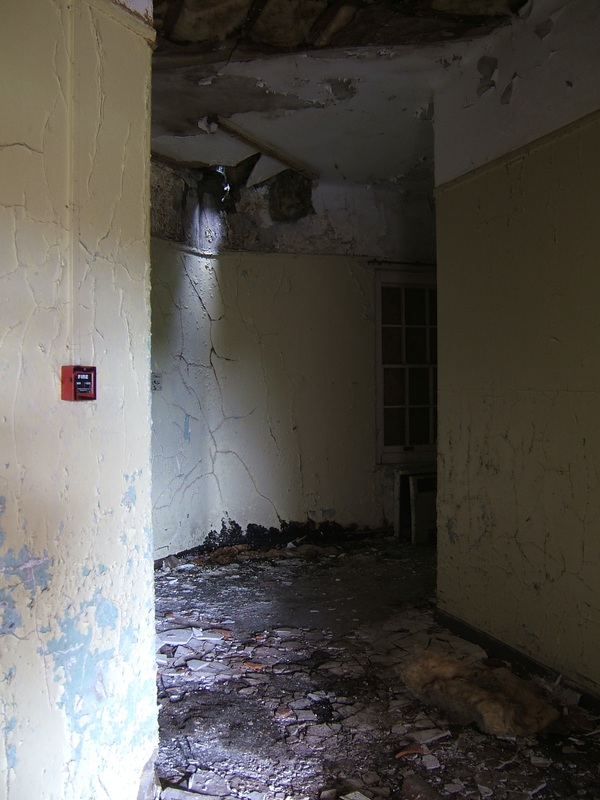 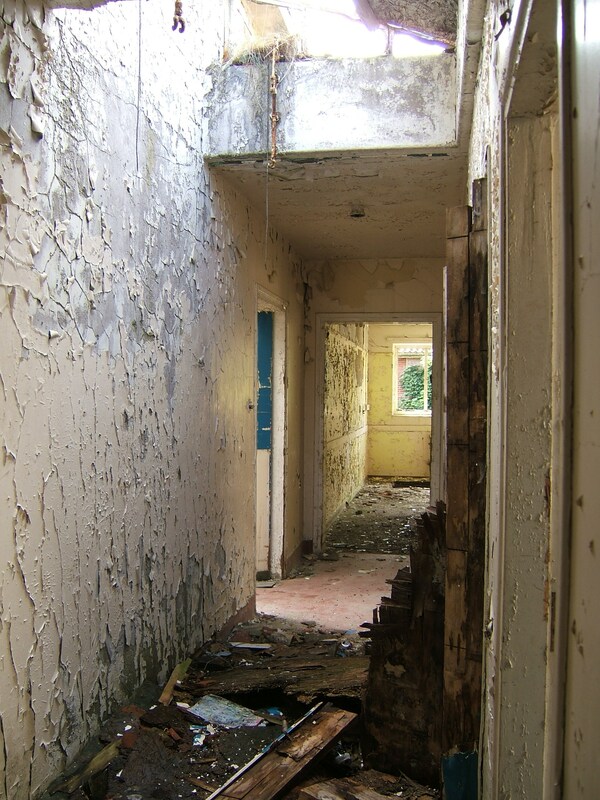 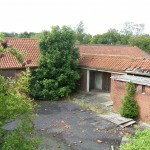 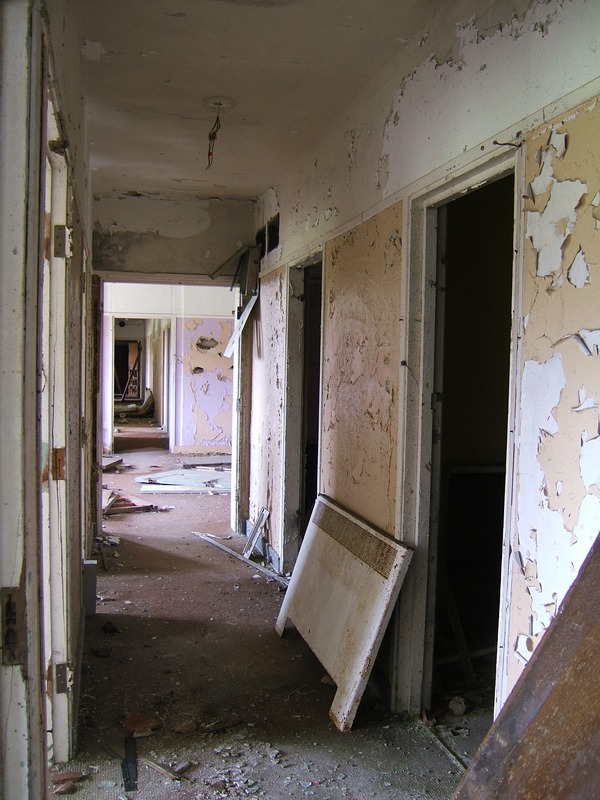 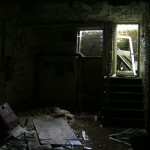 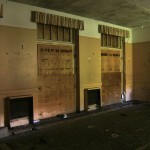 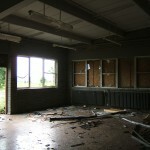 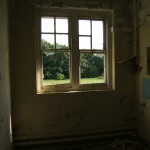 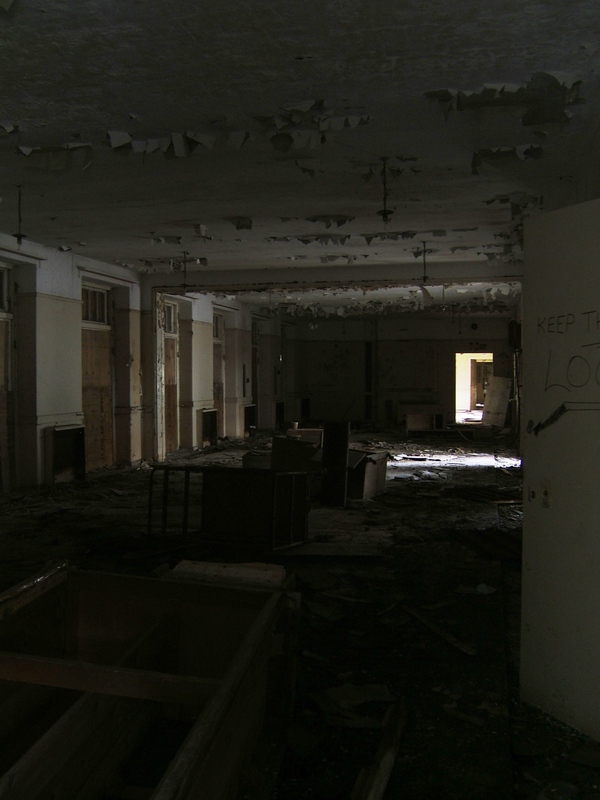 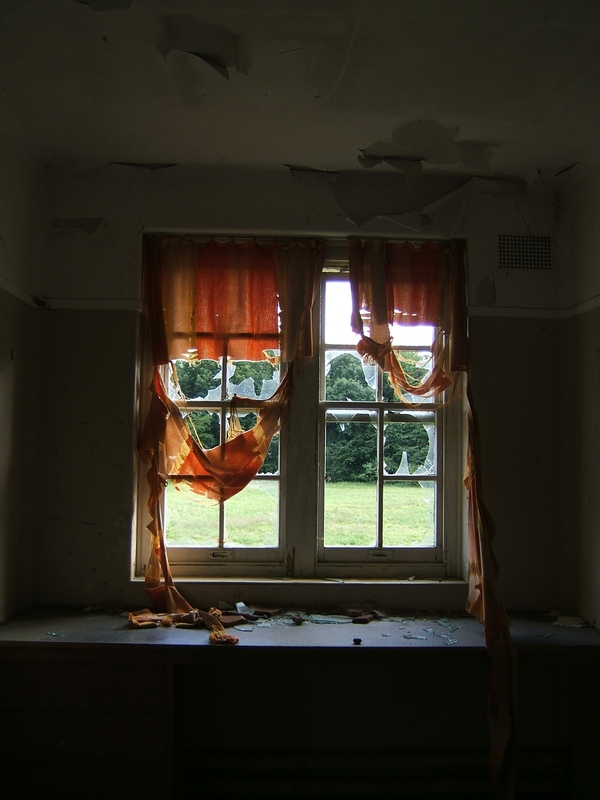 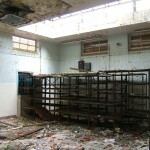 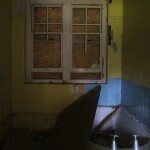 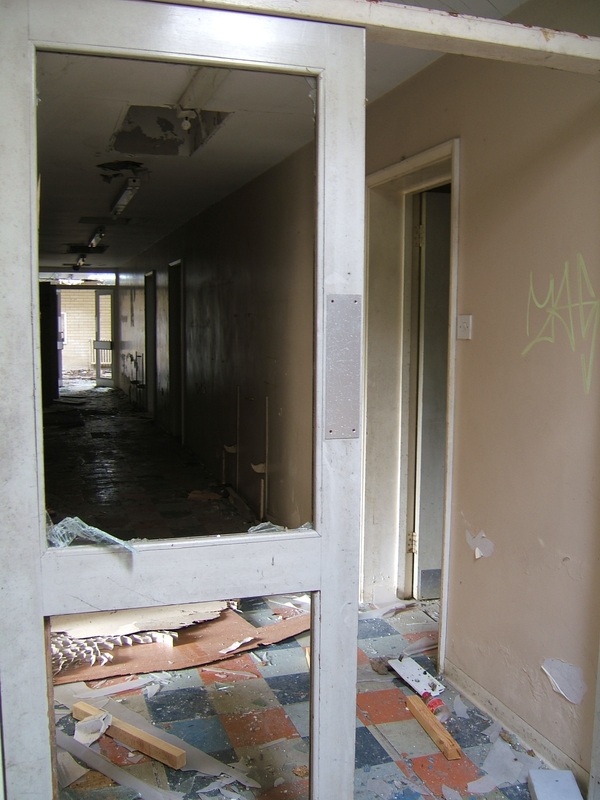 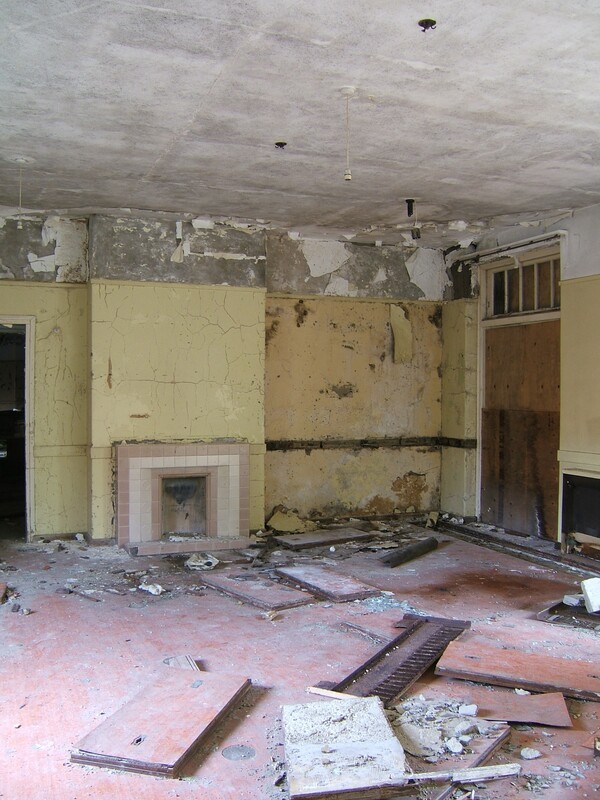 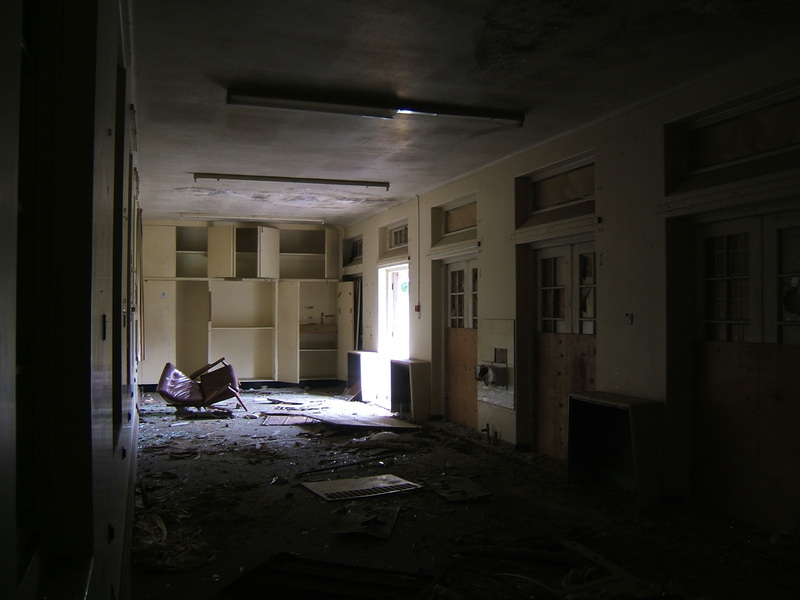 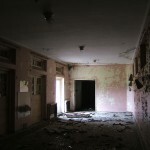 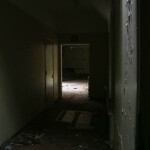 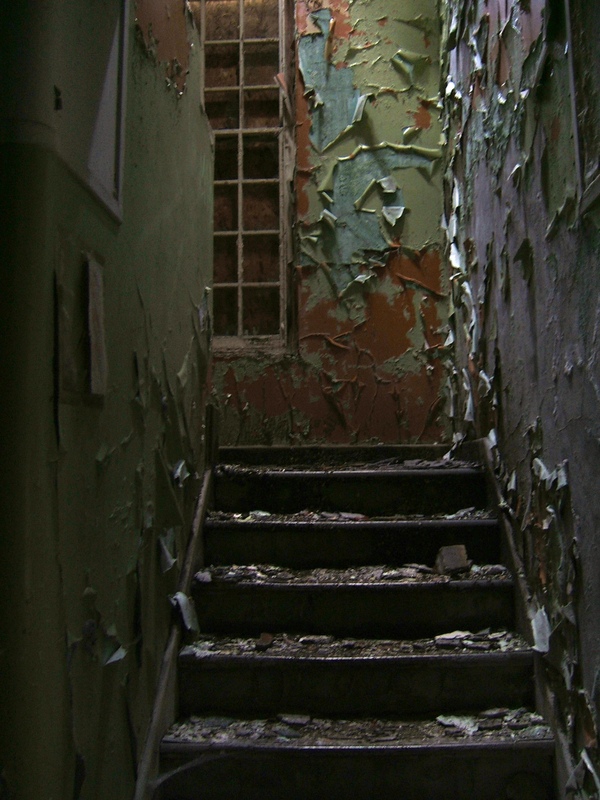 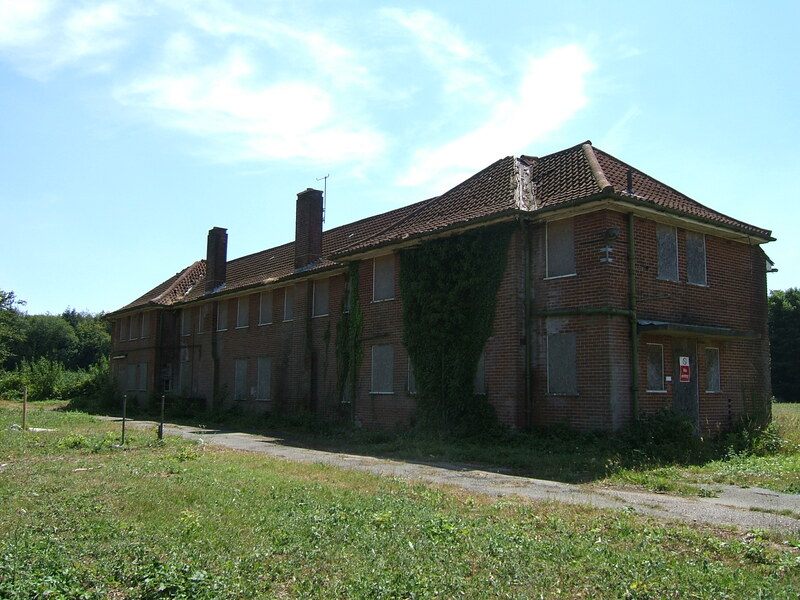 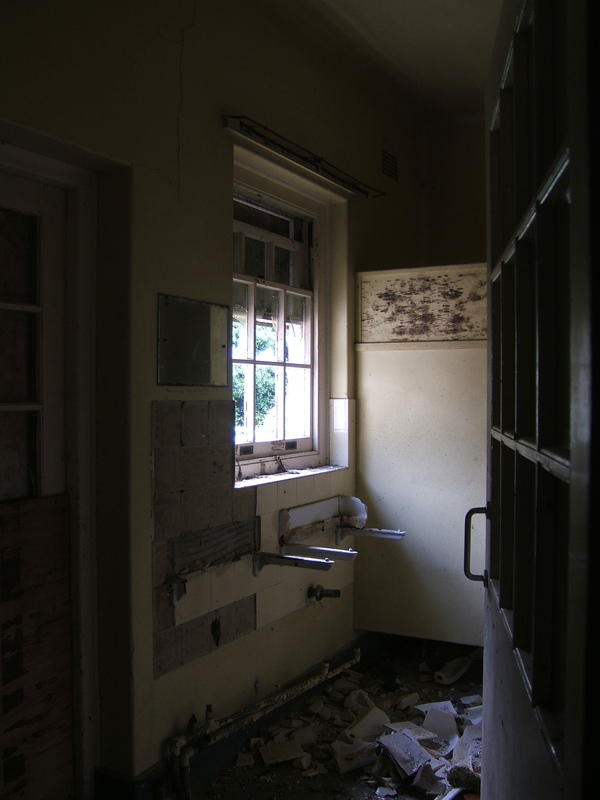 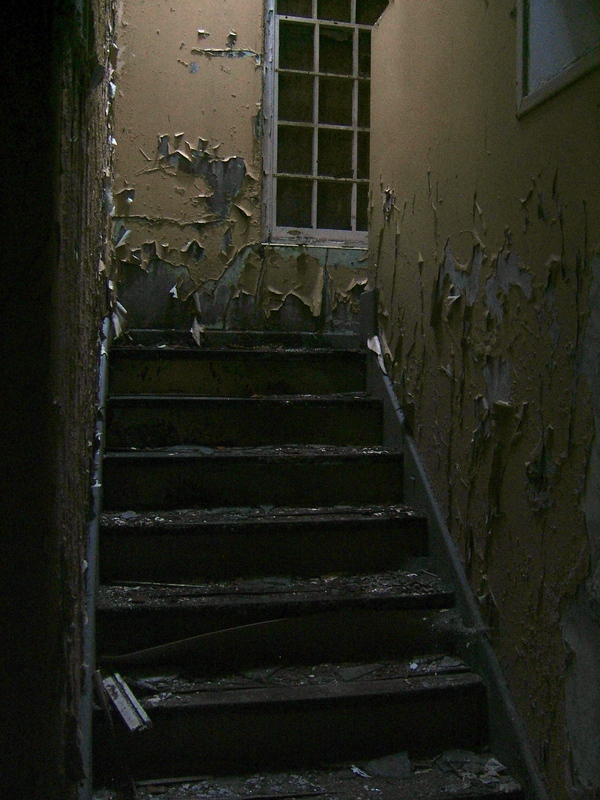 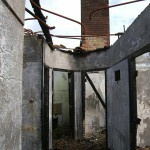 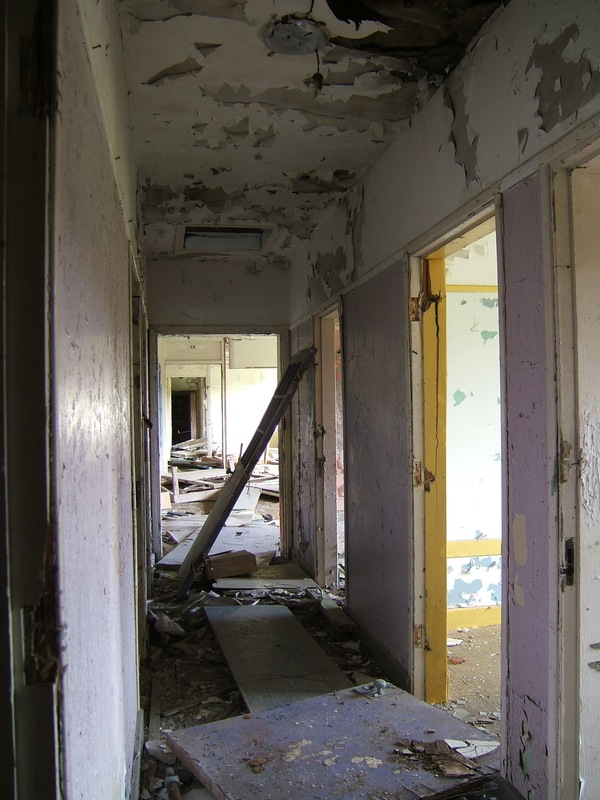 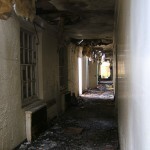 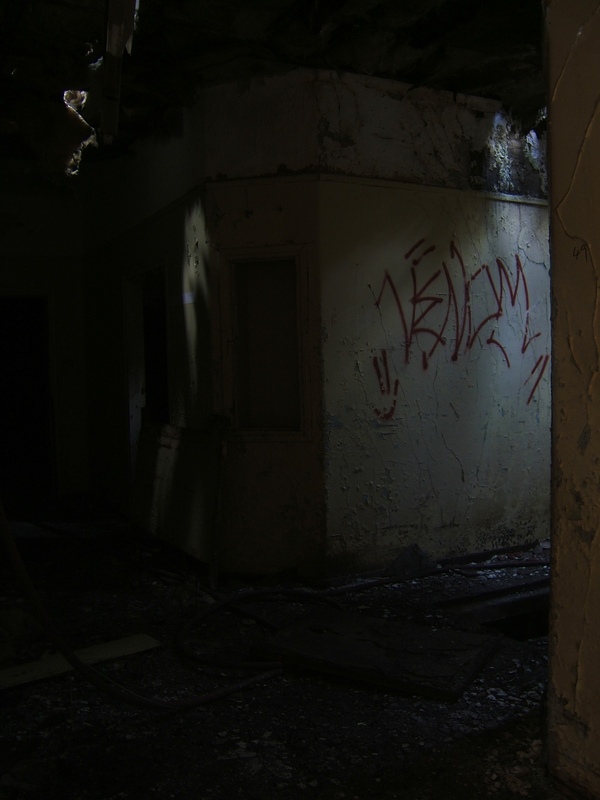 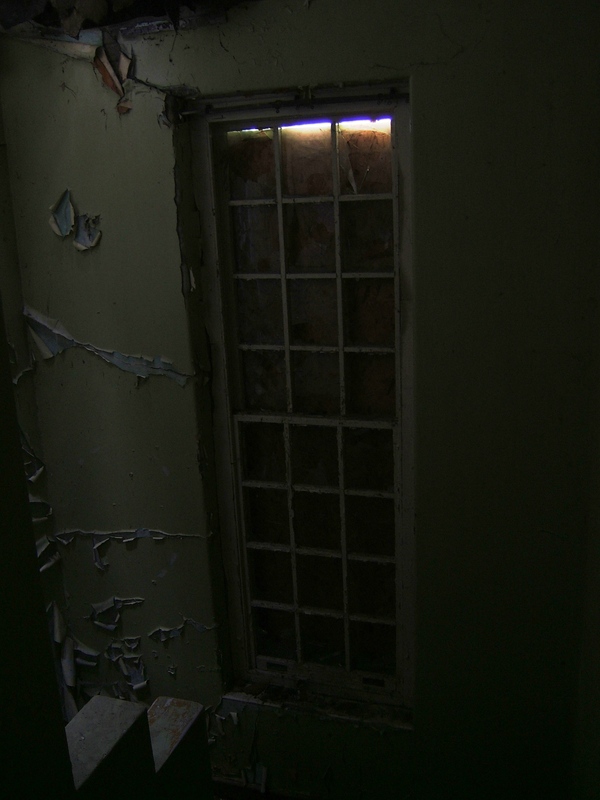 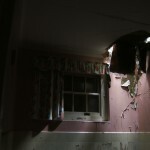 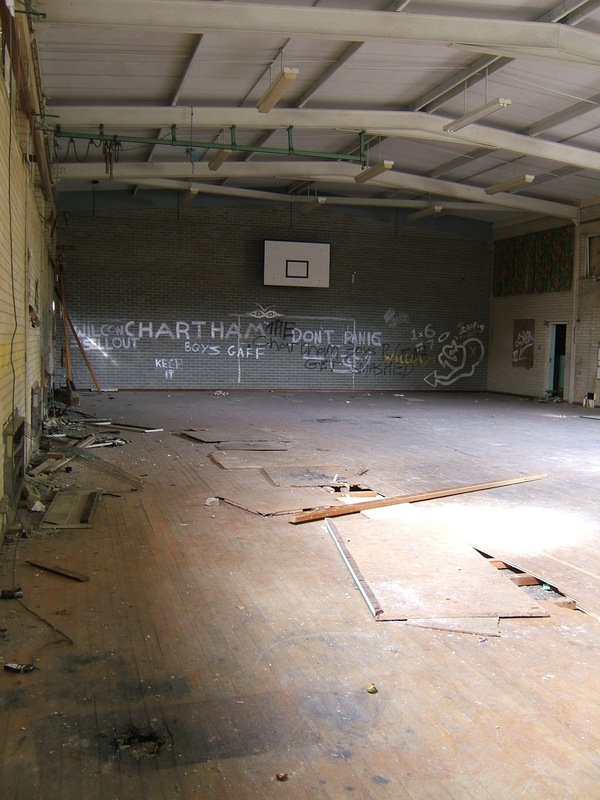 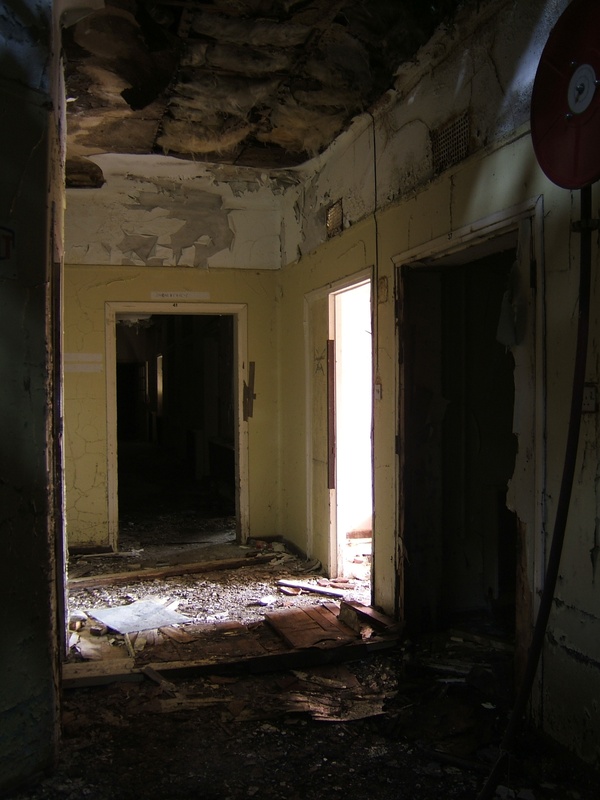 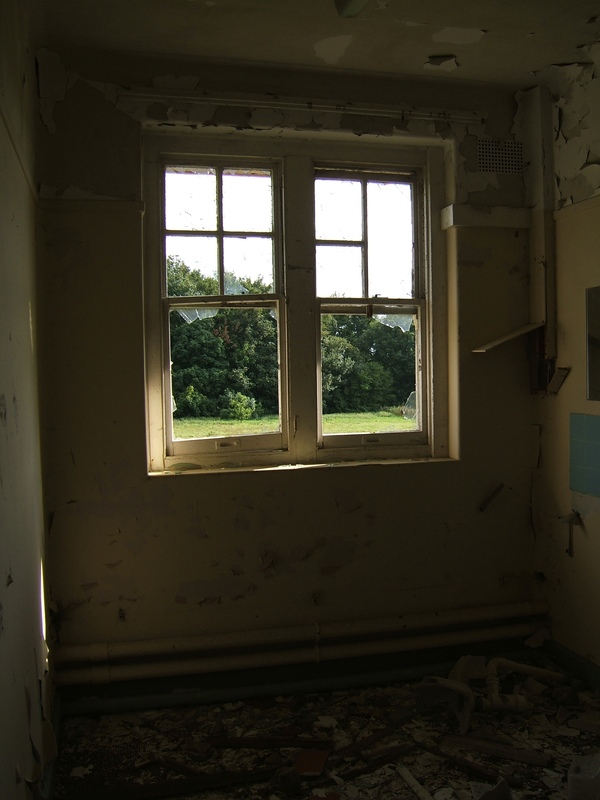 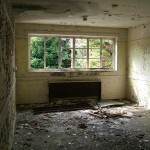 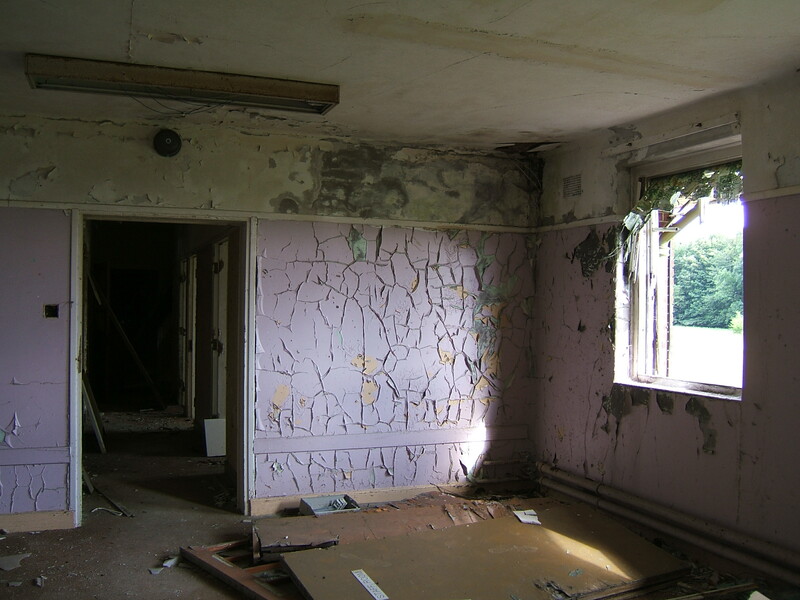 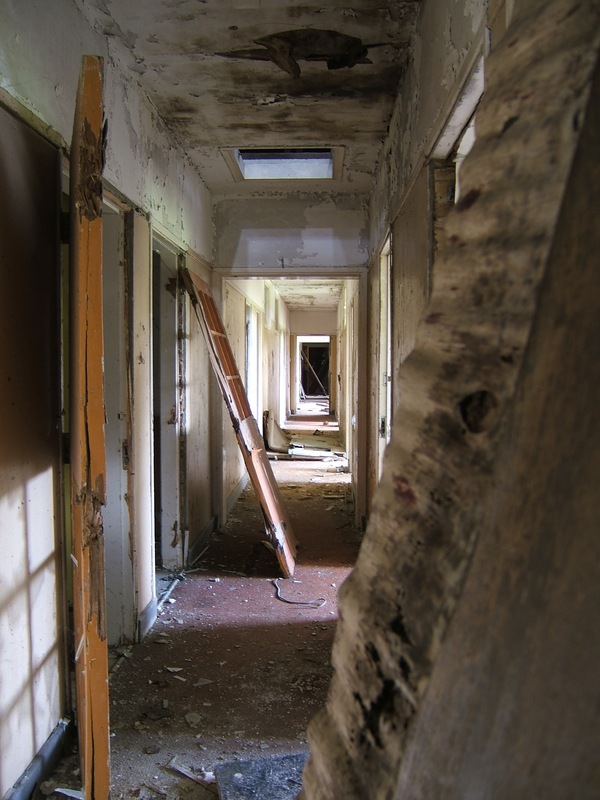 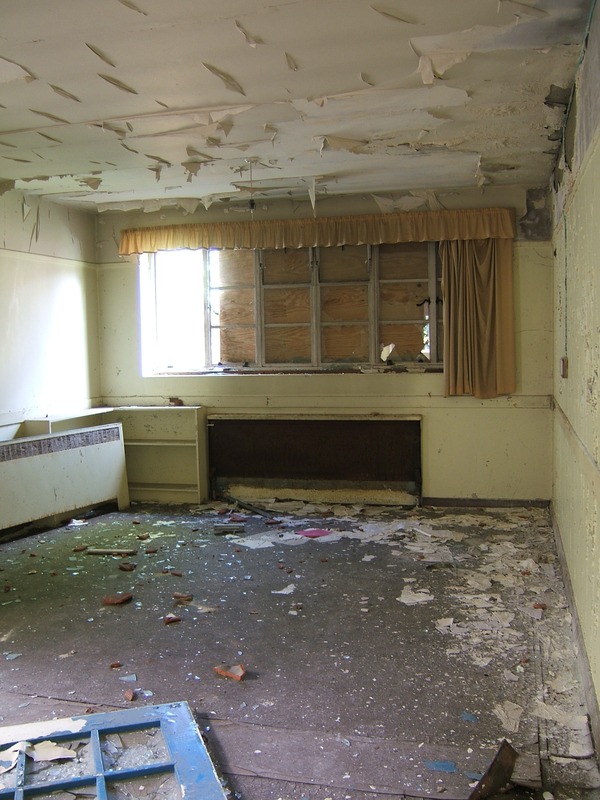 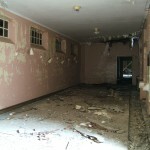 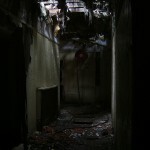 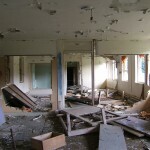 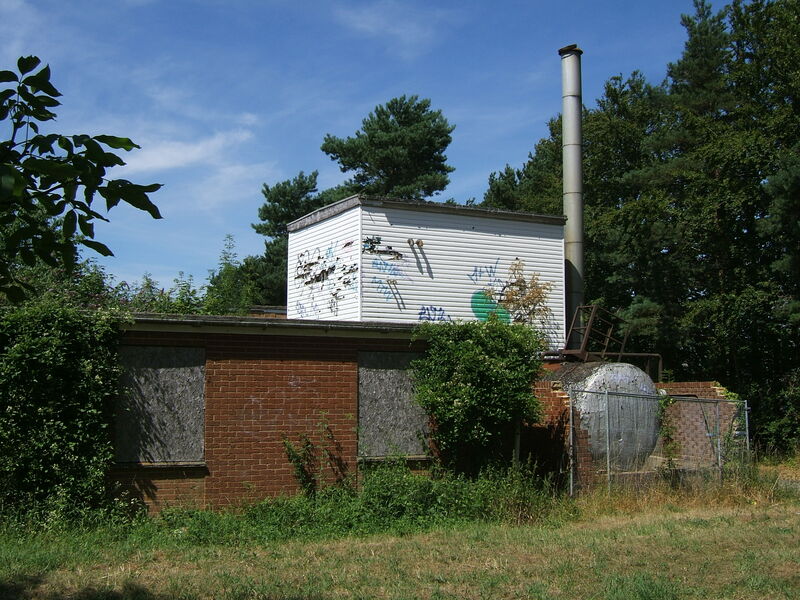 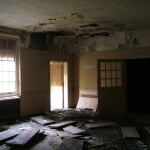 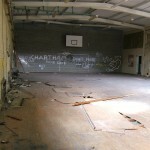 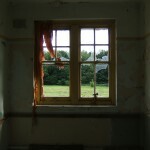 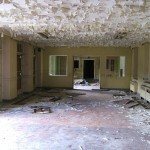 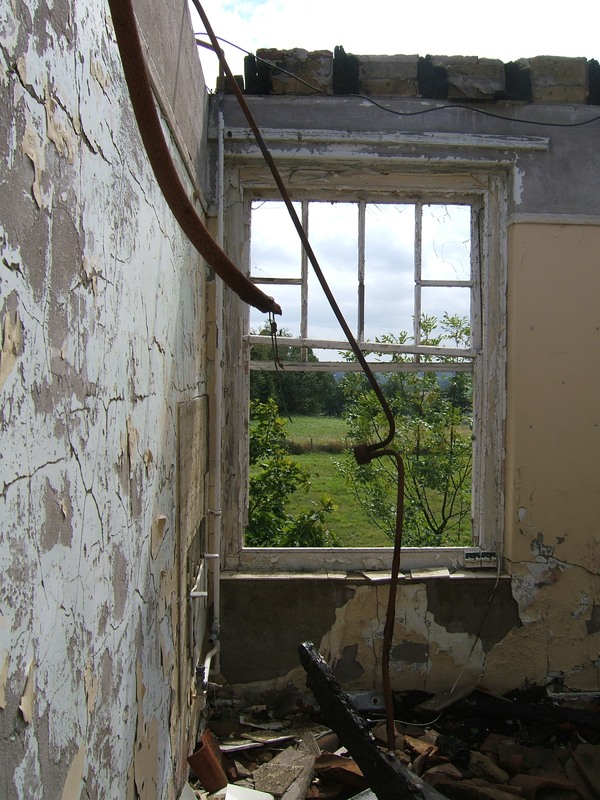 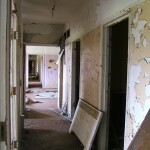 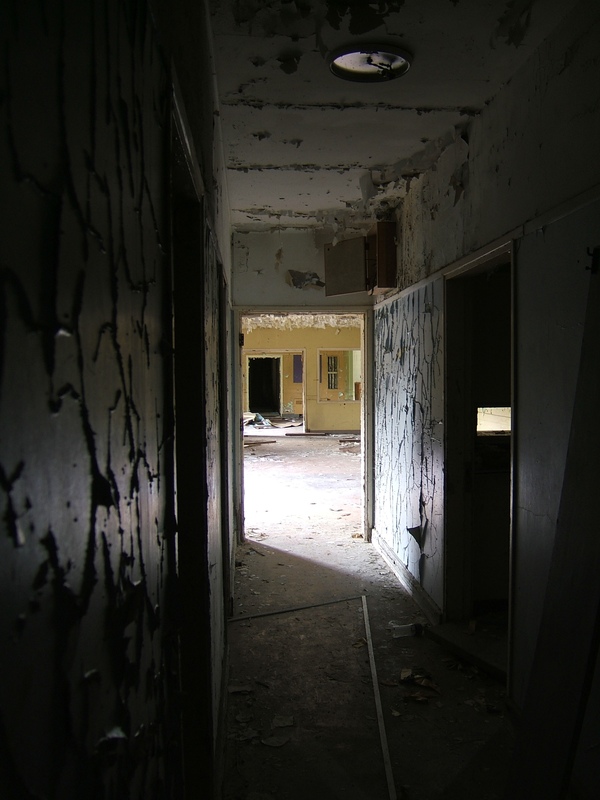 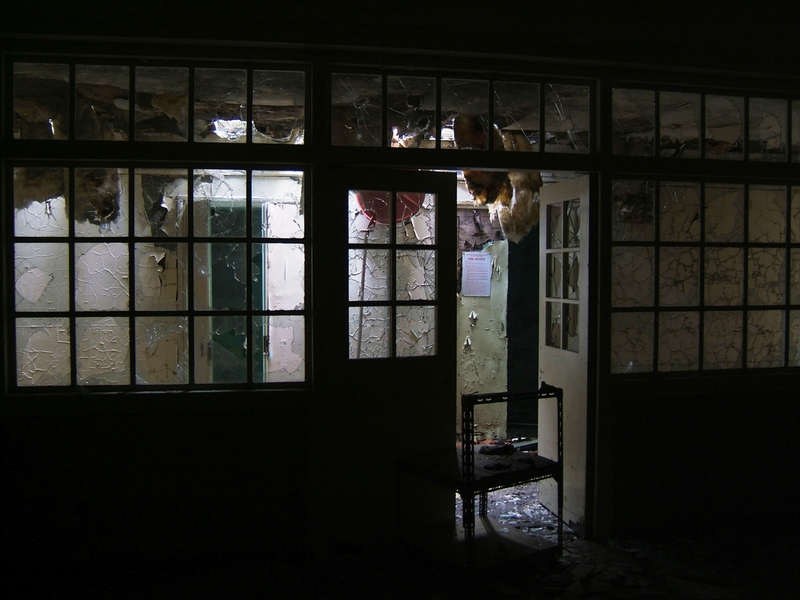 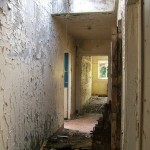 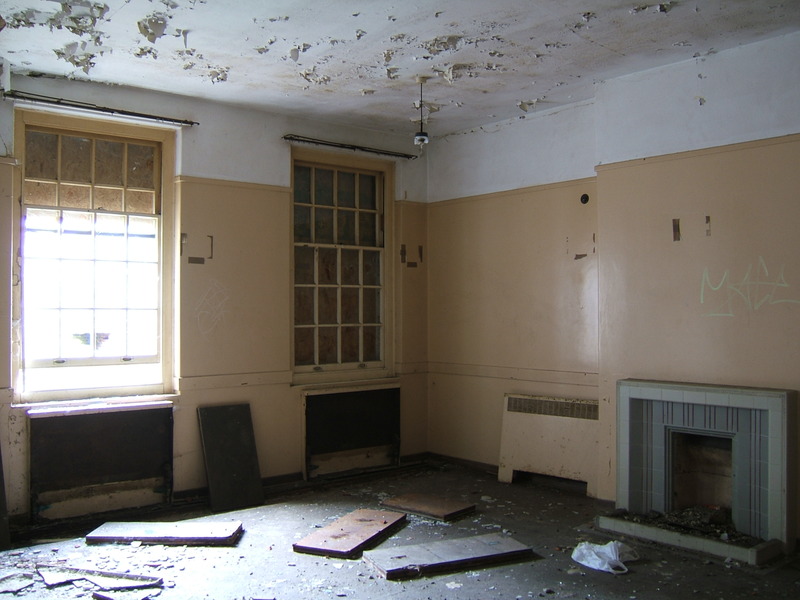 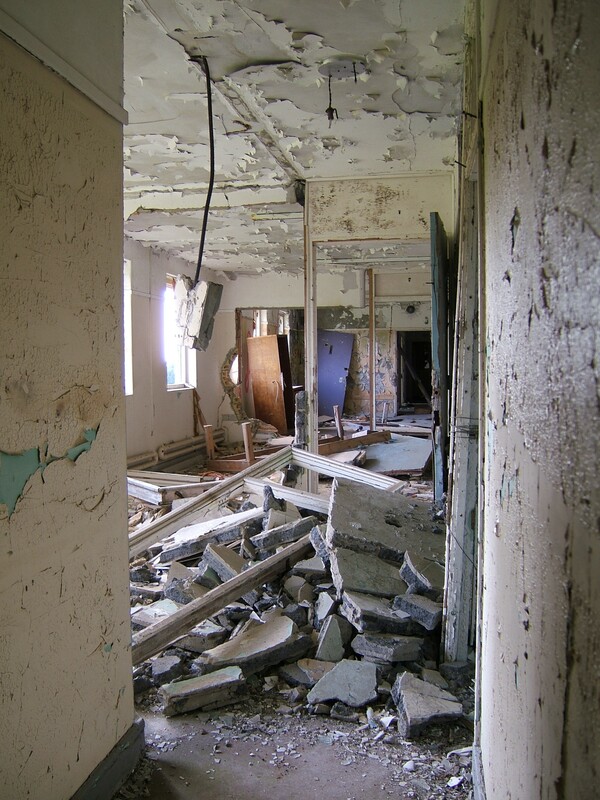 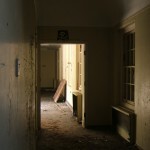 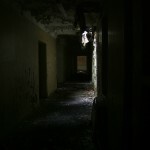 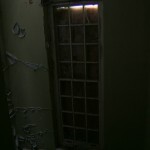 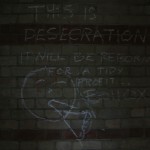 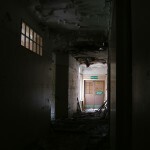 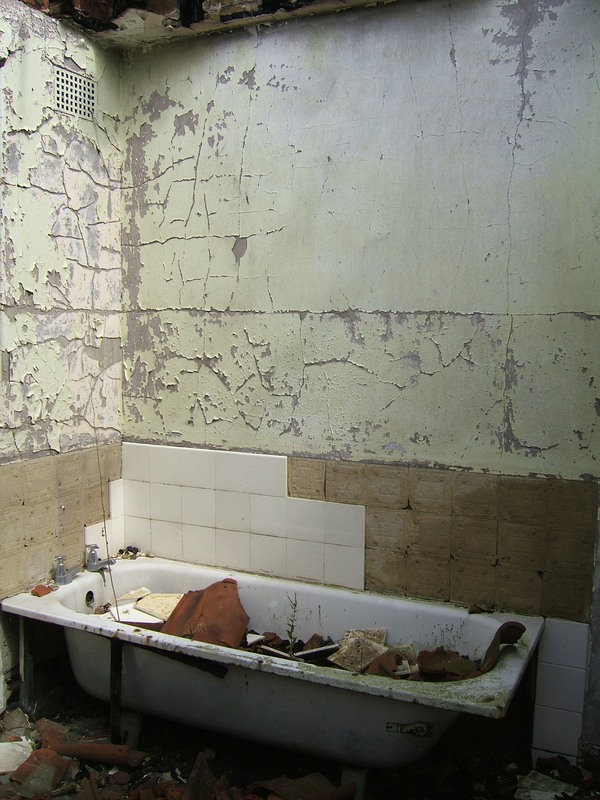 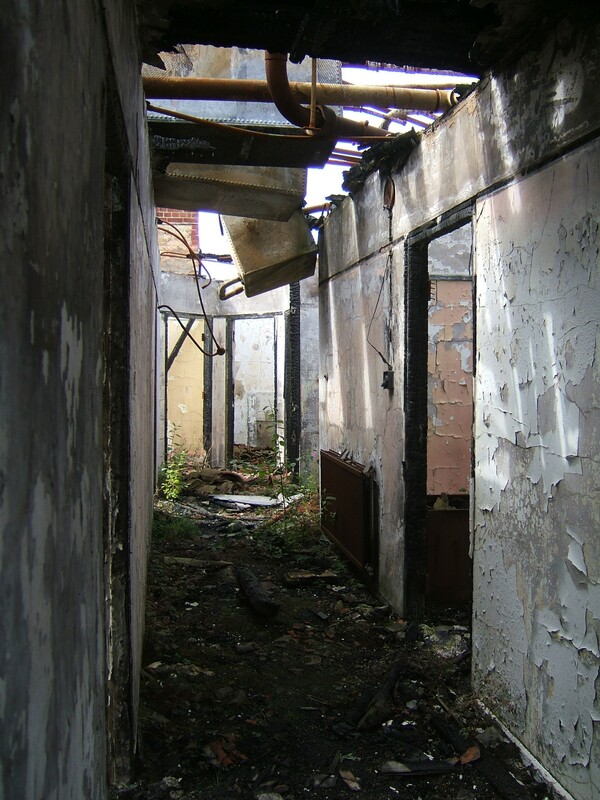 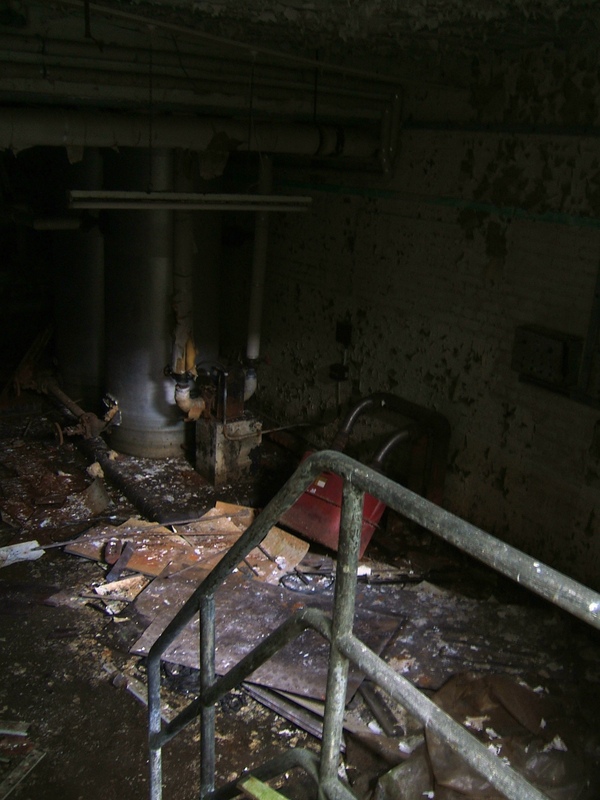 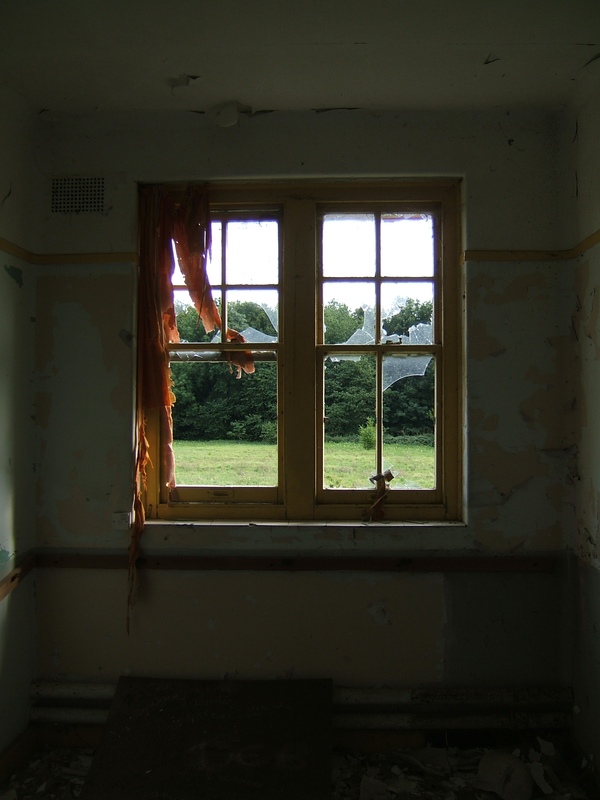 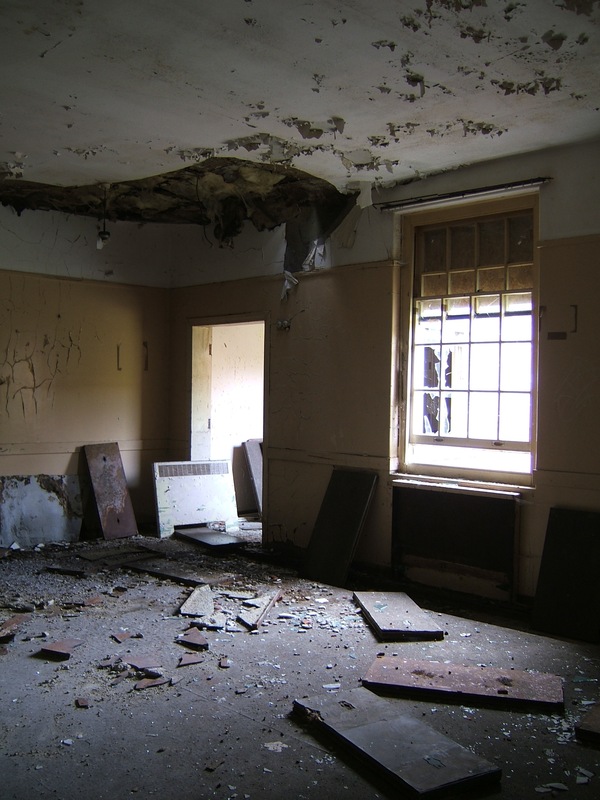 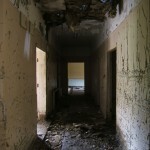 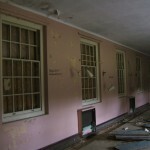 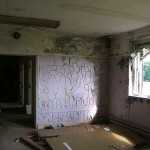 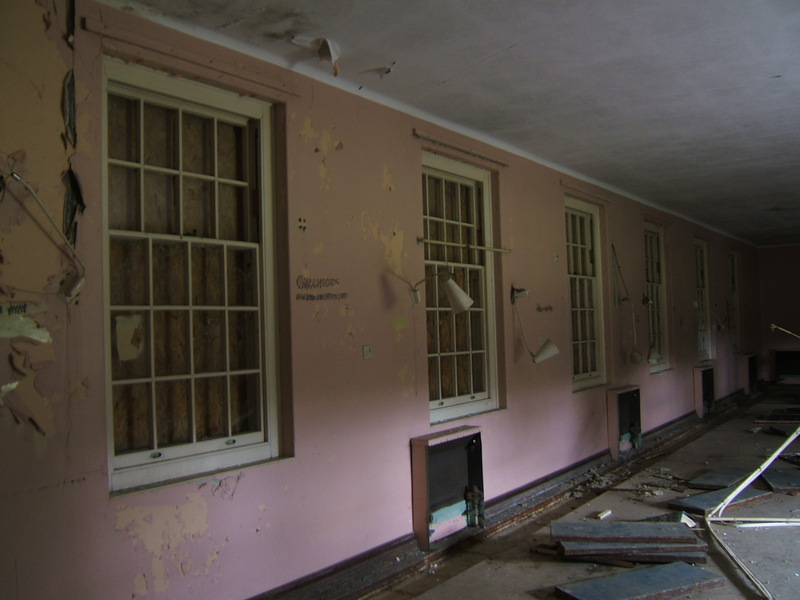 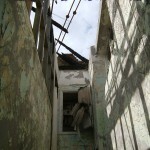 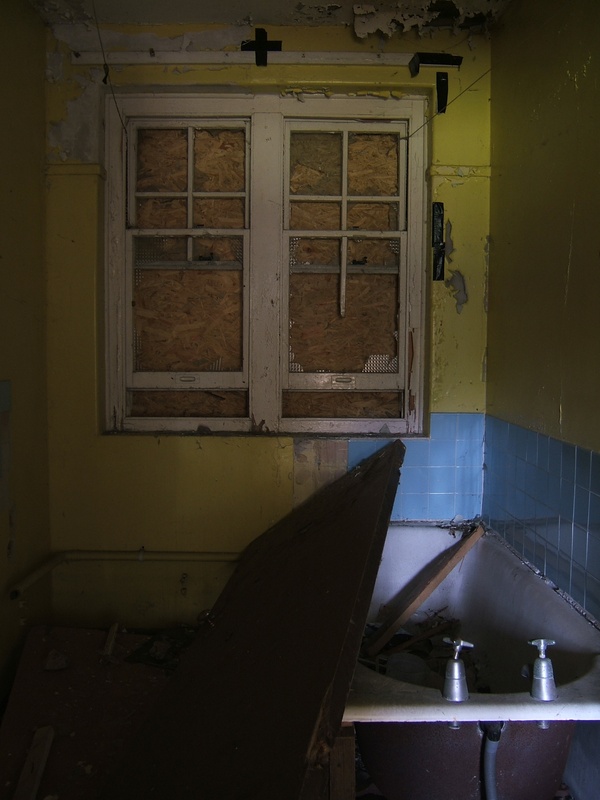 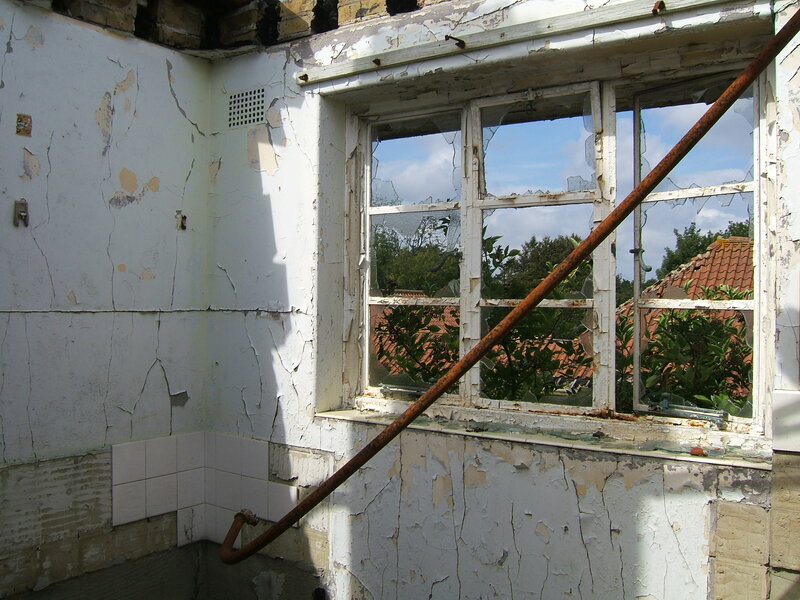 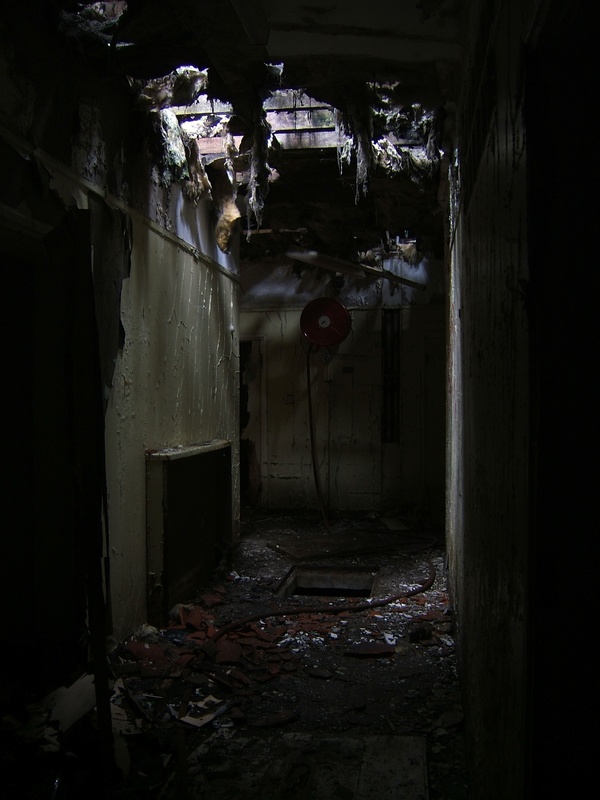 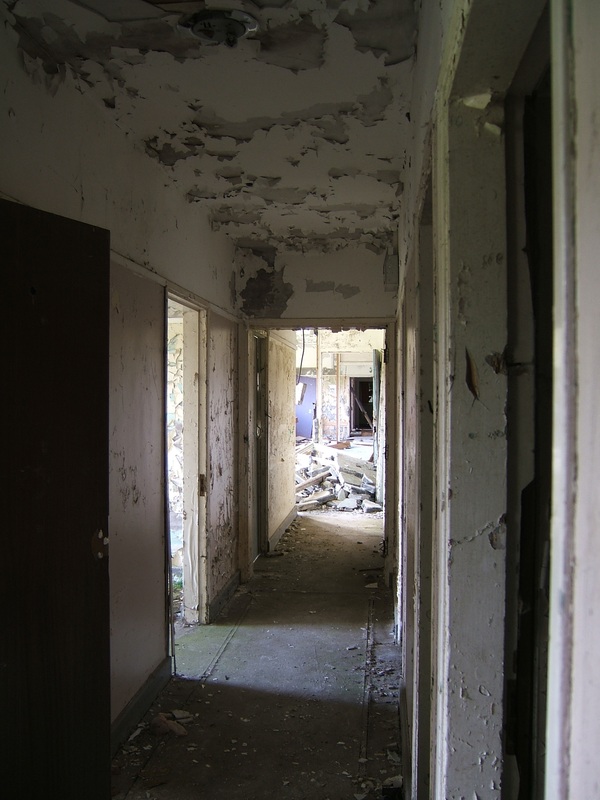 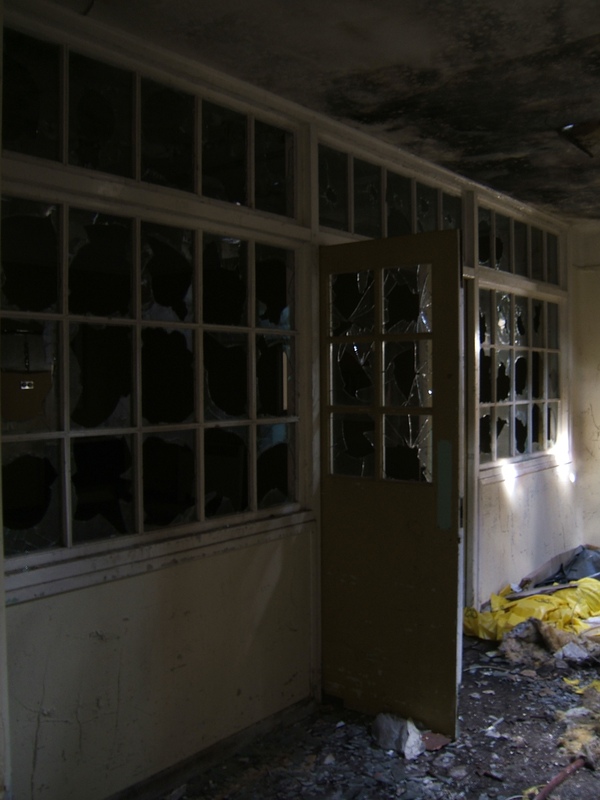 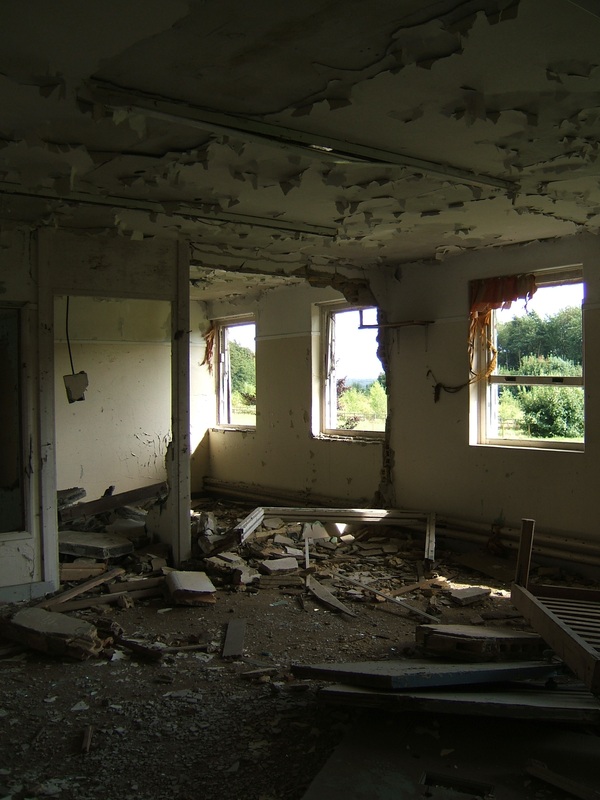 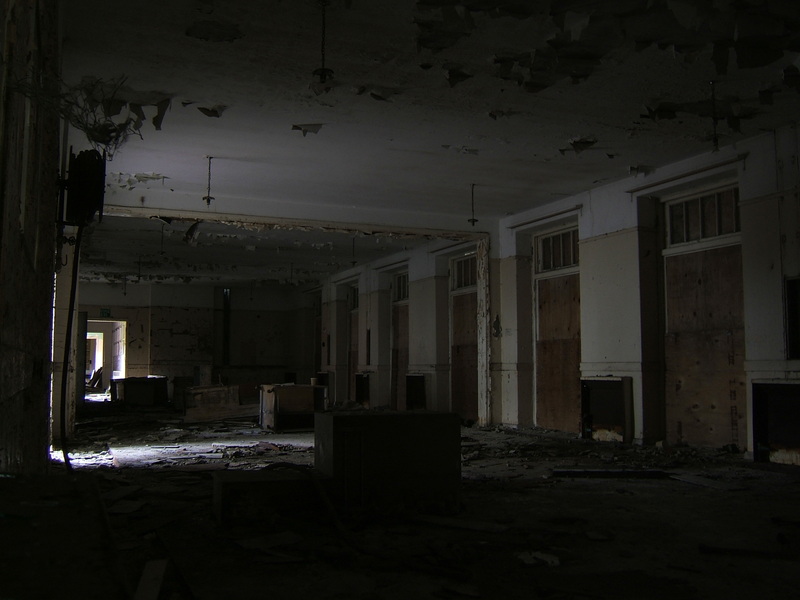 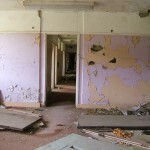 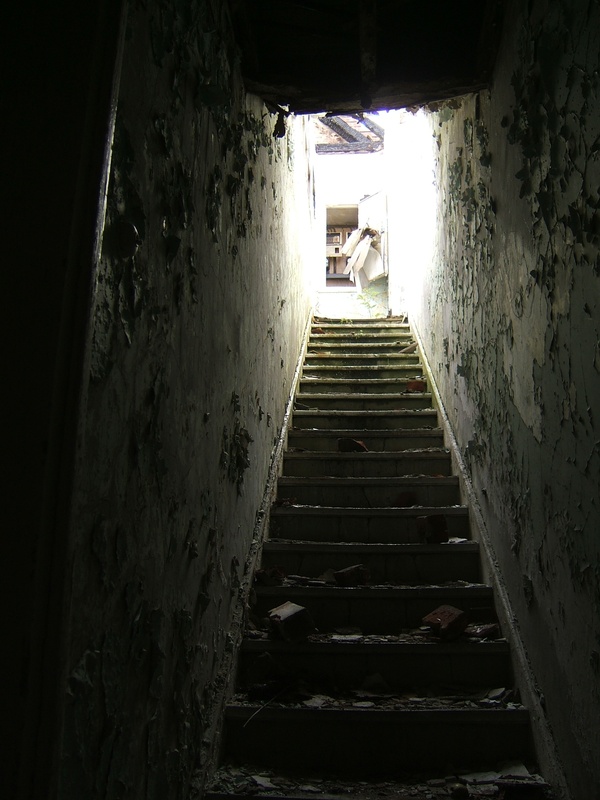 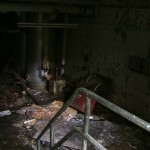 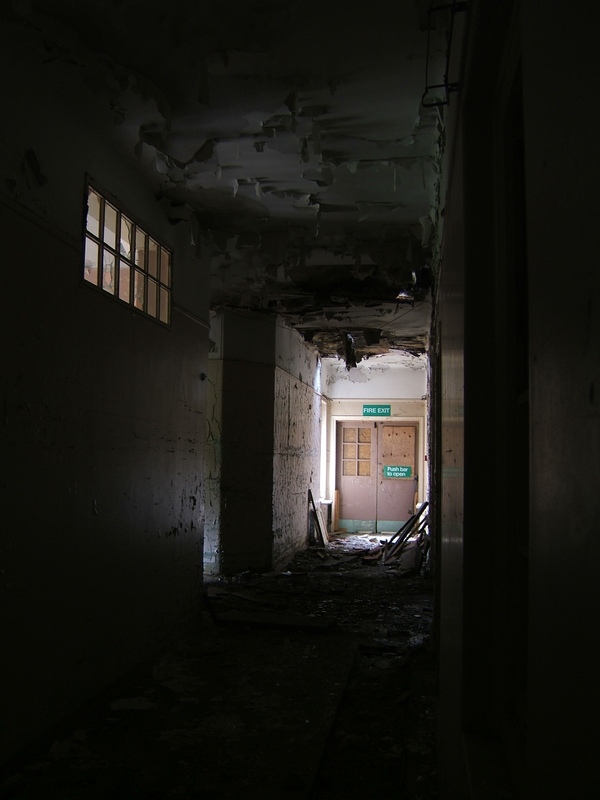 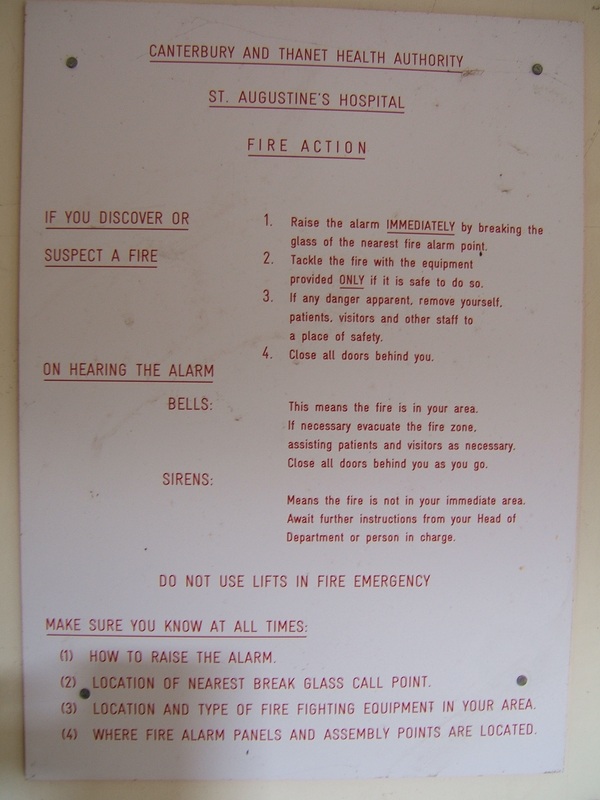 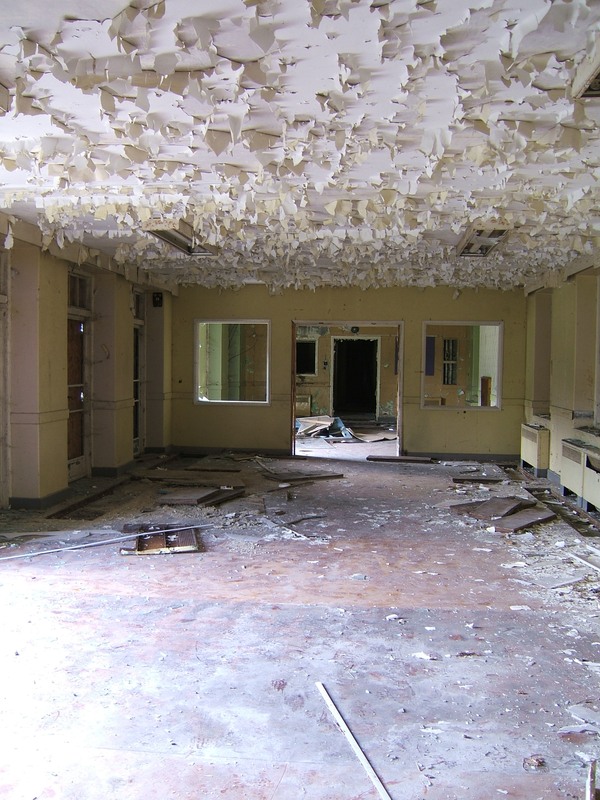 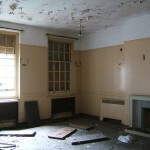 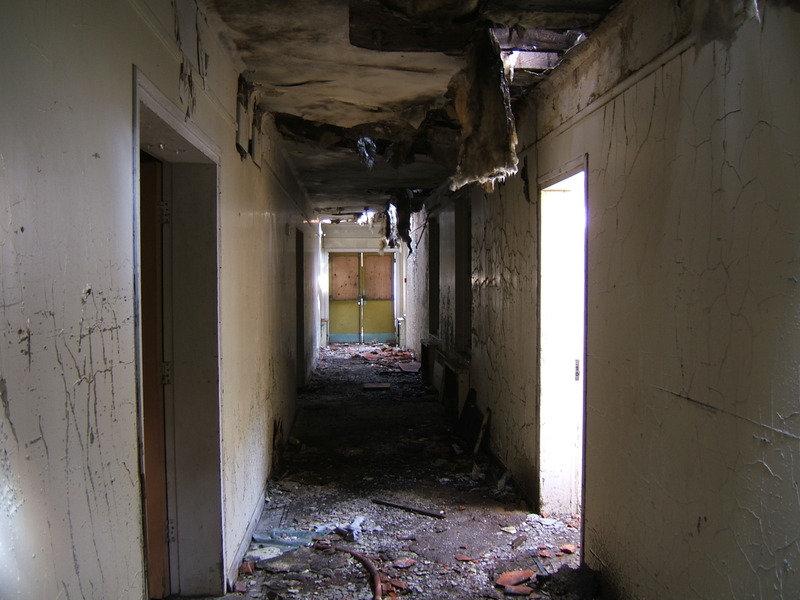 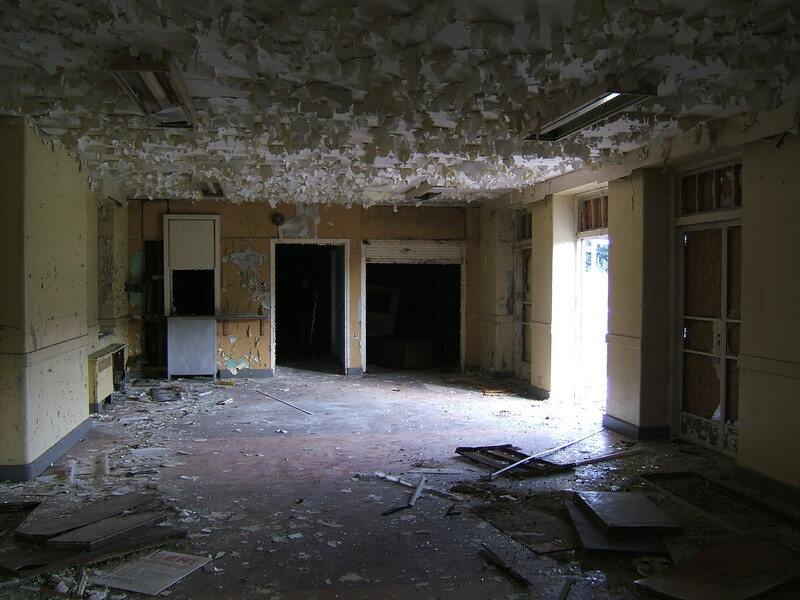 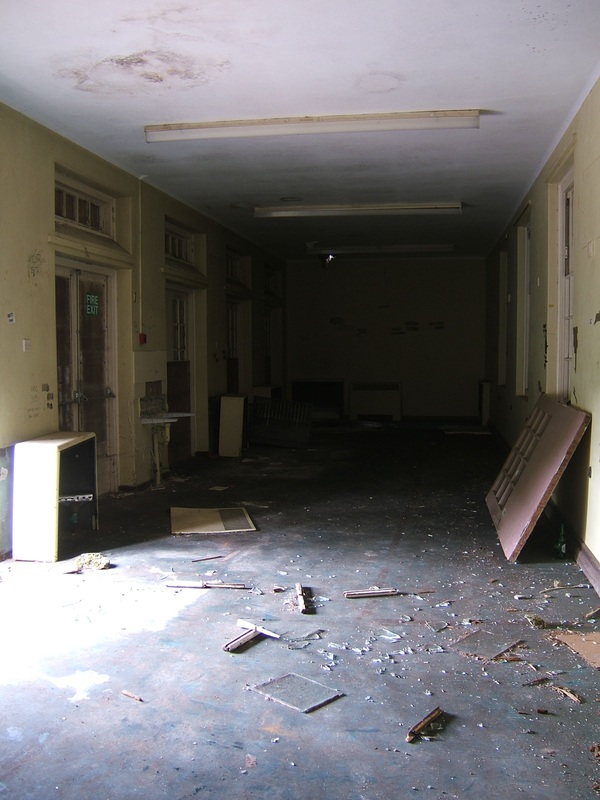 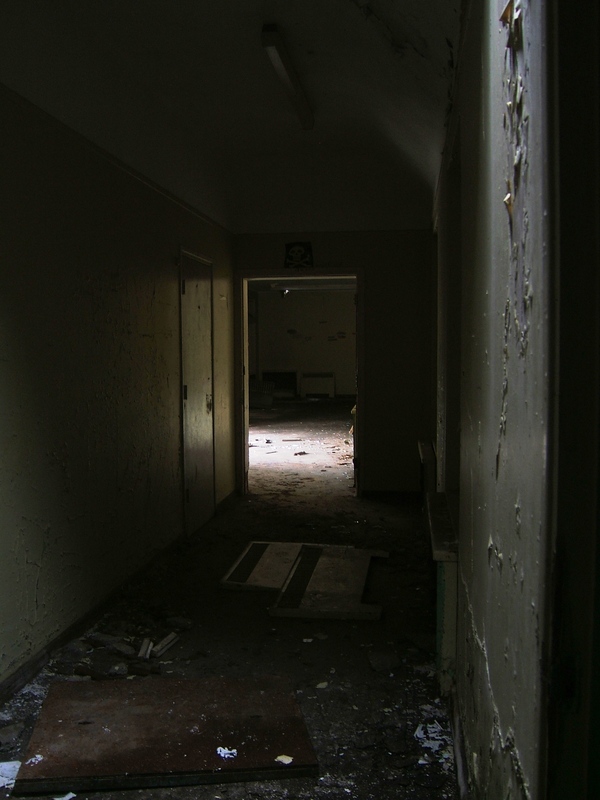 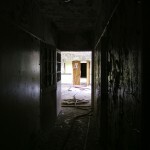 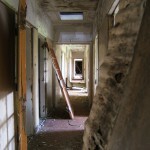 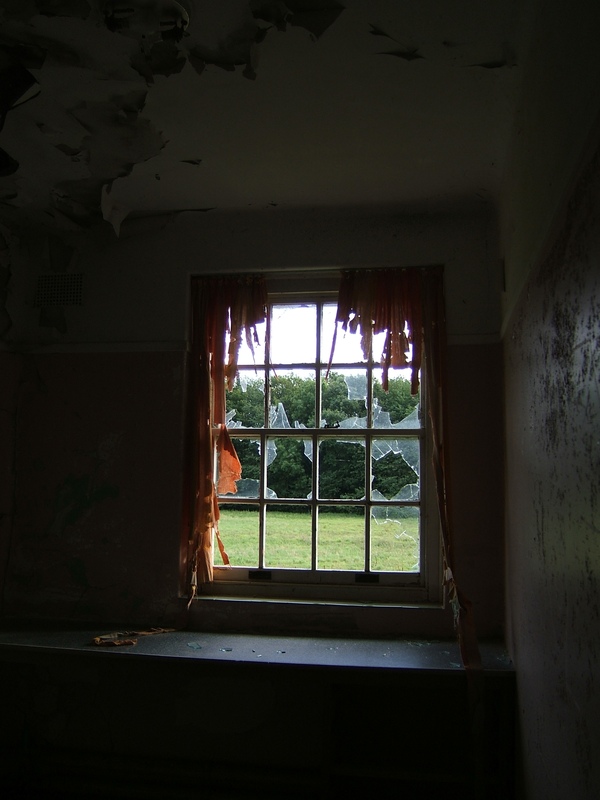 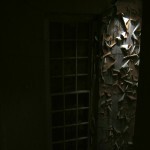 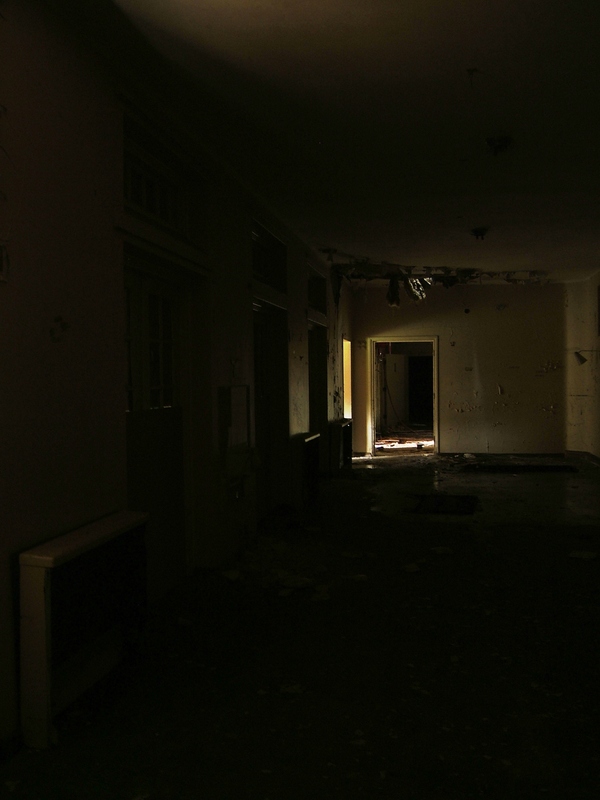 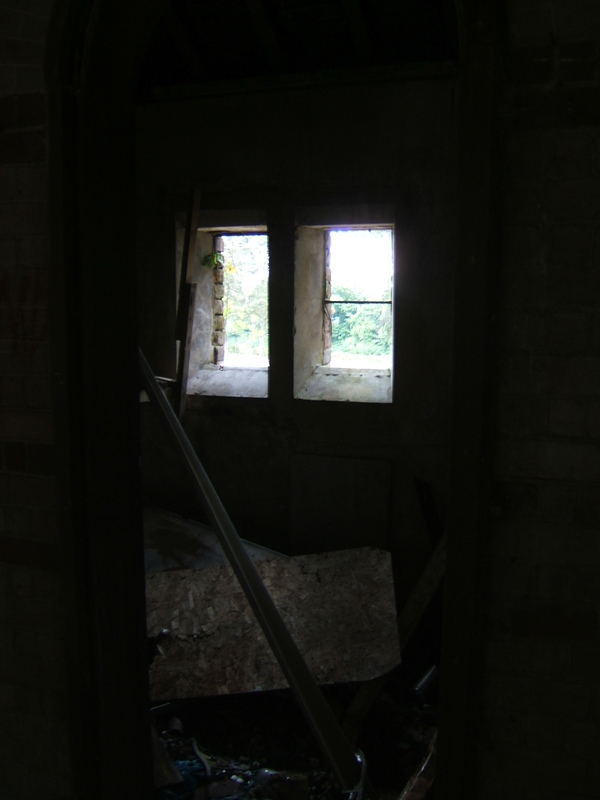 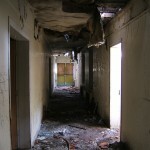 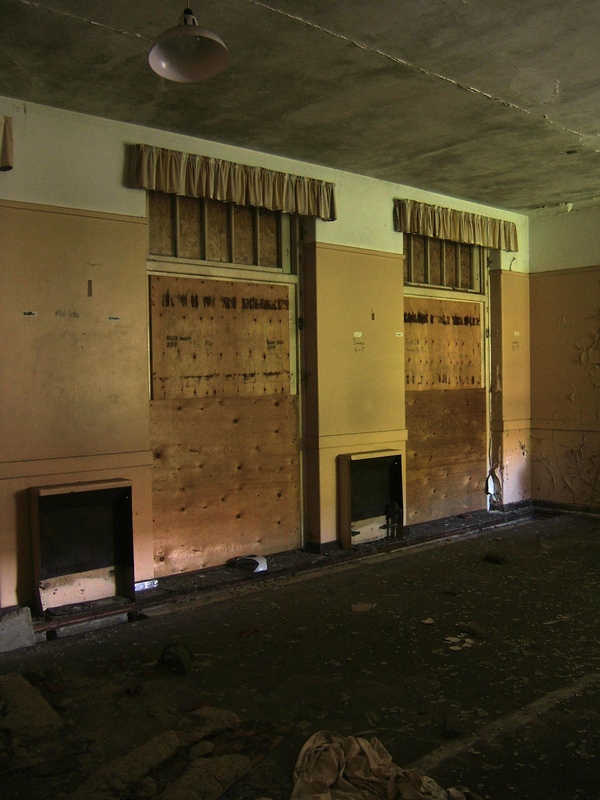 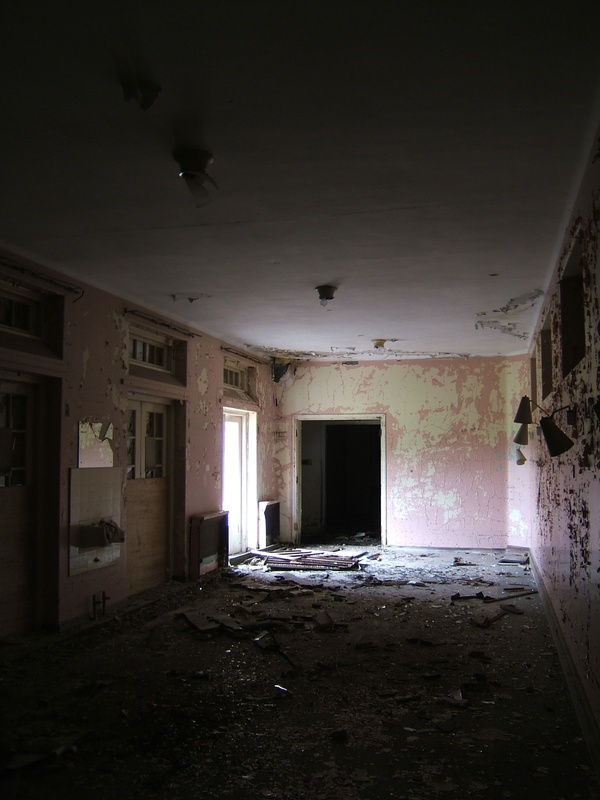 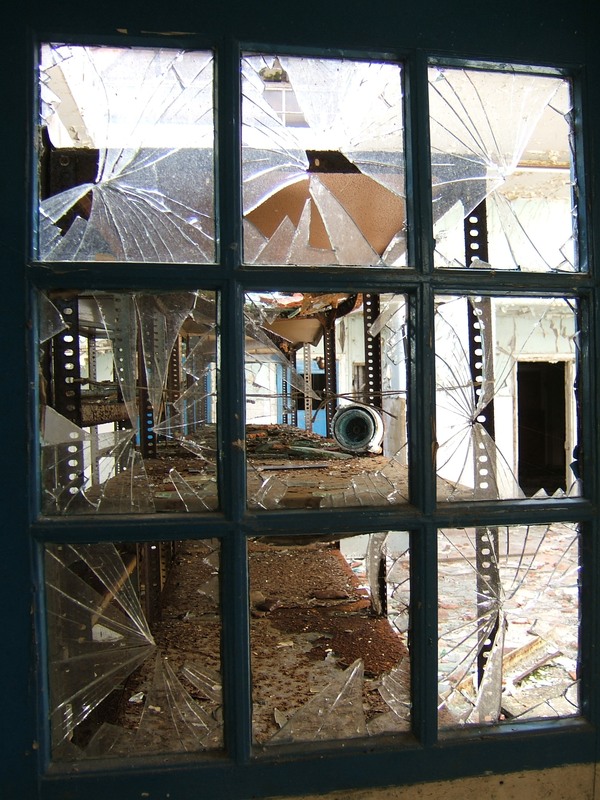 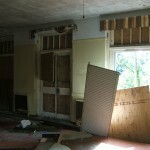 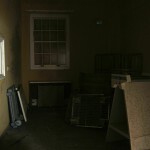 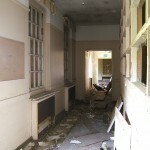 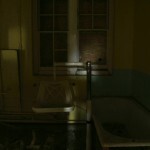 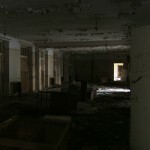 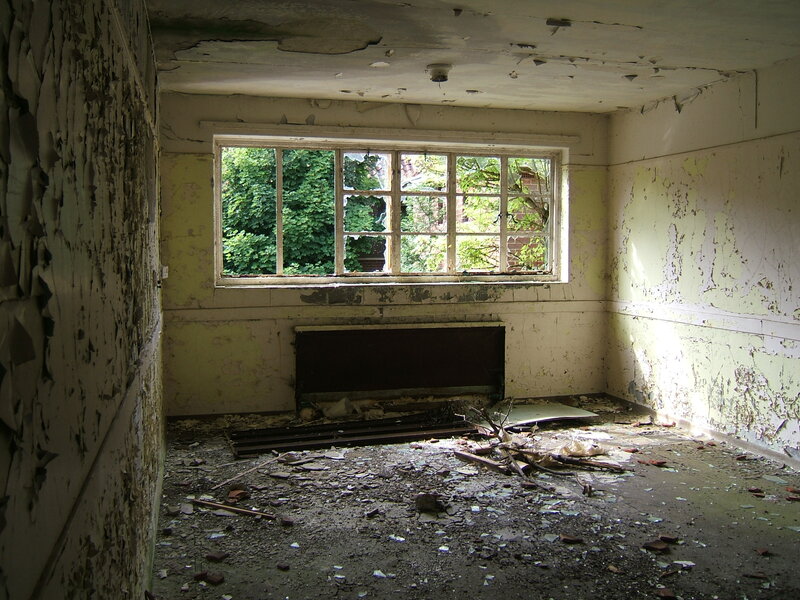 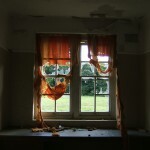 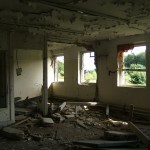 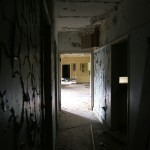 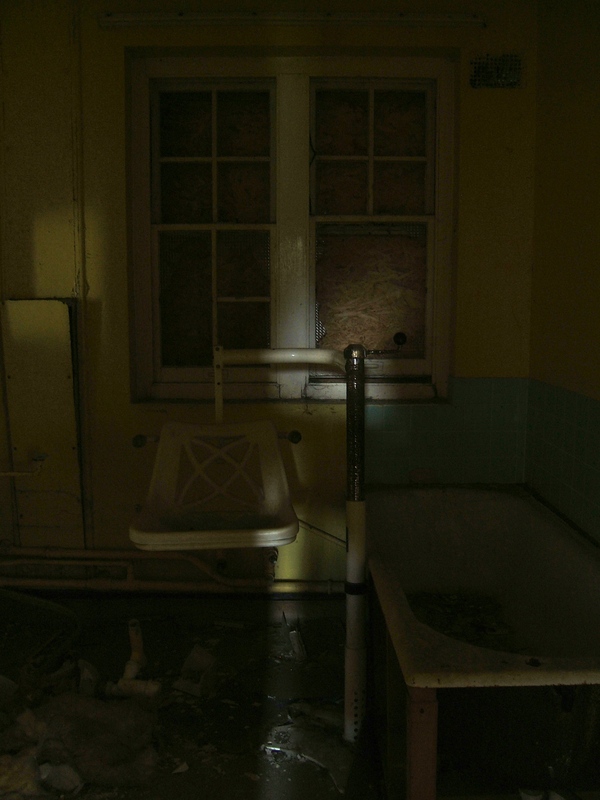 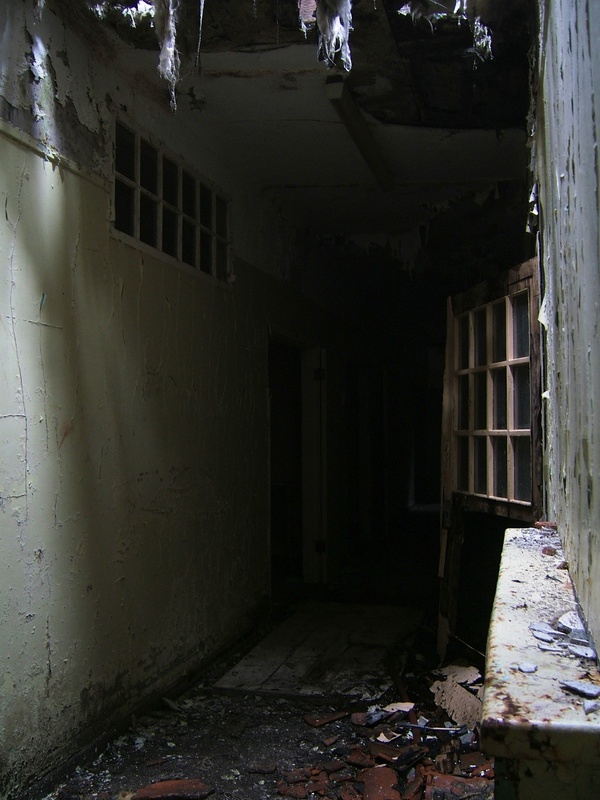 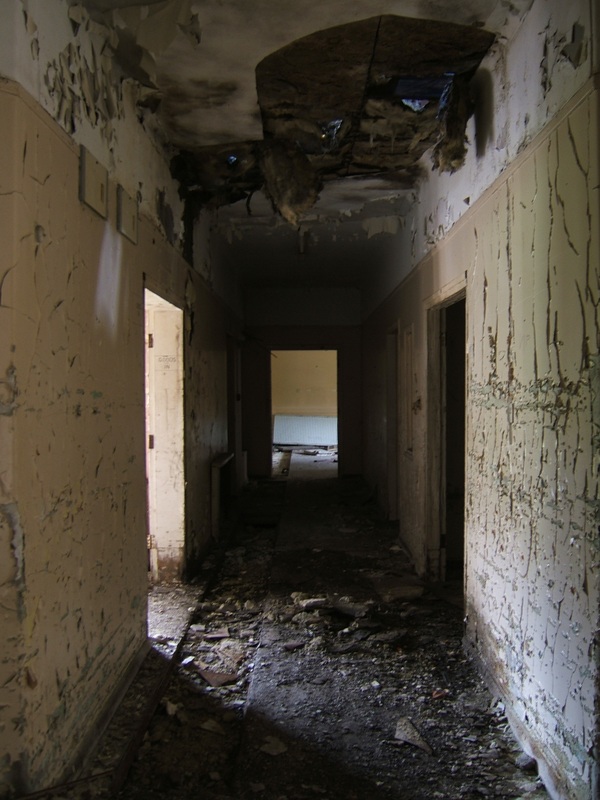 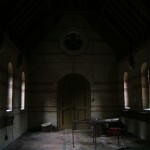 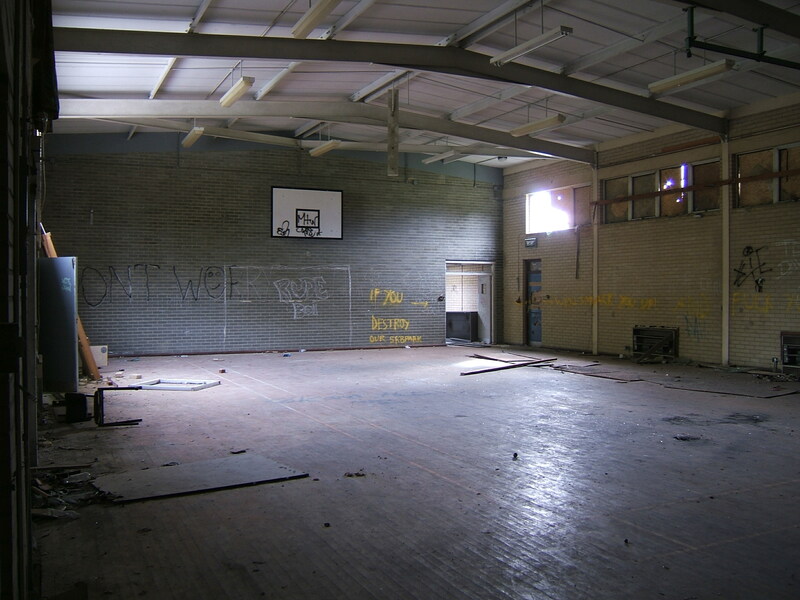 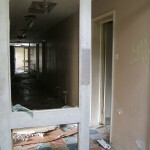 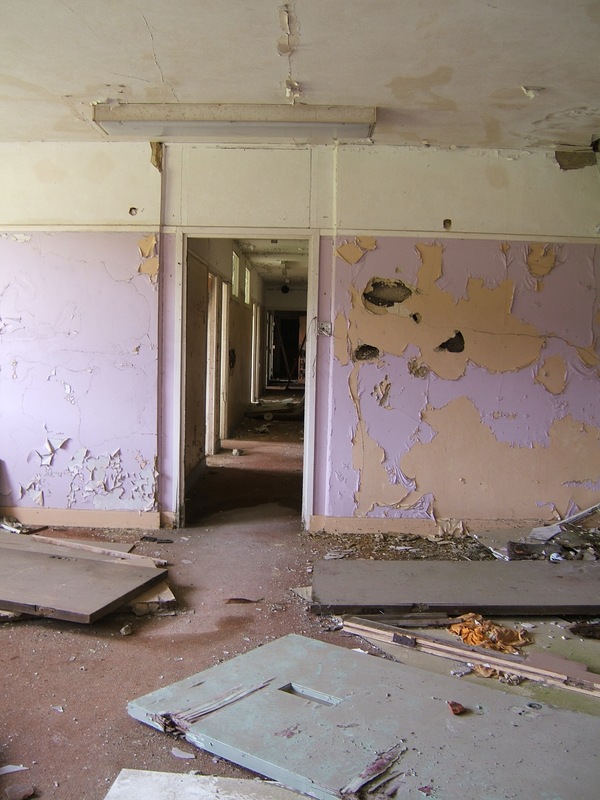 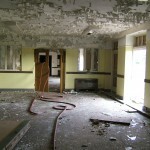 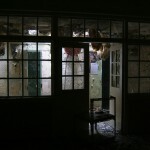 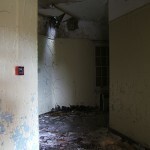 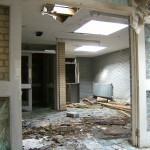 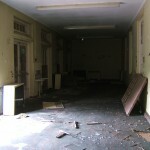 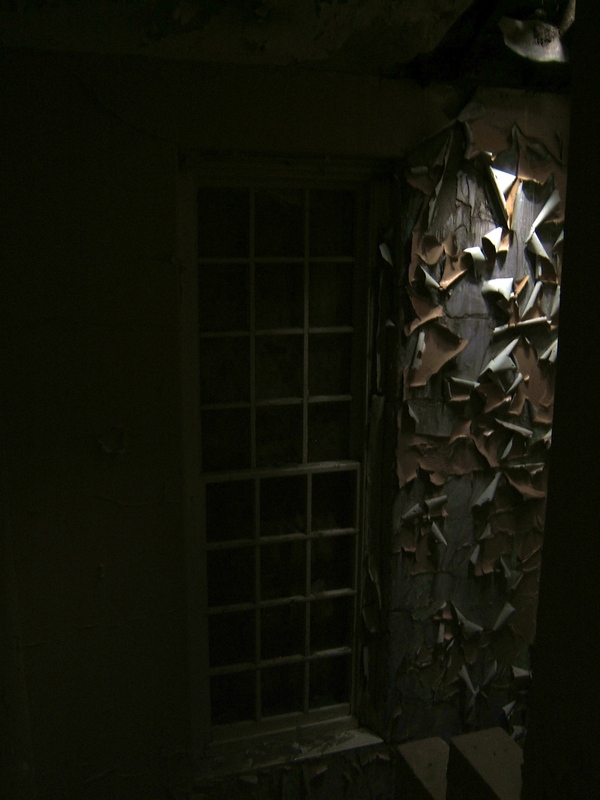 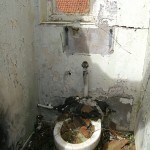 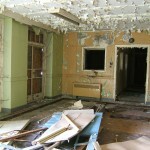 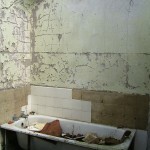 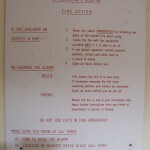 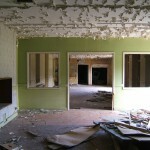 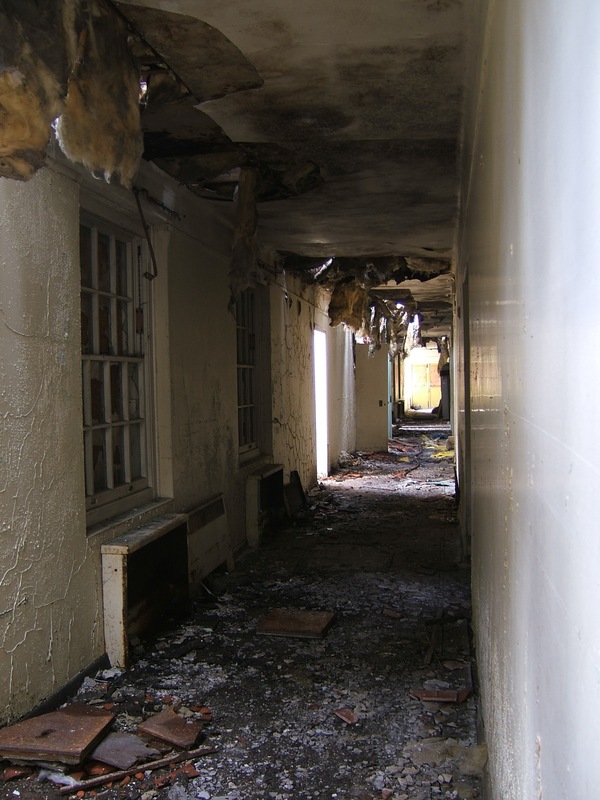 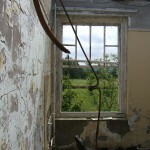 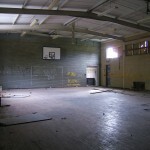 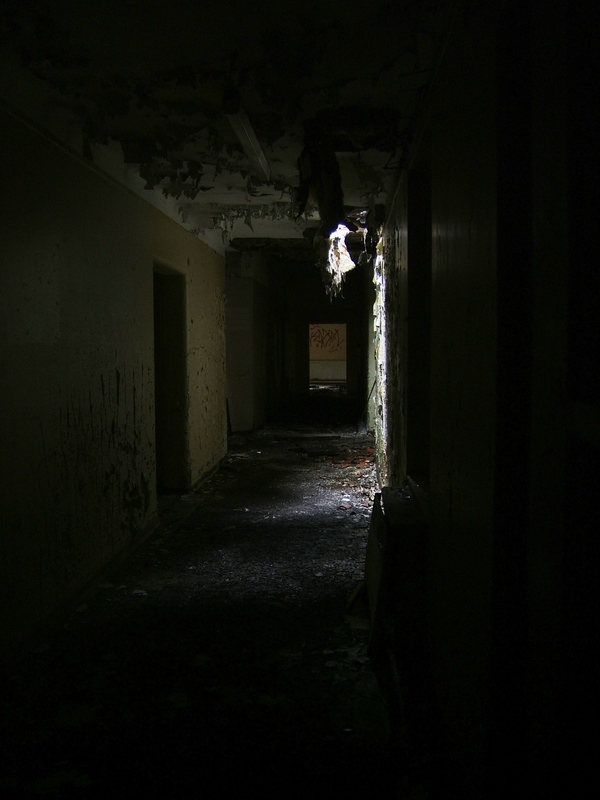 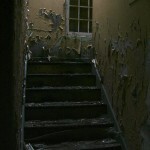 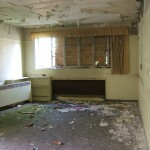 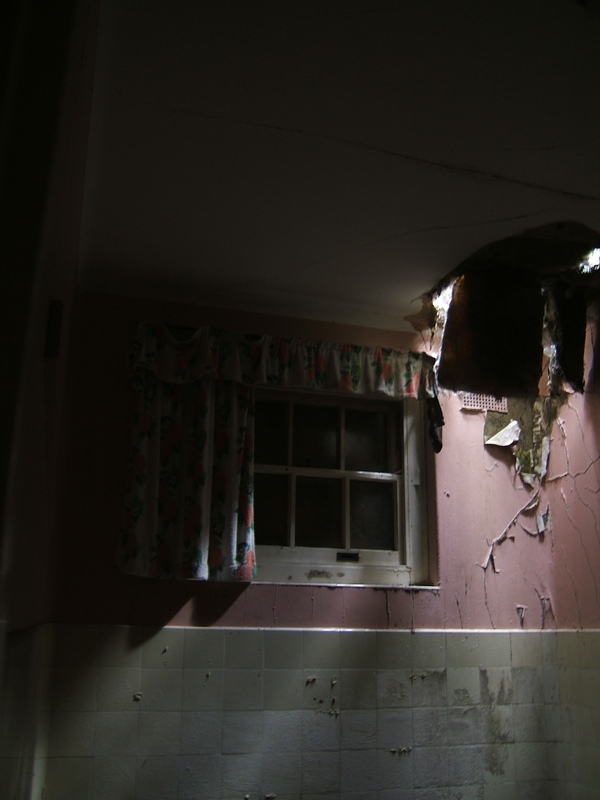 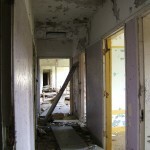 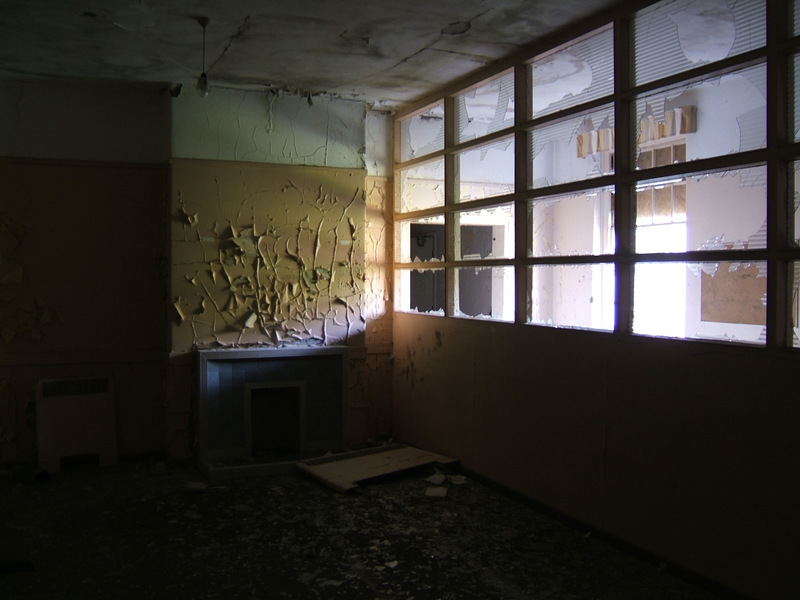 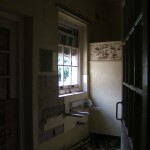 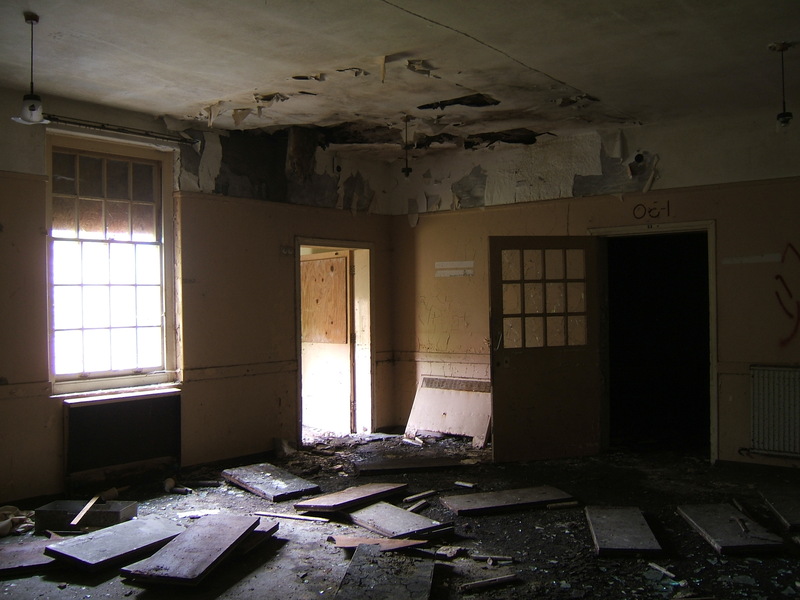 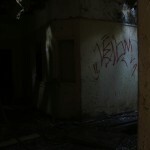 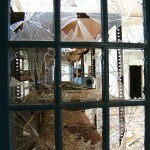 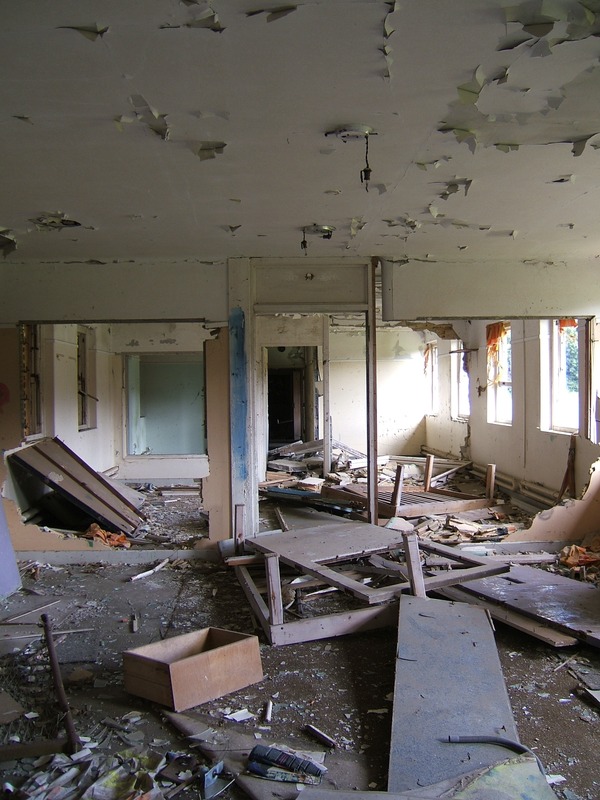 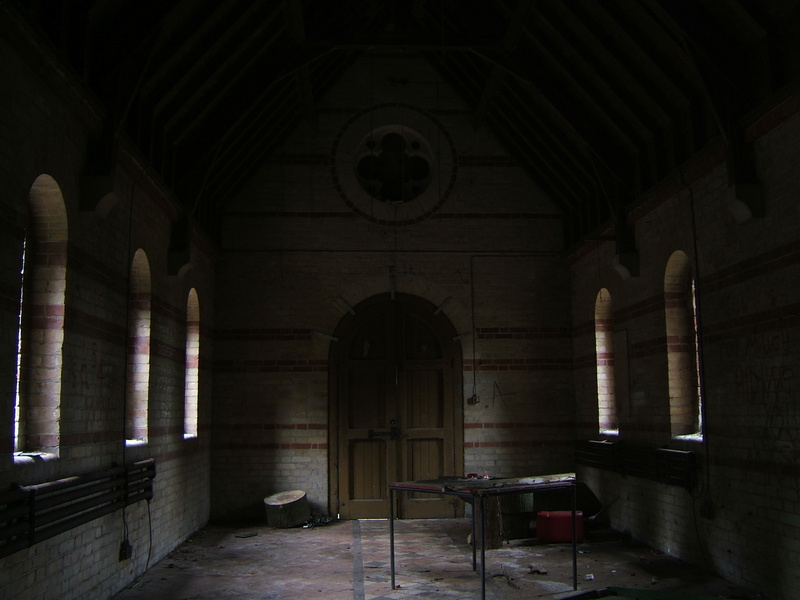 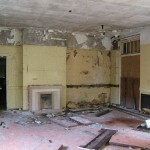 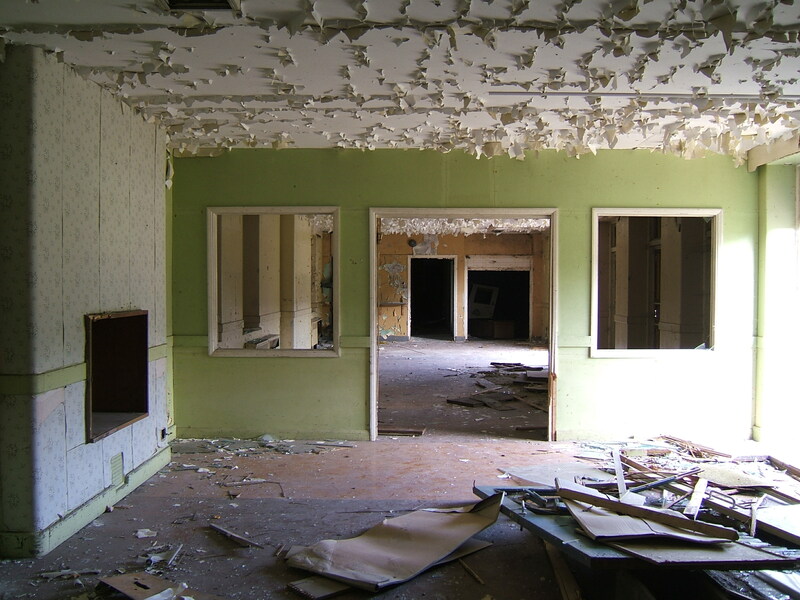 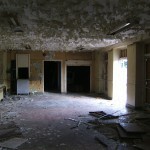 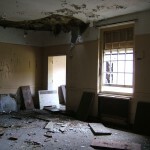 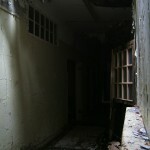 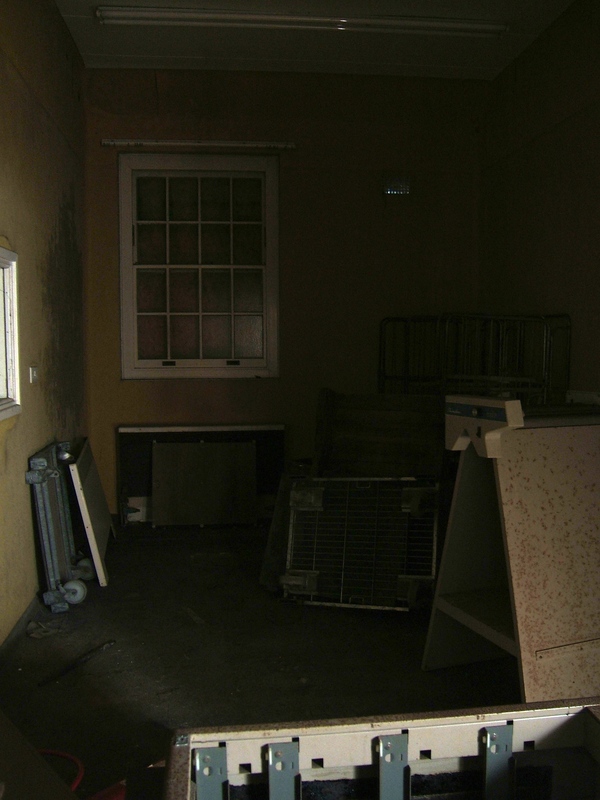 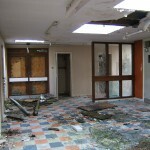 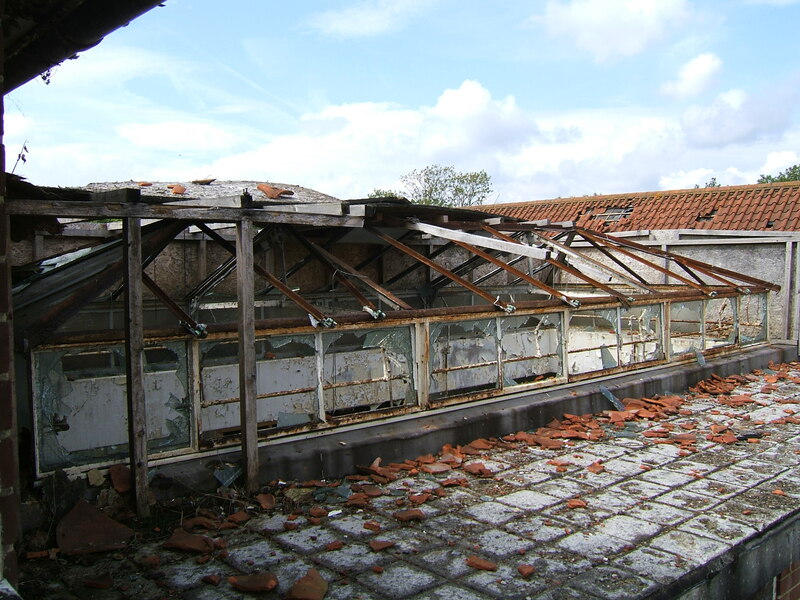 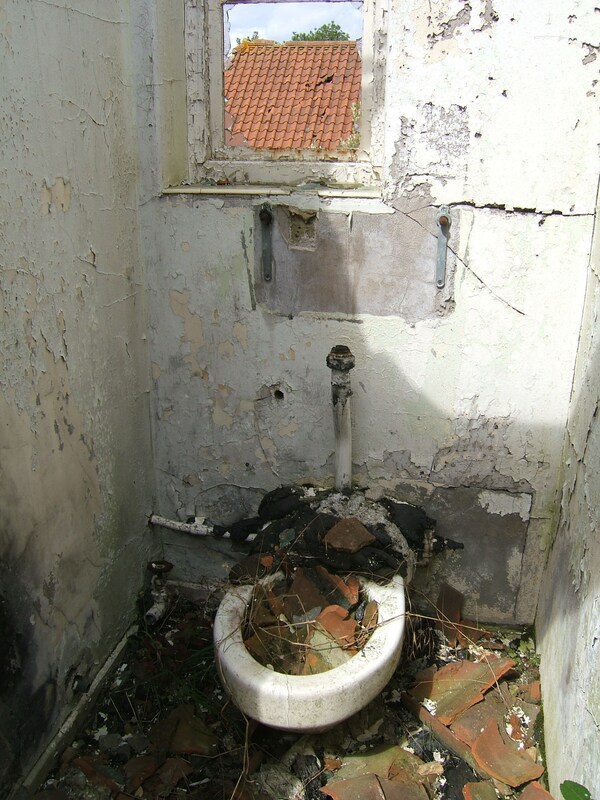 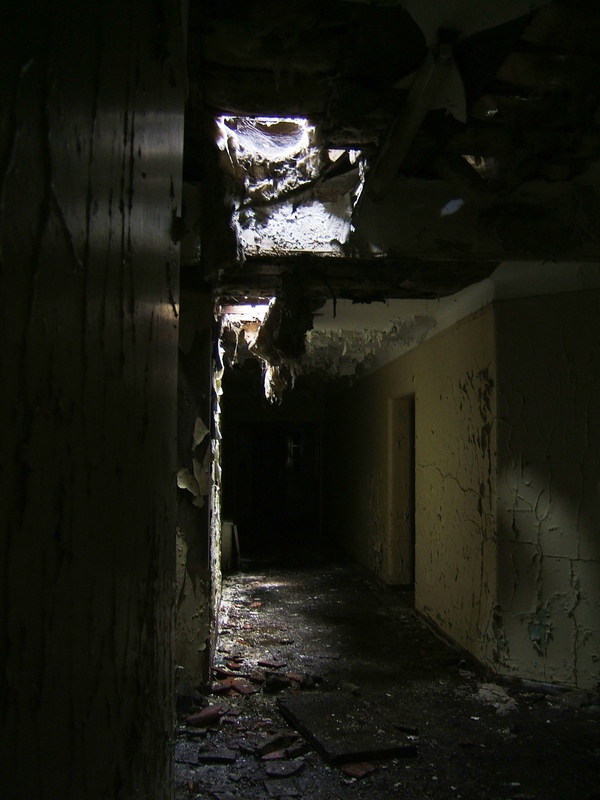 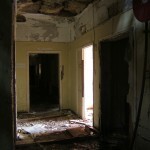 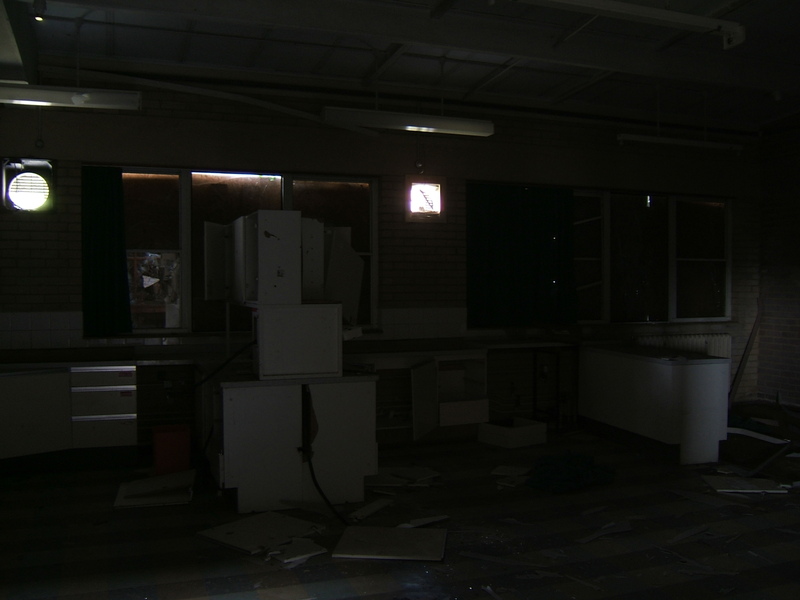 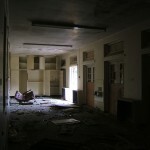 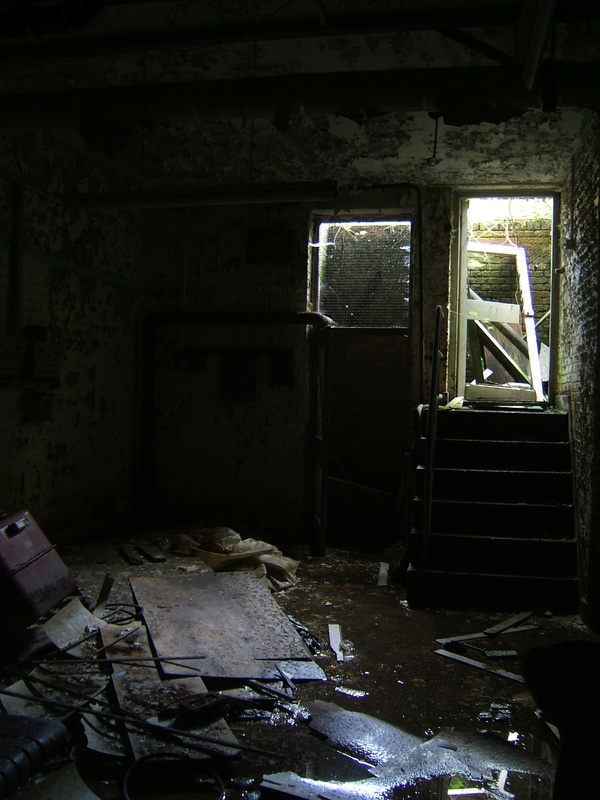 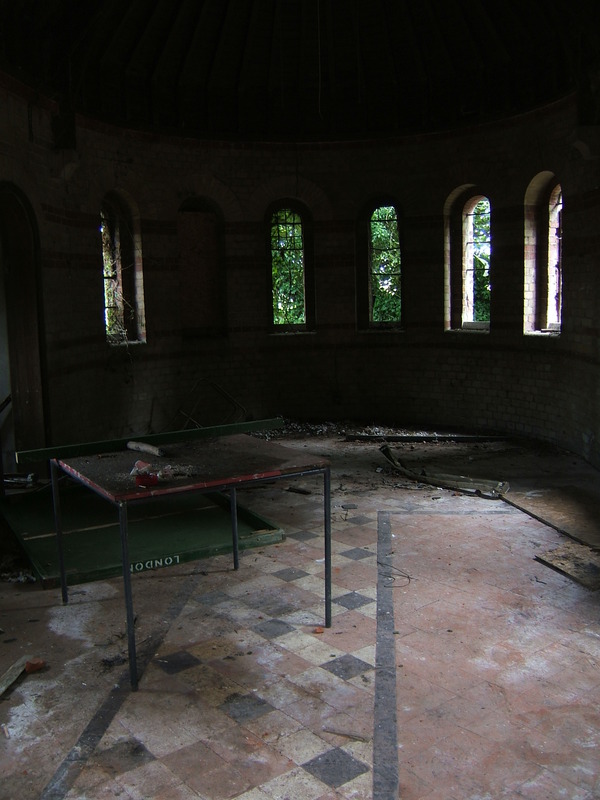 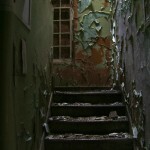 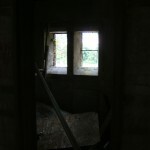 By this time the hospital was known as Chartham Mental Hospital. 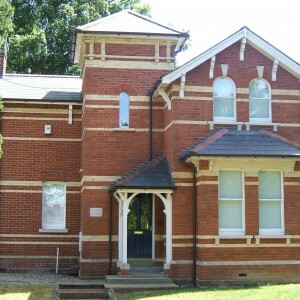 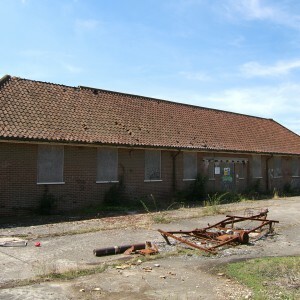 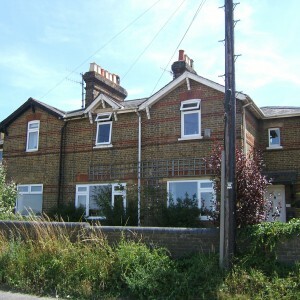 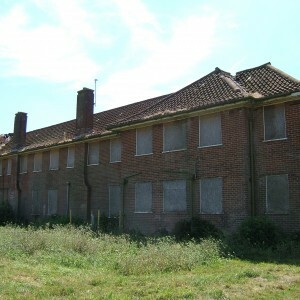 A new nurse’s home (Godfrey House) was constructed during 1931 between the female blocks and road south of the site to free space within the main building for patients and ease overcrowding, assisted by the construction of the new colony for Kent’s mental defectives at Leybourne Grange near Ryarsh, enabling people with what would now be termed learning disabilities to be moved to their own dedicated institution.. A new admission and treatment complex (Oak House) was constructed to the east of the main hospital site on what had been farmland and included two detached villas (Juniper and Redwood) for convalescent patients, one for each gender. 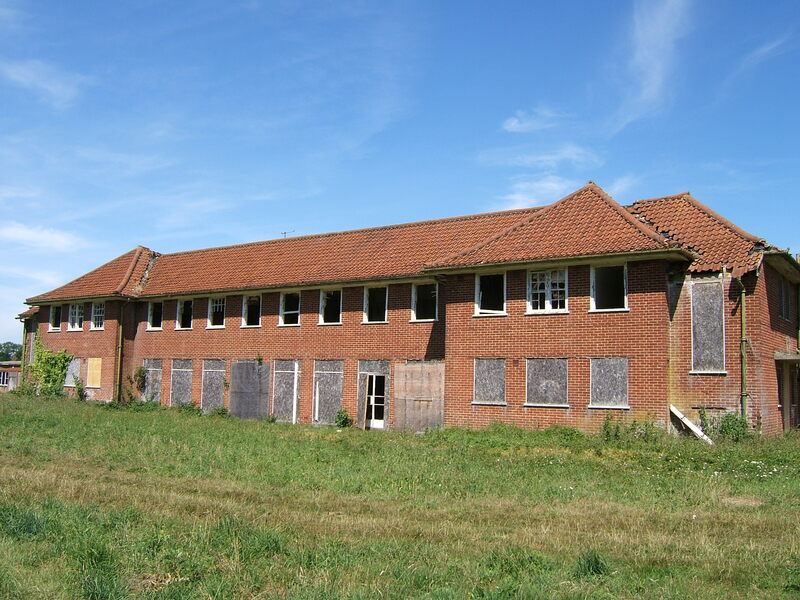 The design was on very similar lines to that already constructed at North Down House, Barming Mental Hospital and the Leybourne Grange Colony. 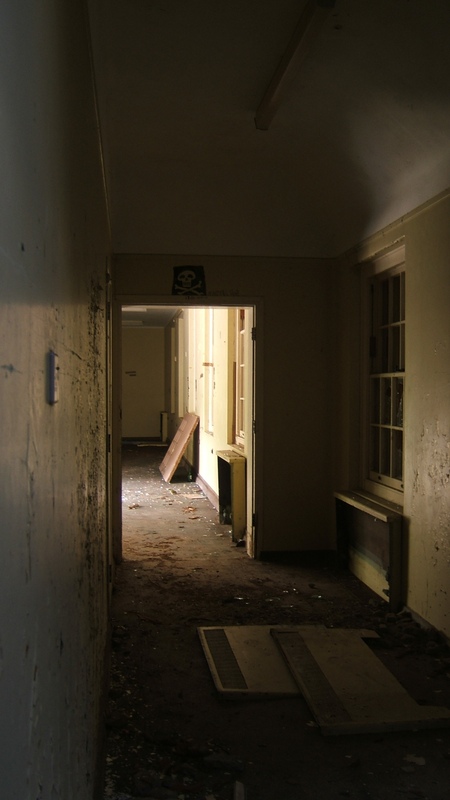 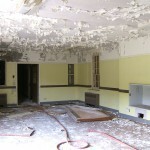 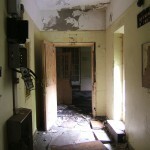 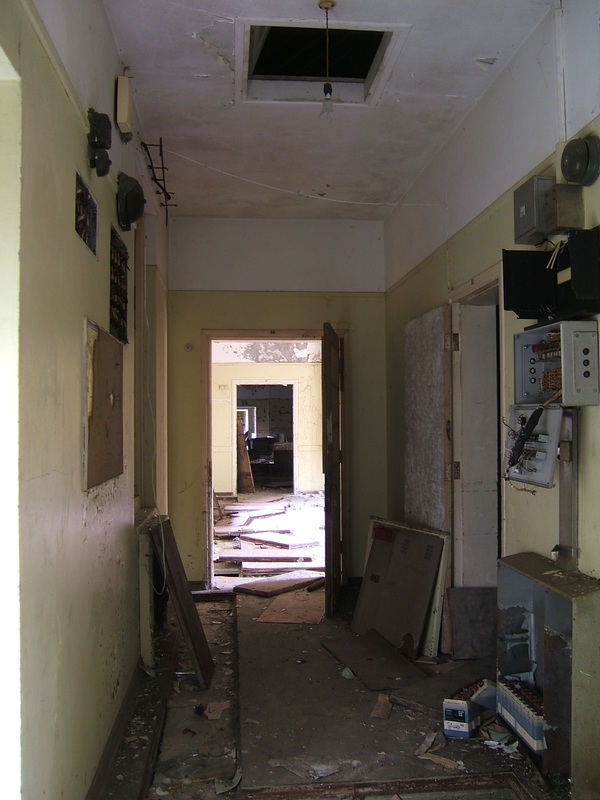 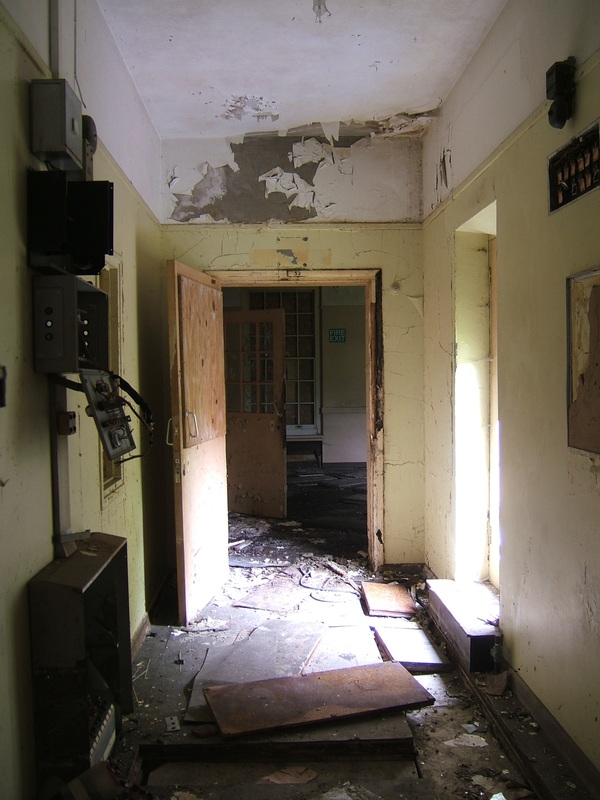 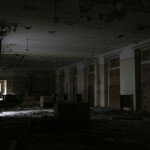 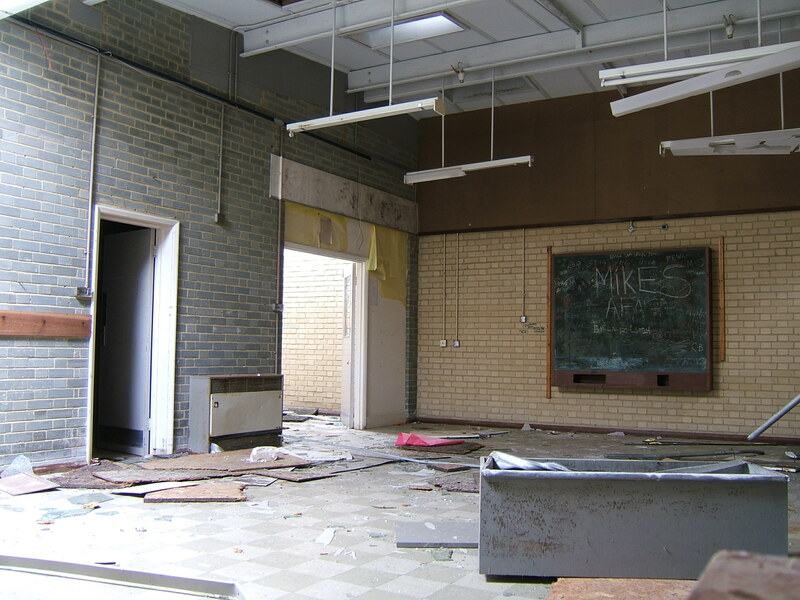 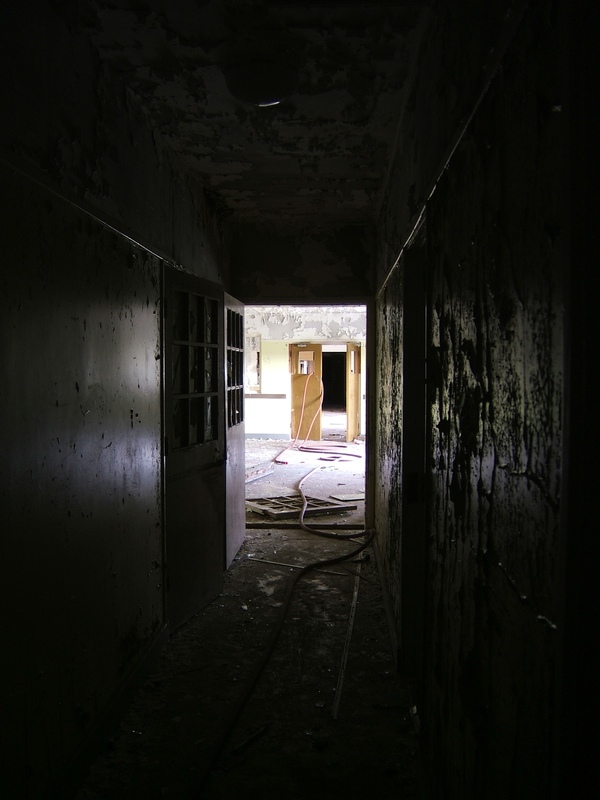 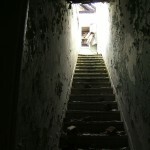 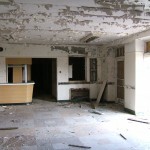 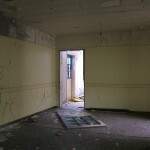 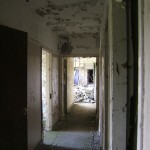 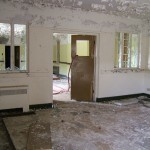 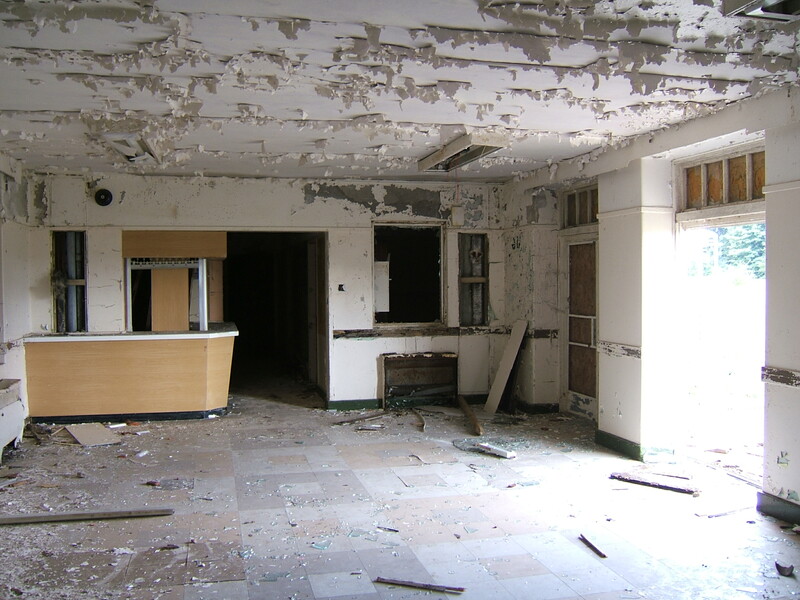 With the intervention of World War II the new admissions unit was requisitioned for the military and never returned to its intended use, becoming a neurological unit. 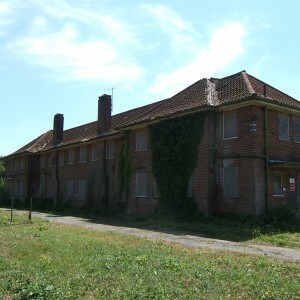 The main hospital was then approaching its most overcrowded having received additional patients from other mental hospitals required for war use. 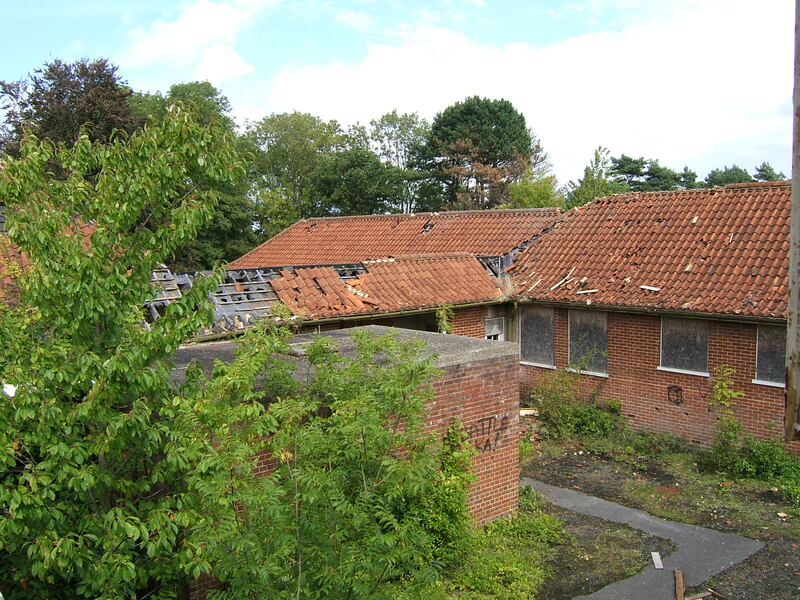 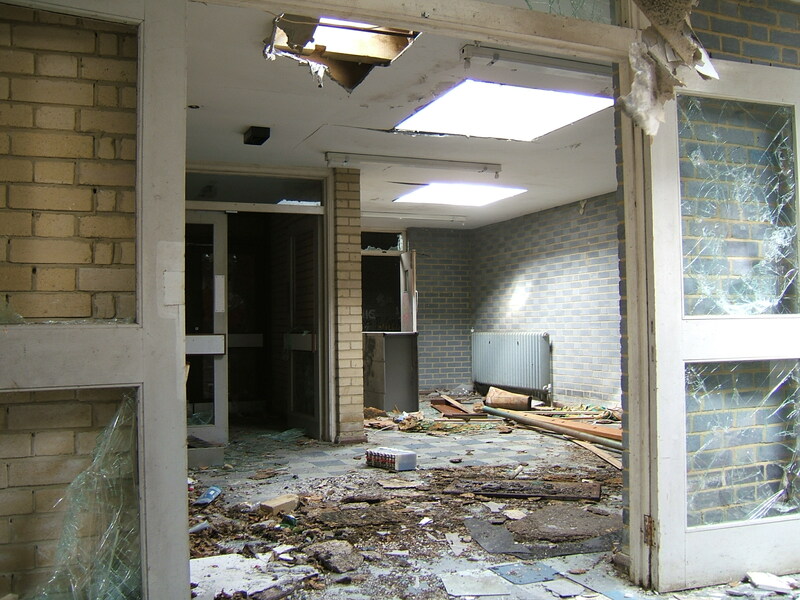 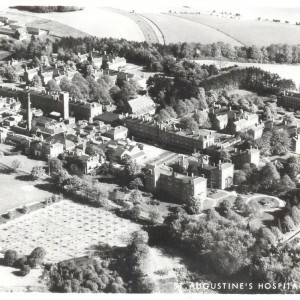 Under the NHS the hospital was renamed St. Augustine’s Hospital and developed closer links with the nearby St. Martin’s Hospital, Canterbury, resulting in a joint management committee and re-arrangement of bed utilisation across the two sites. 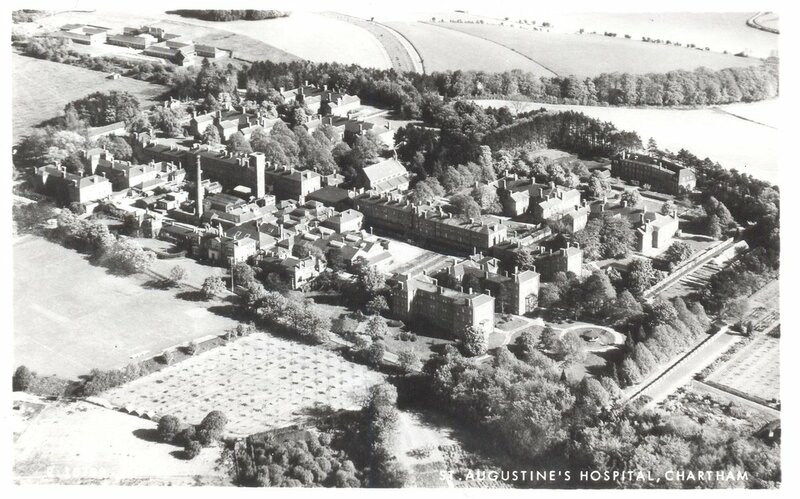 St. Martin’s became the more acute site with longer stay chronic patients based at the more remote St. Augustine’s. 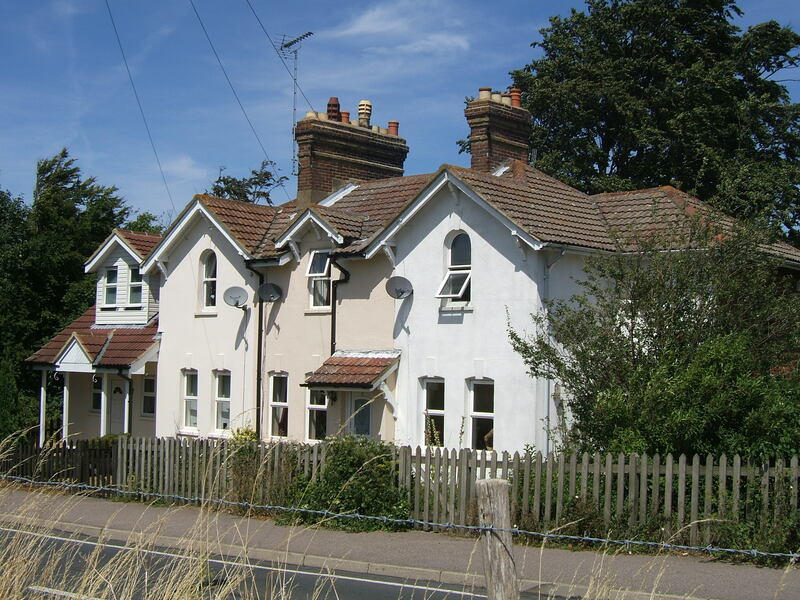 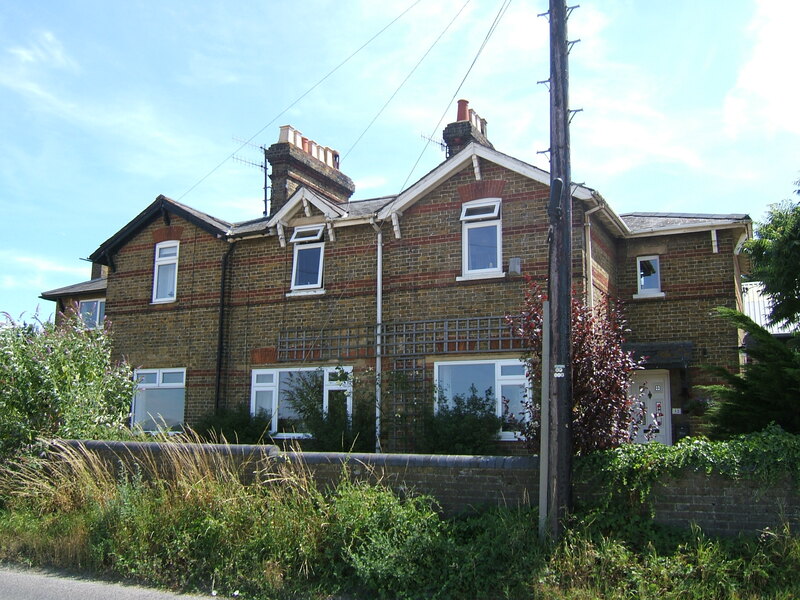 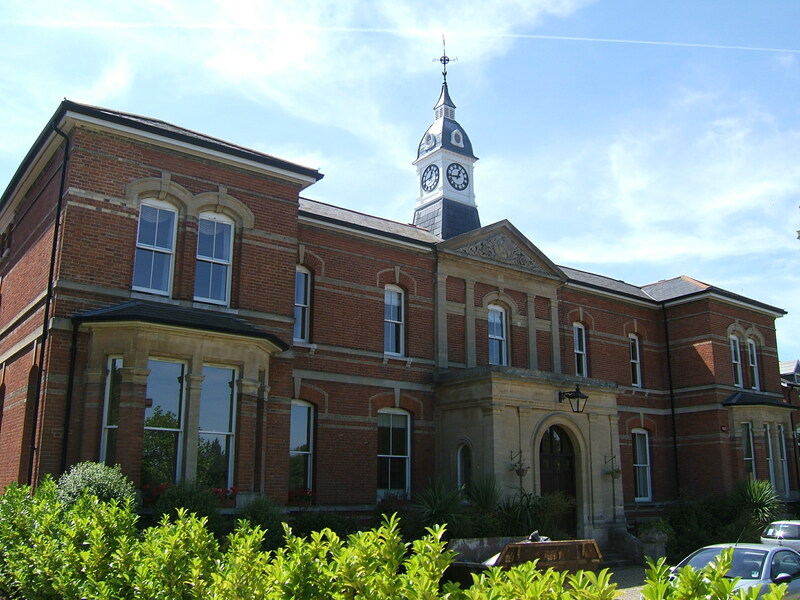 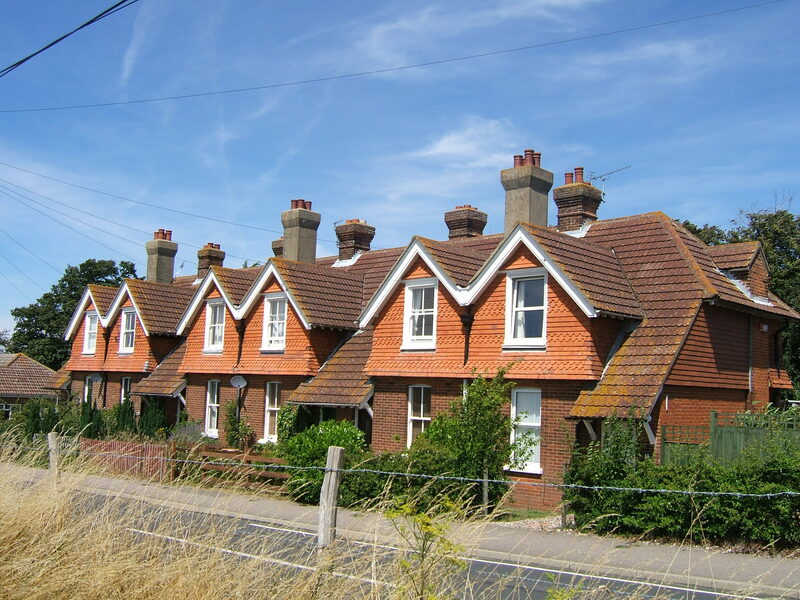 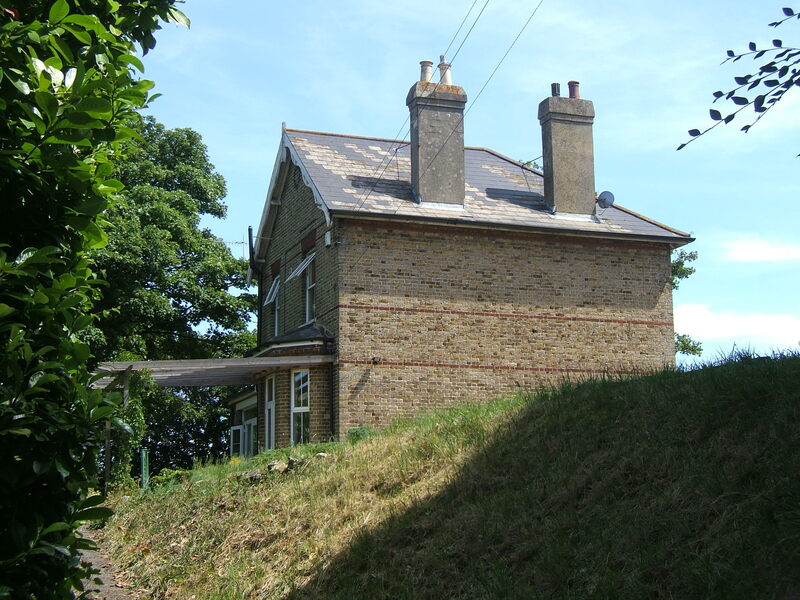 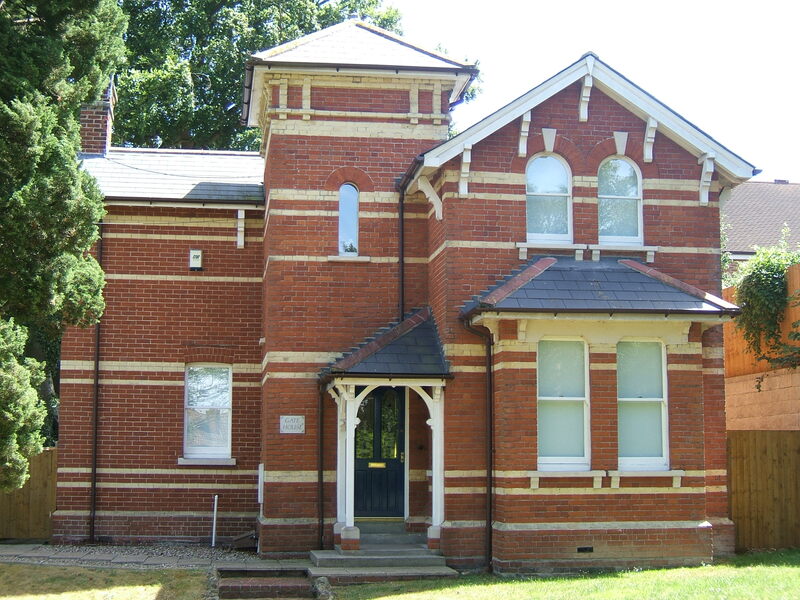 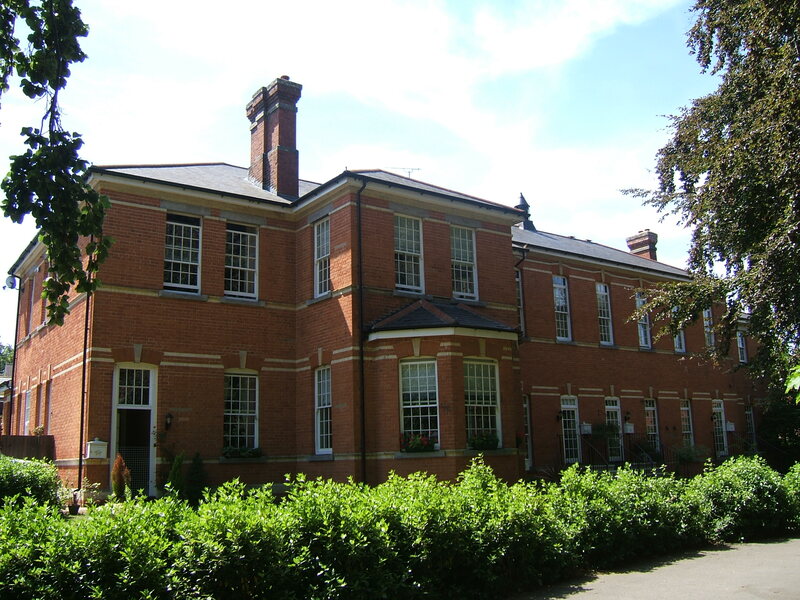 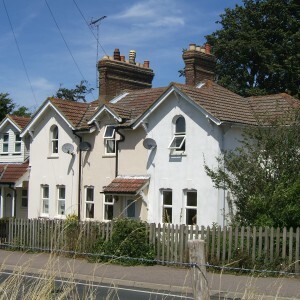 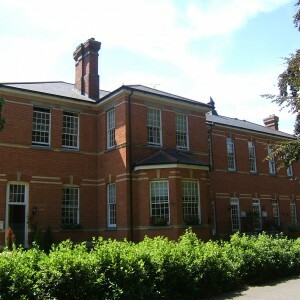 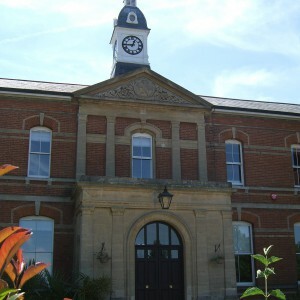 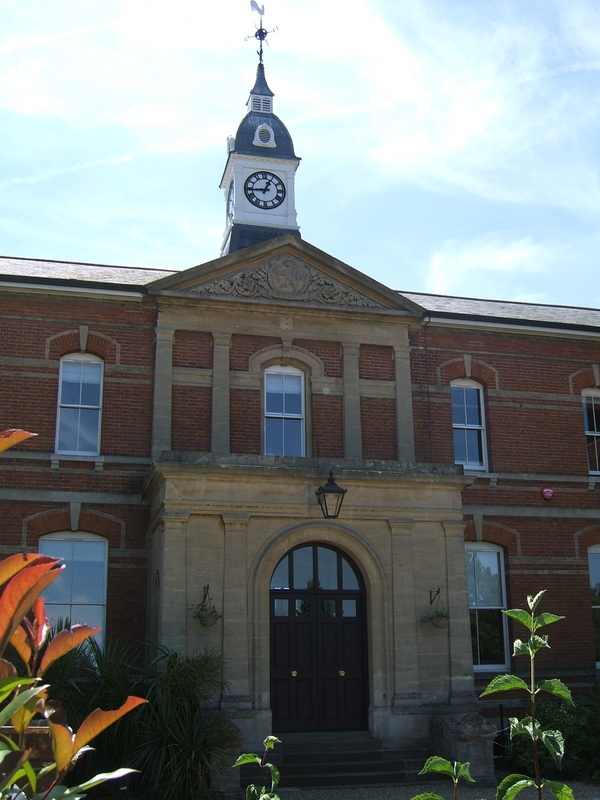 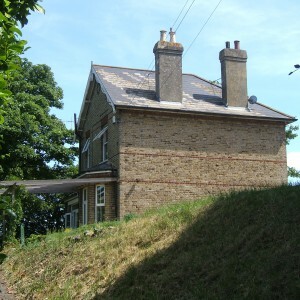 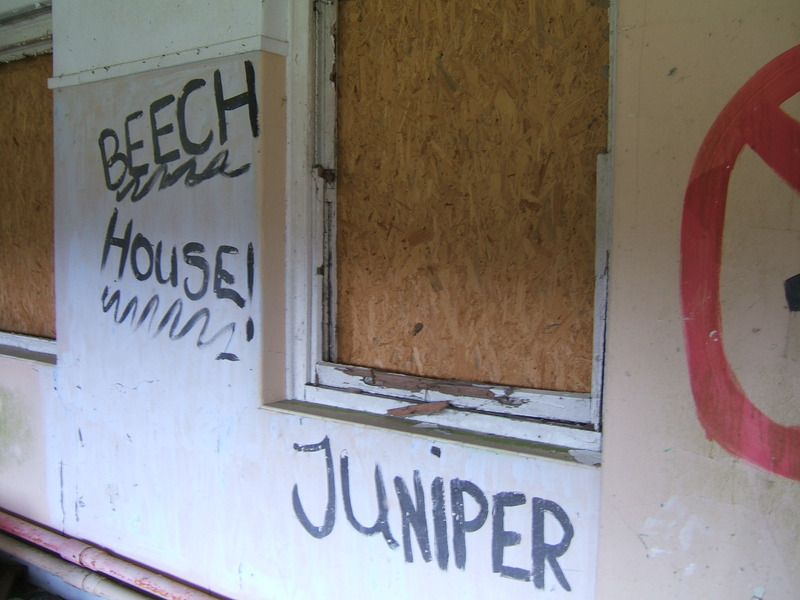 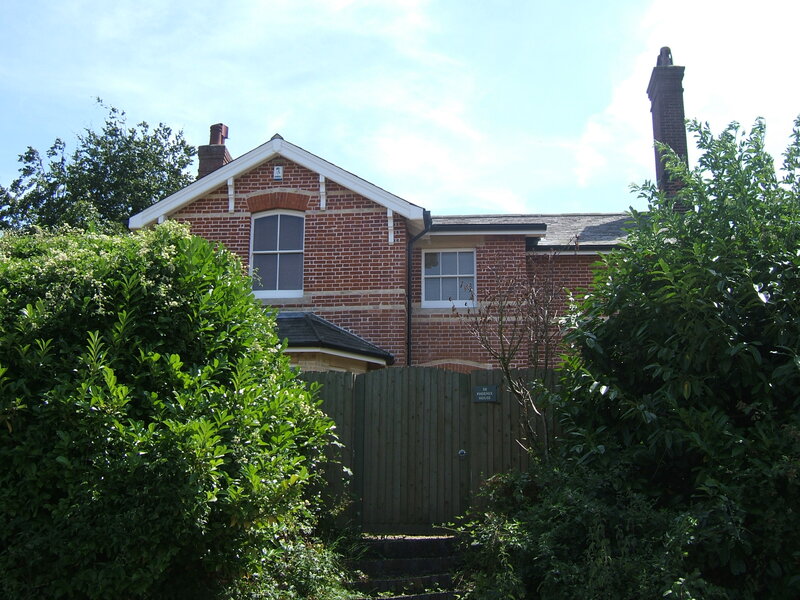 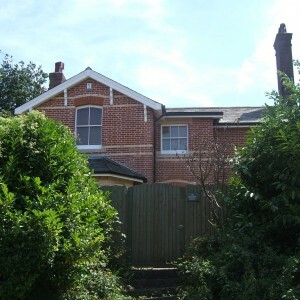 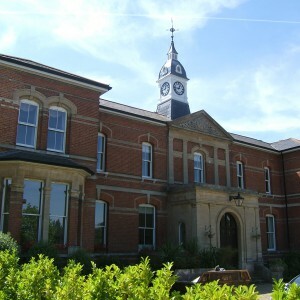 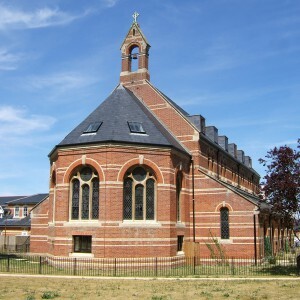 A new special school, Beech House School was developed adjacent to the former convalescent villas and these were utilised for boarder’s accommodation. 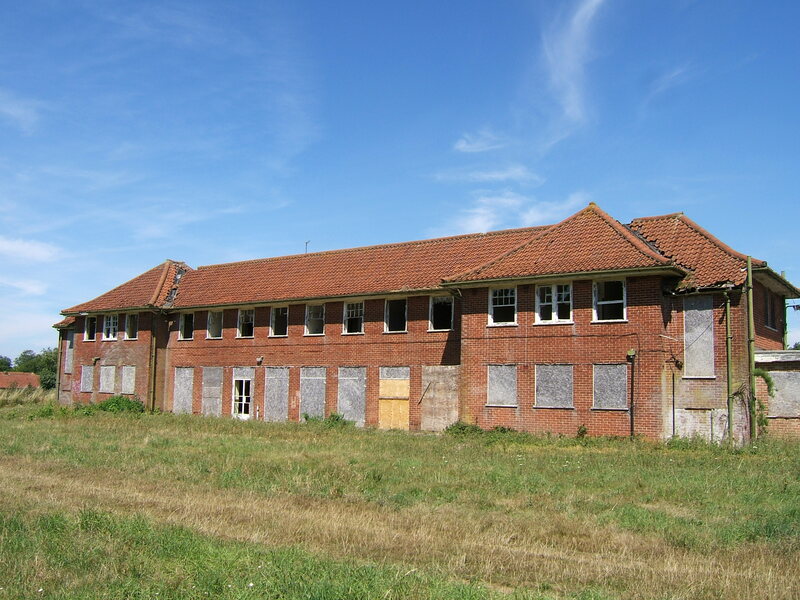 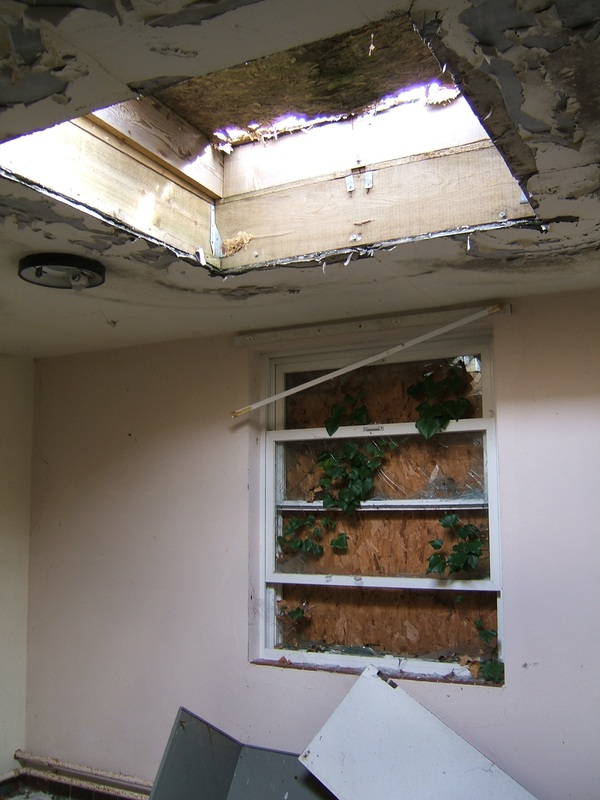 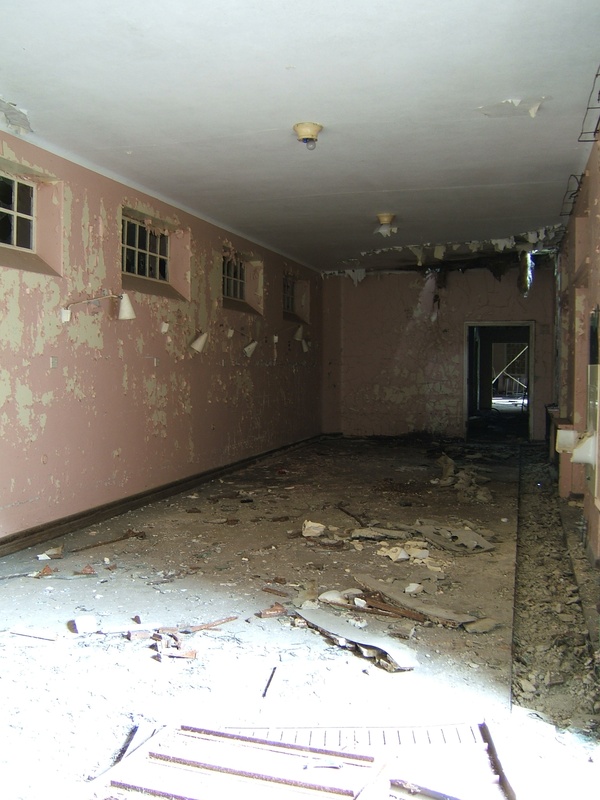 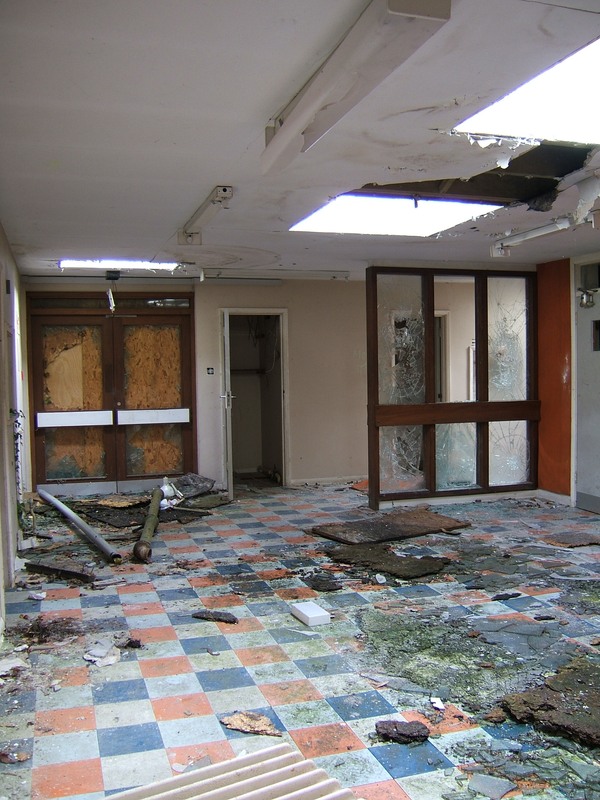 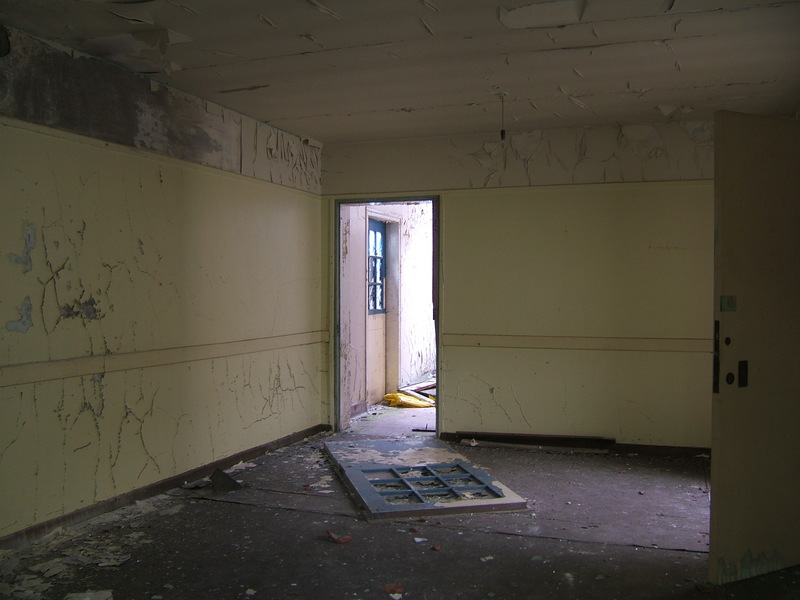 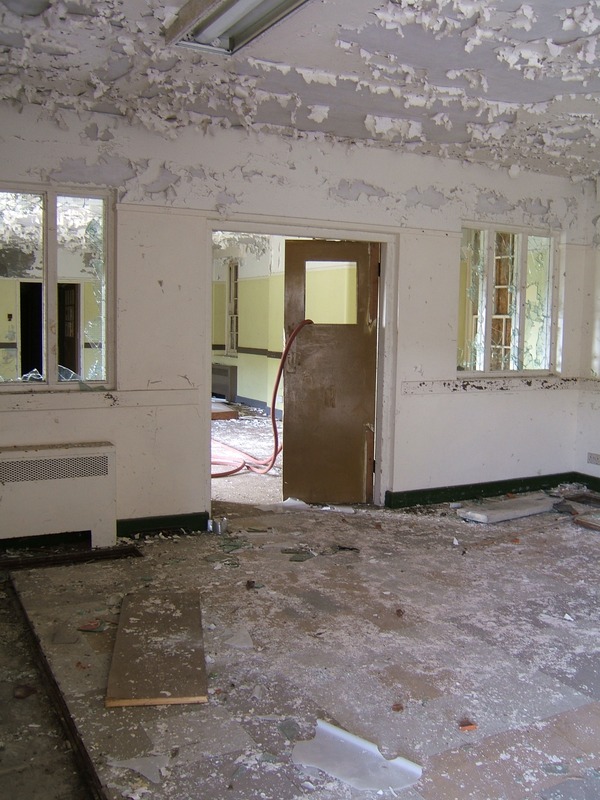 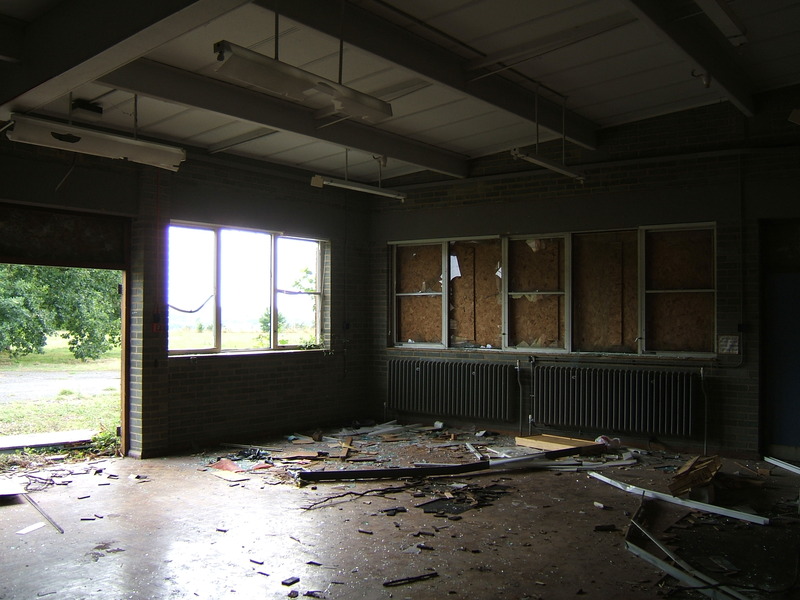 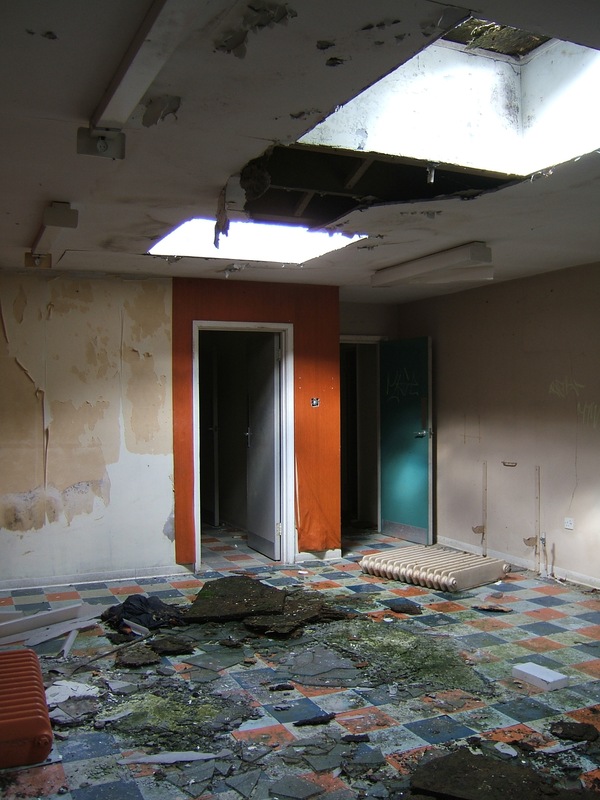 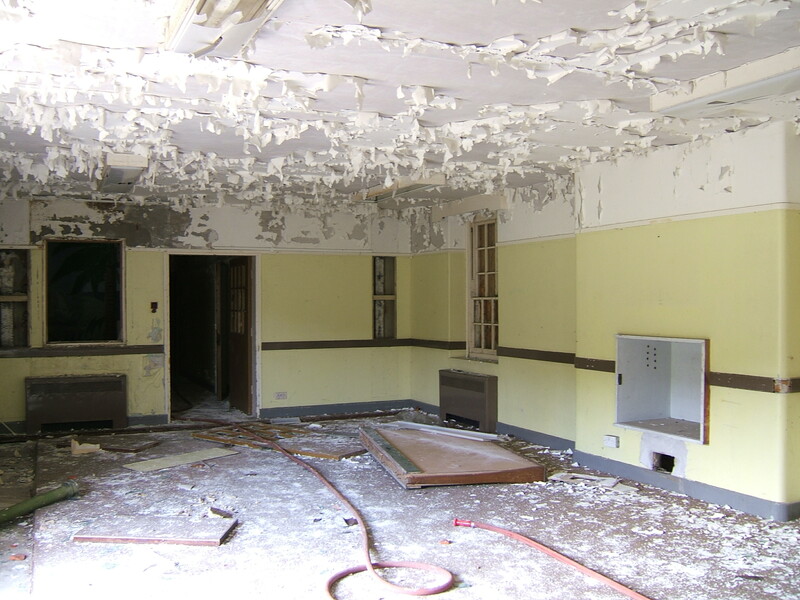 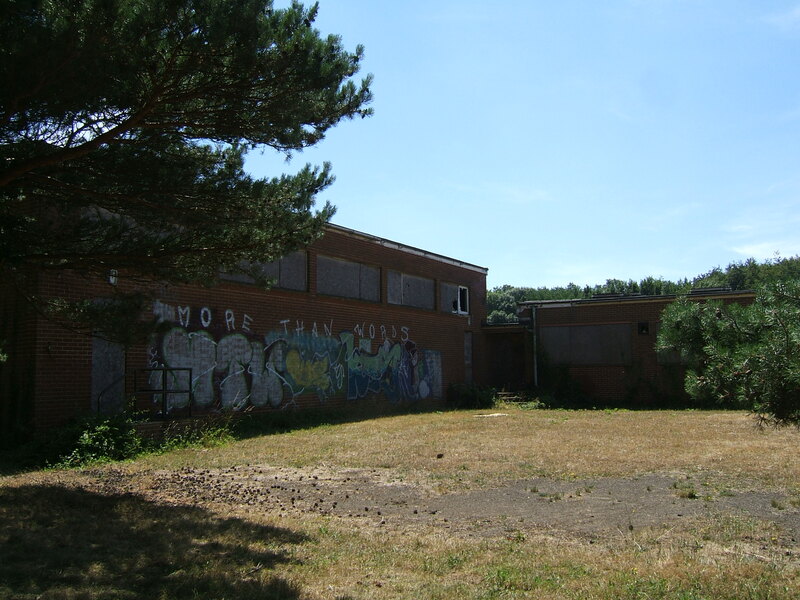 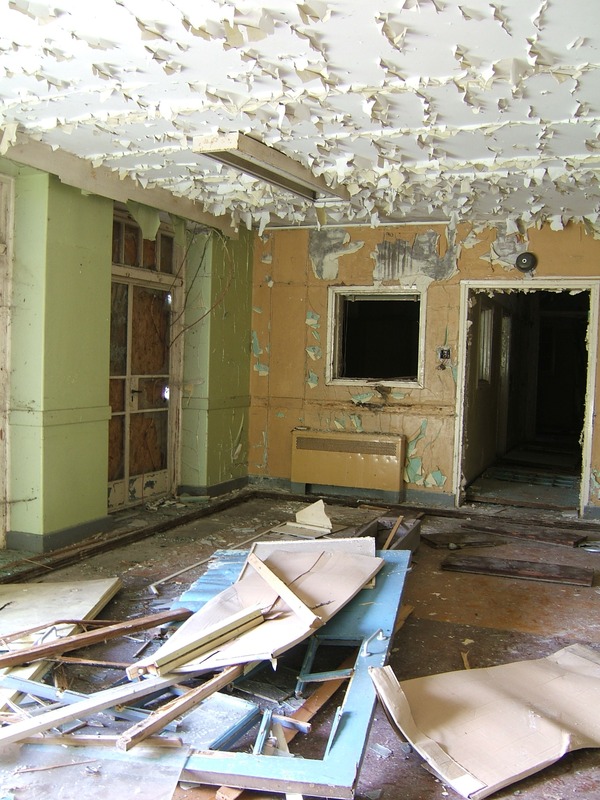 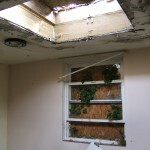 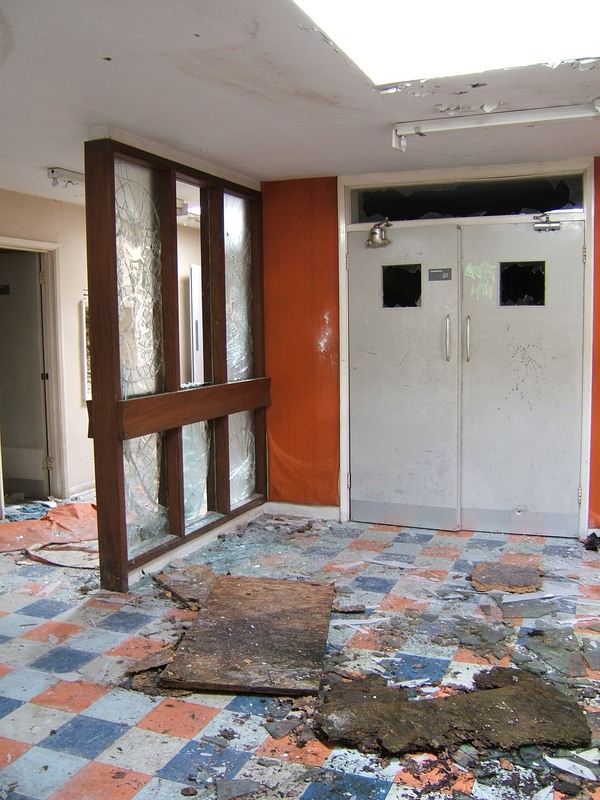 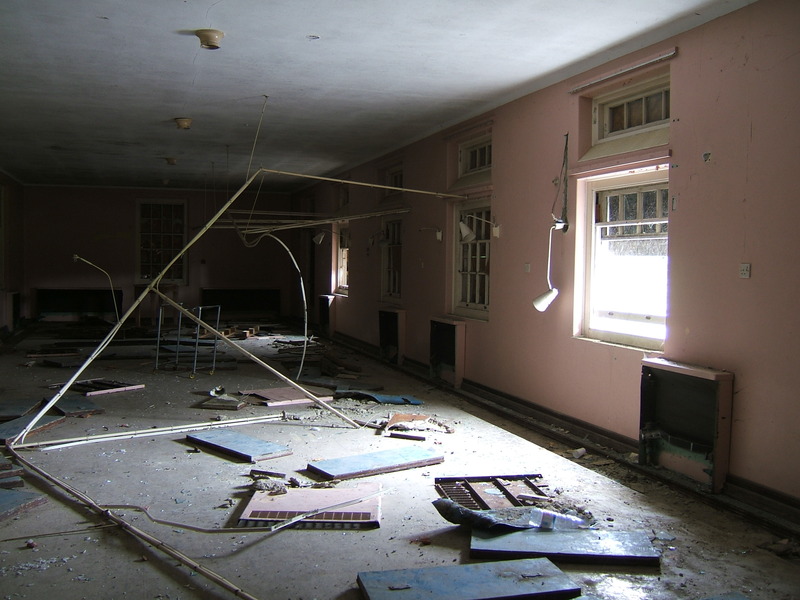 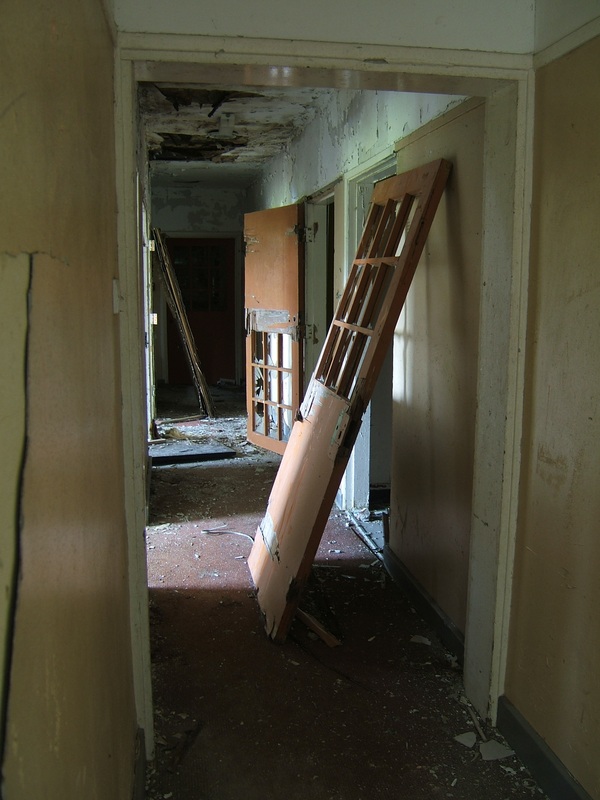 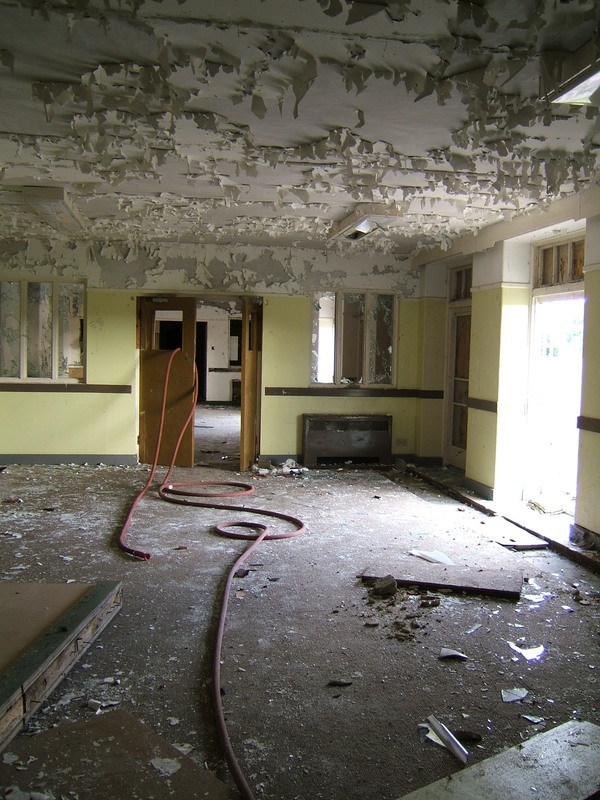 As part of the process of discharging long stay psychiatric patients into community settings, St. Augustine’s was earmarked as one of the earlier closures. 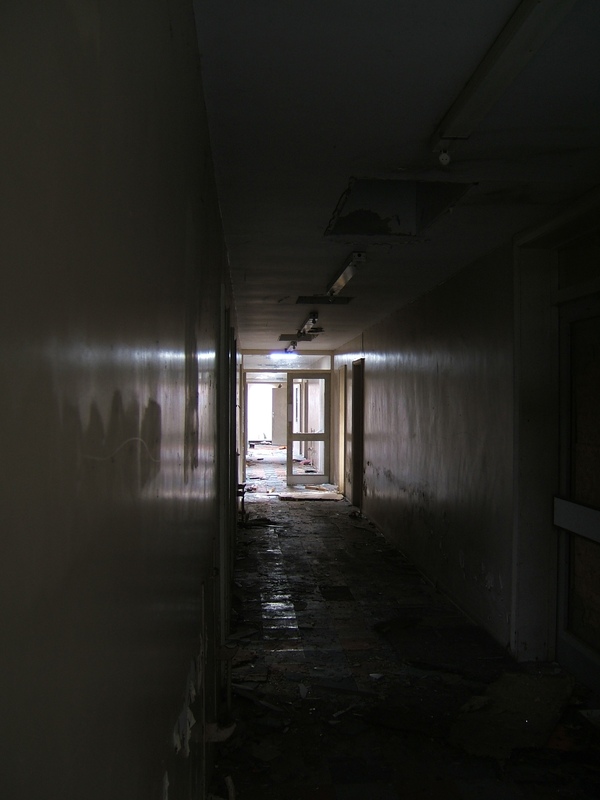 This was enabled by St. Martin’s already having taken on the acute role and avoiding the need to develop these services into new mental health units as at other mental hospitals. 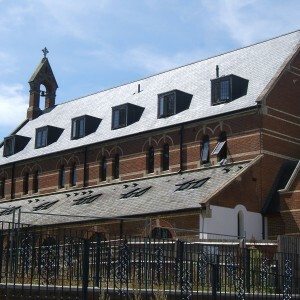 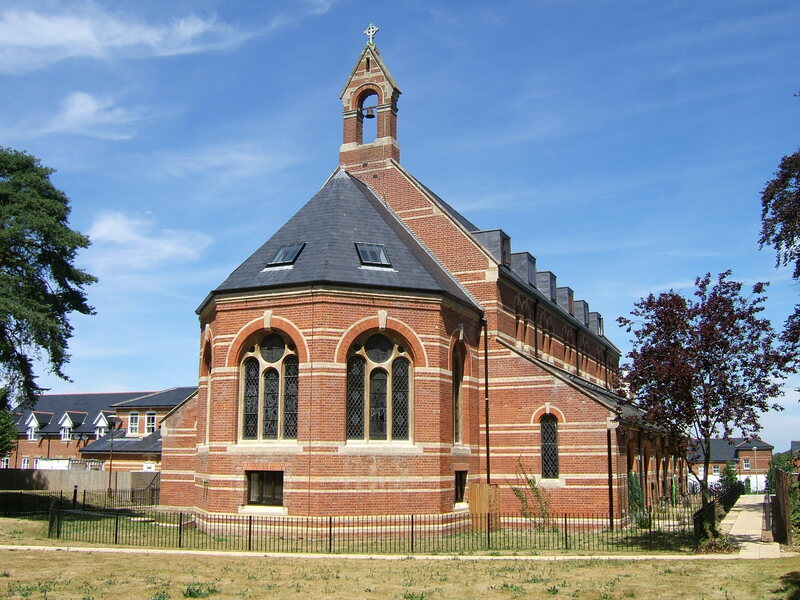 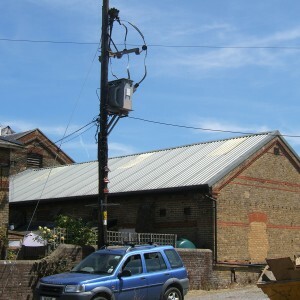 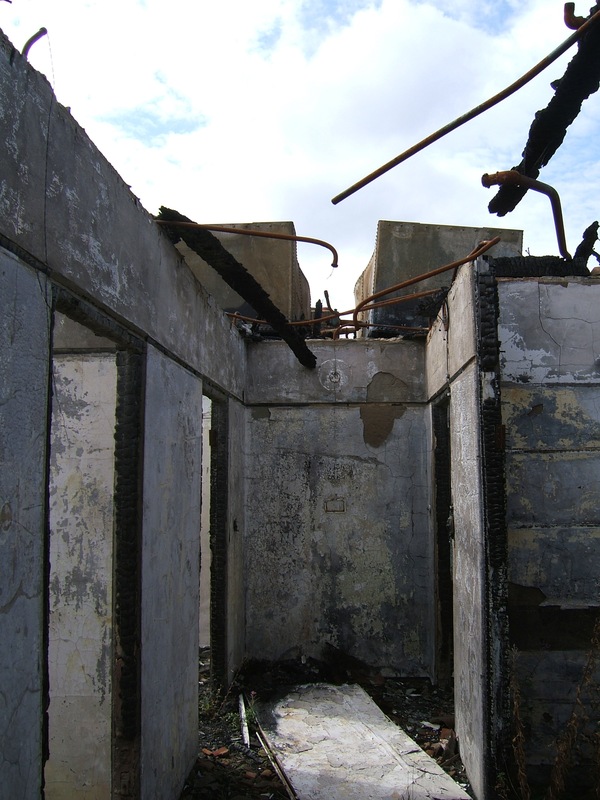 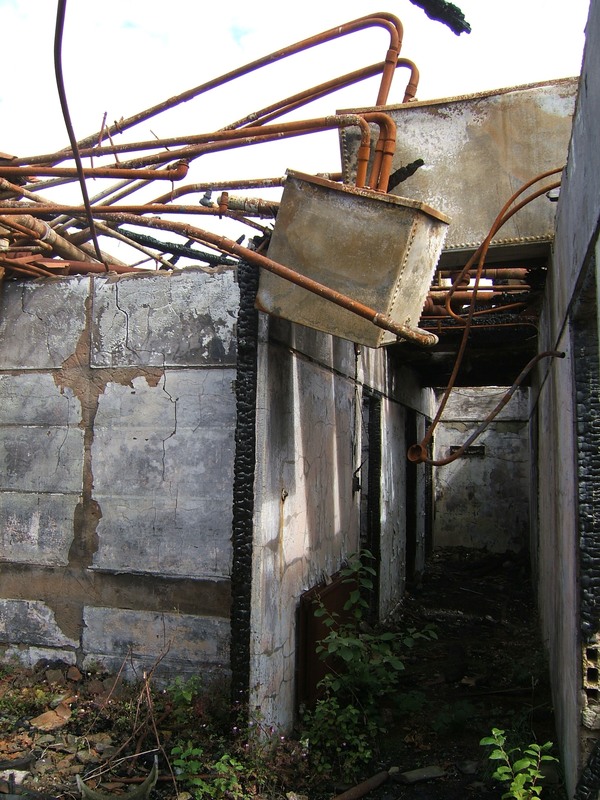 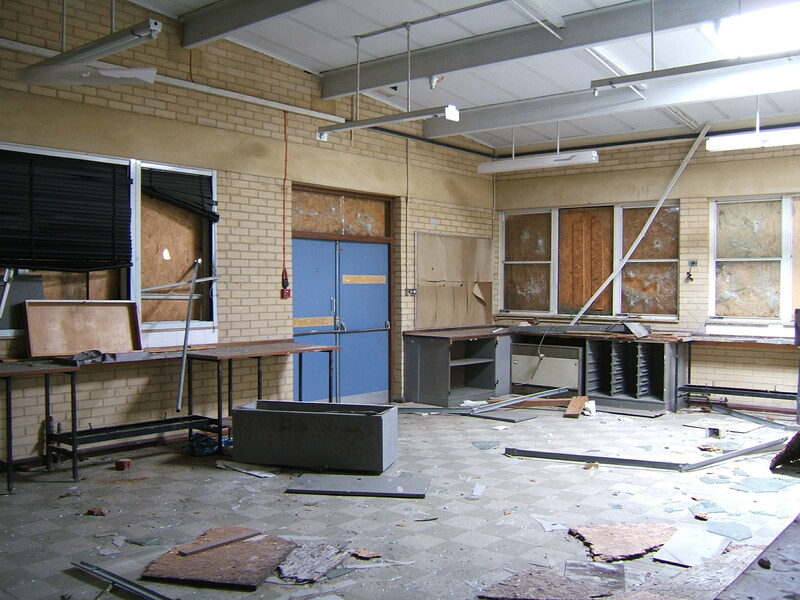 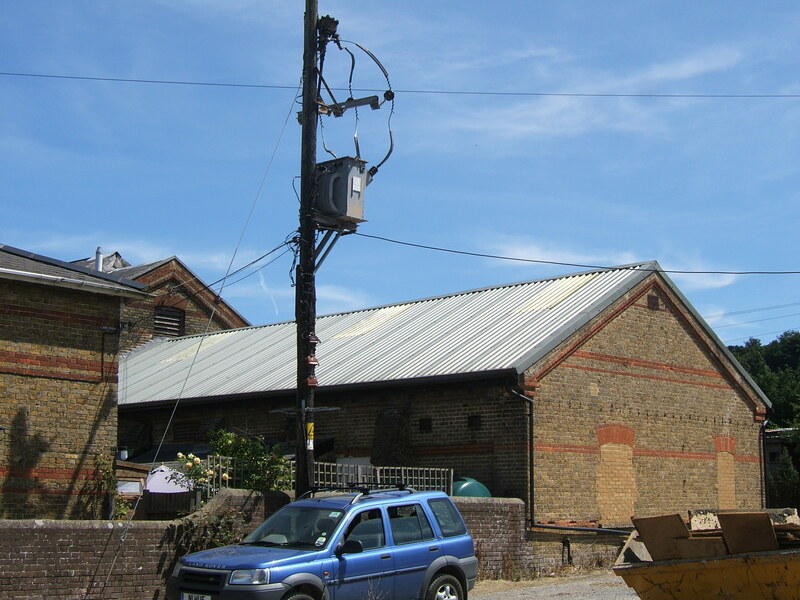 At St. Augustine’s wards were gradually closed and services contracted towards the core of the site allowing outlying structures to be emptied and sealed. 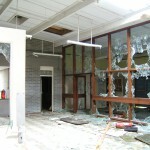 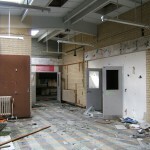 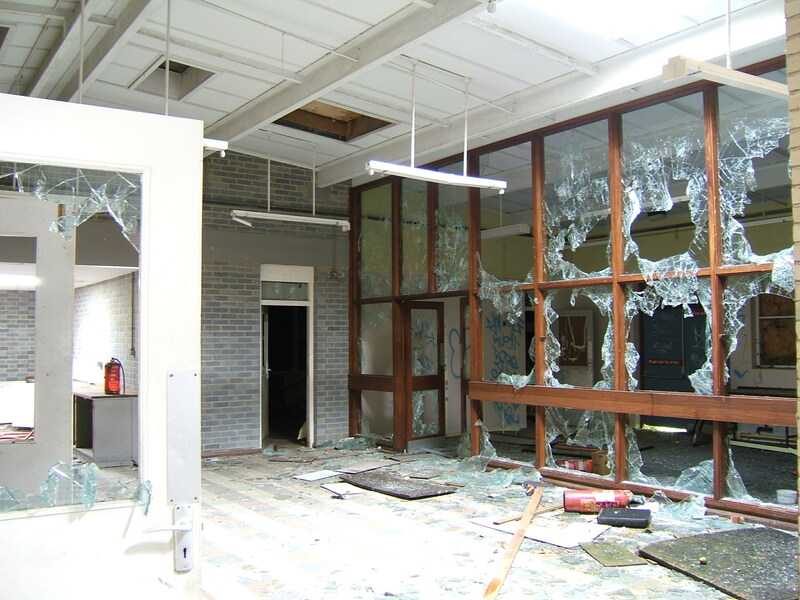 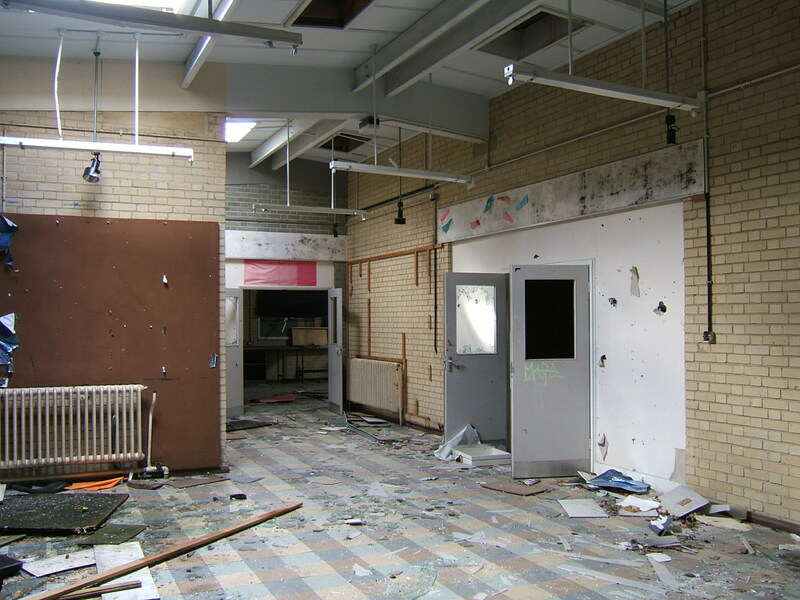 The stores department was merged with other hospitals in the area and relocated to the now vacated Oak house site. 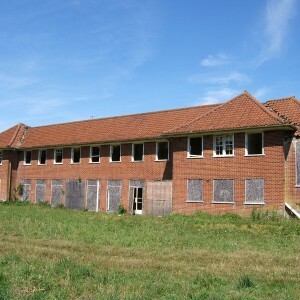 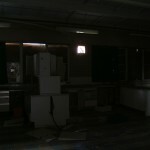 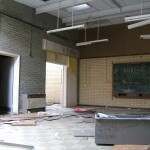 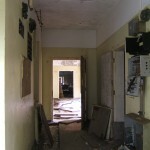 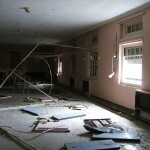 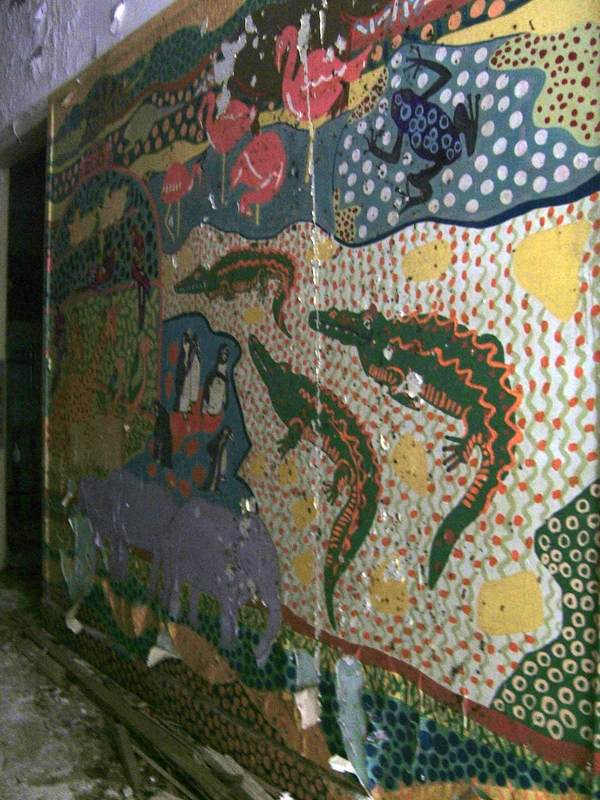 The hospital eventually closed during late 1993. 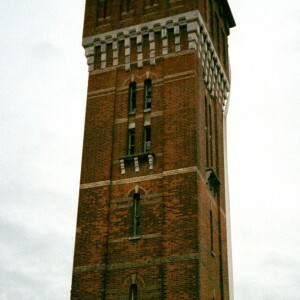 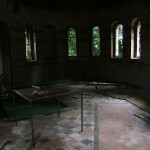 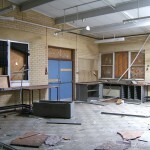 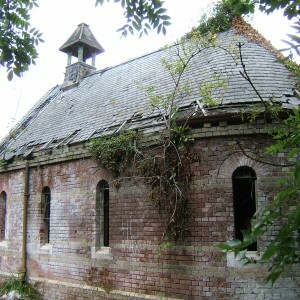 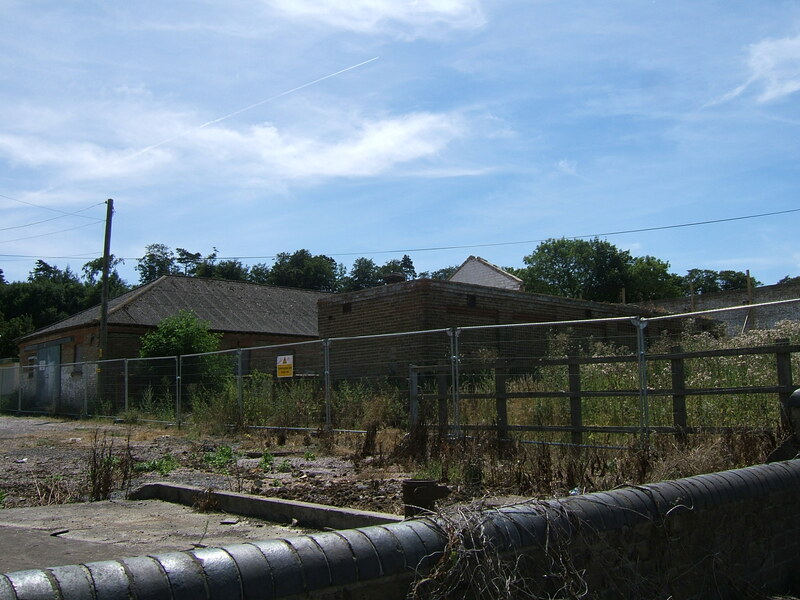 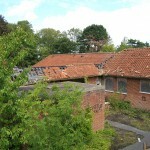 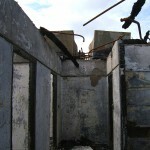 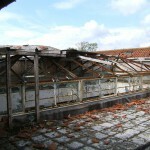 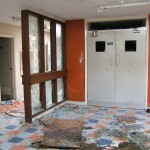 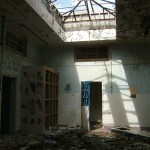 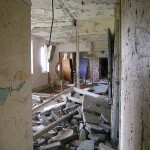 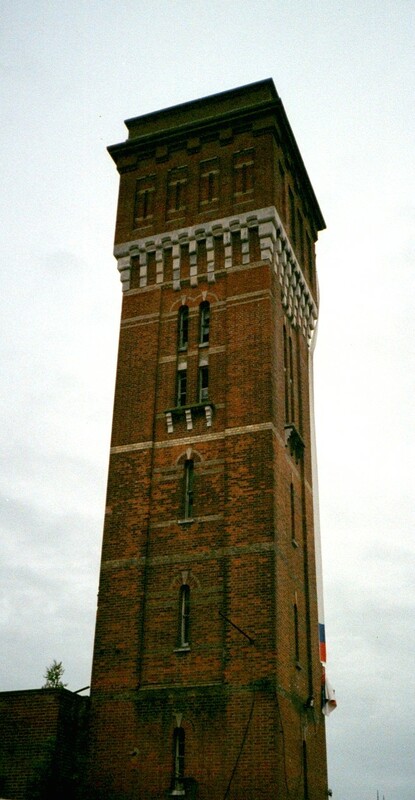 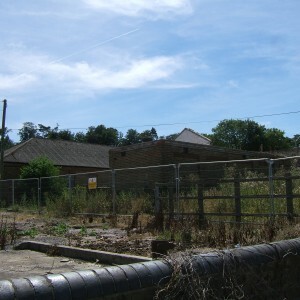 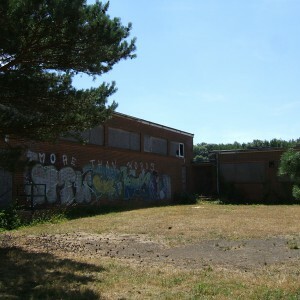 Since closure the majority of the buildings have been demolished within the main complex, only the administration block, chapel and water tower having survived. 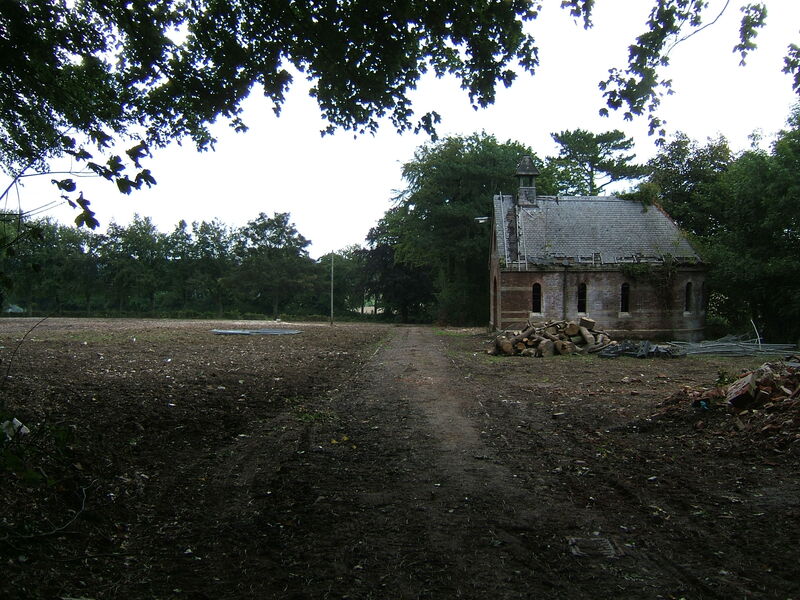 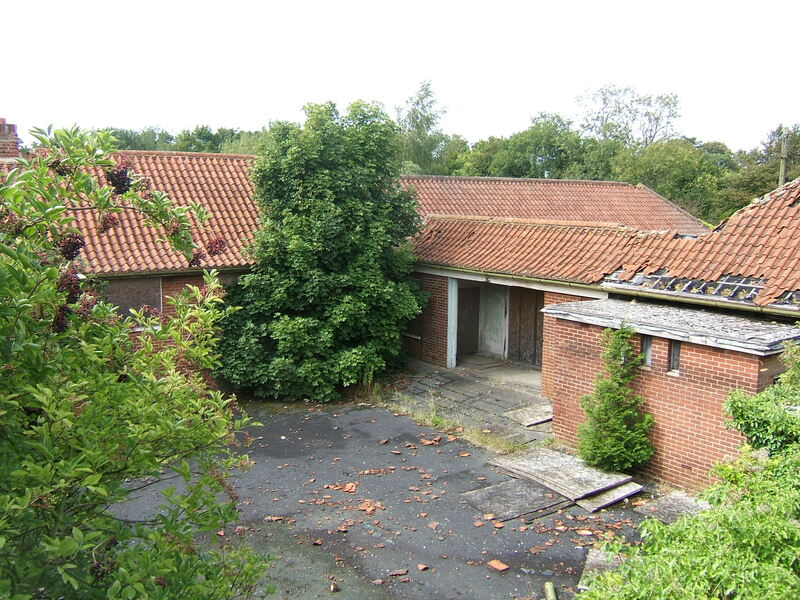 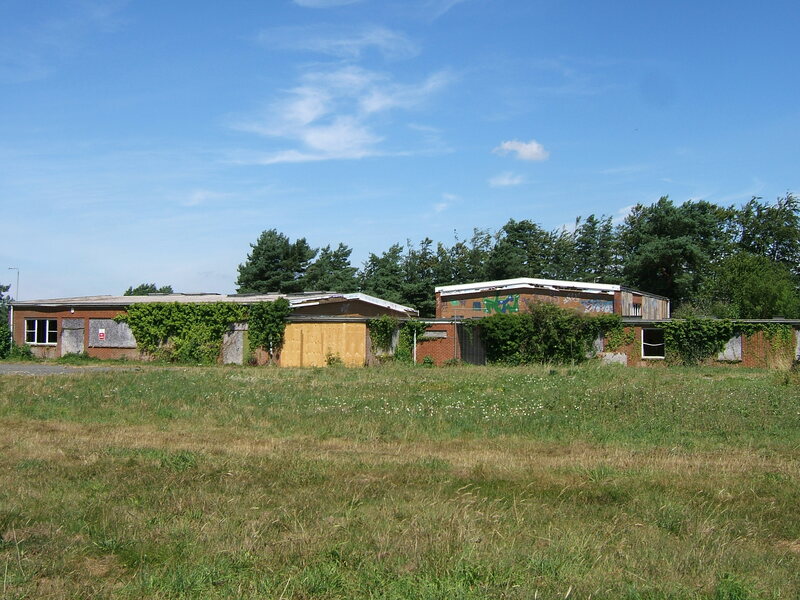 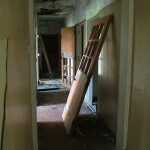 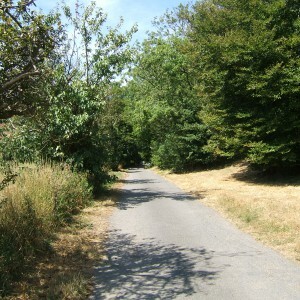 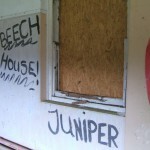 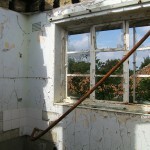 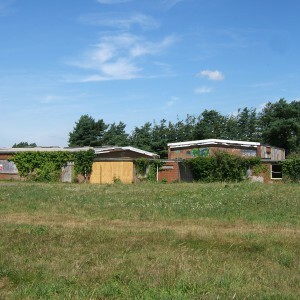 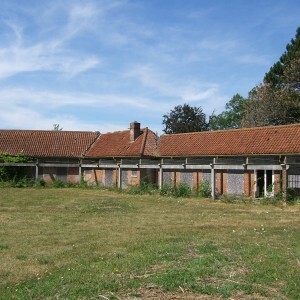 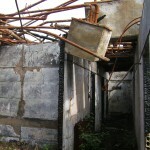 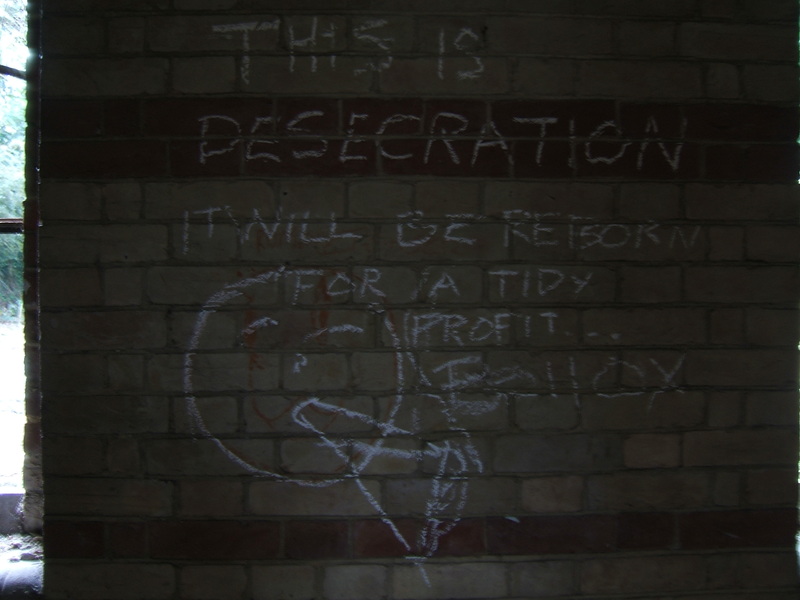 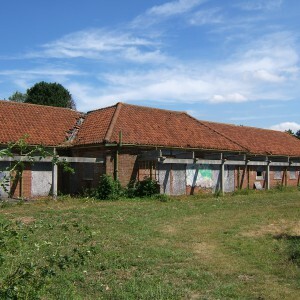 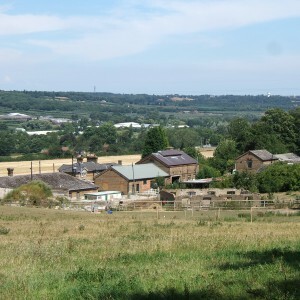 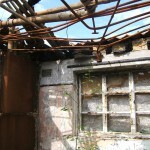 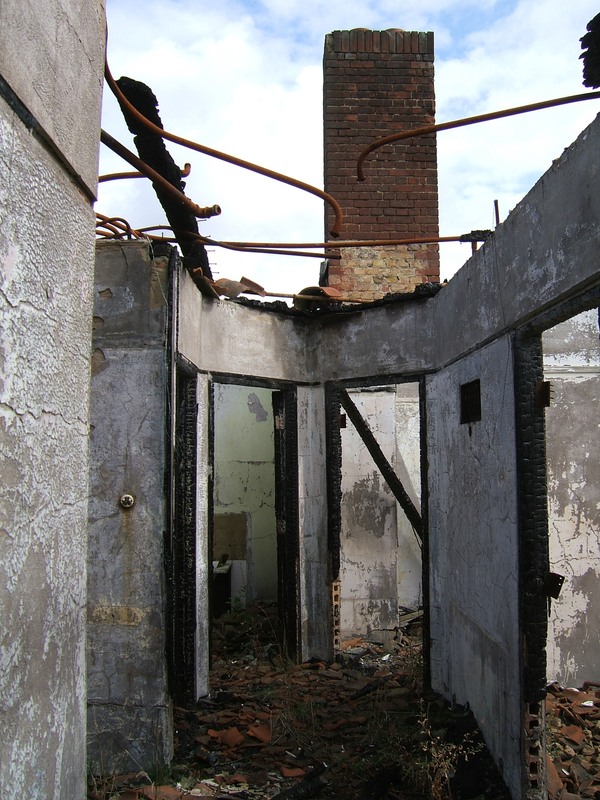 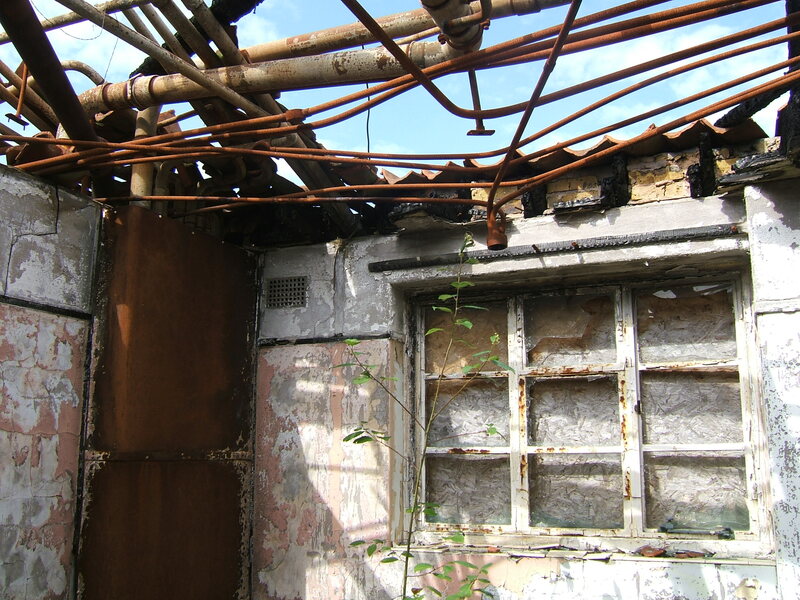 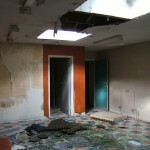 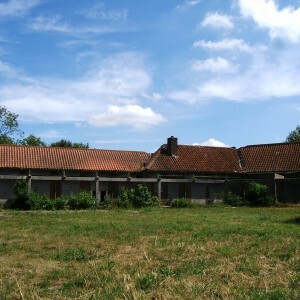 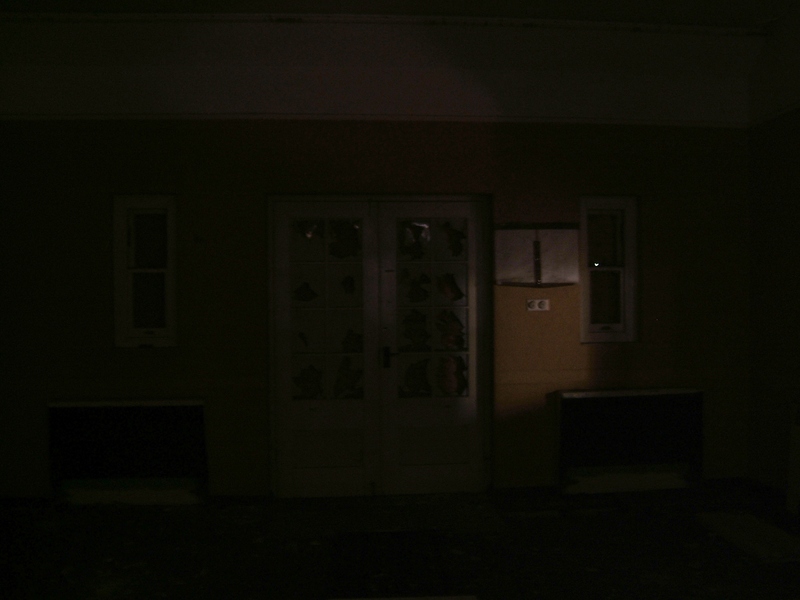 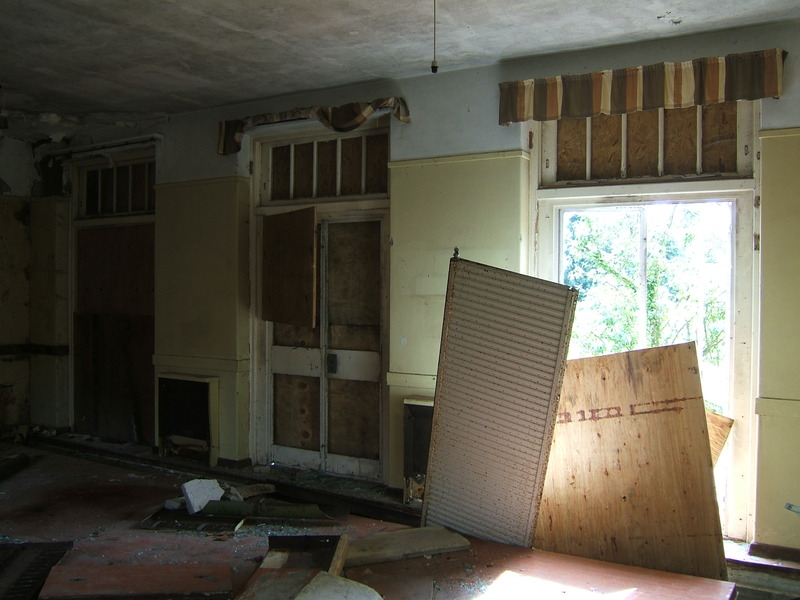 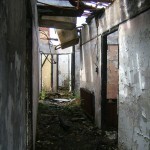 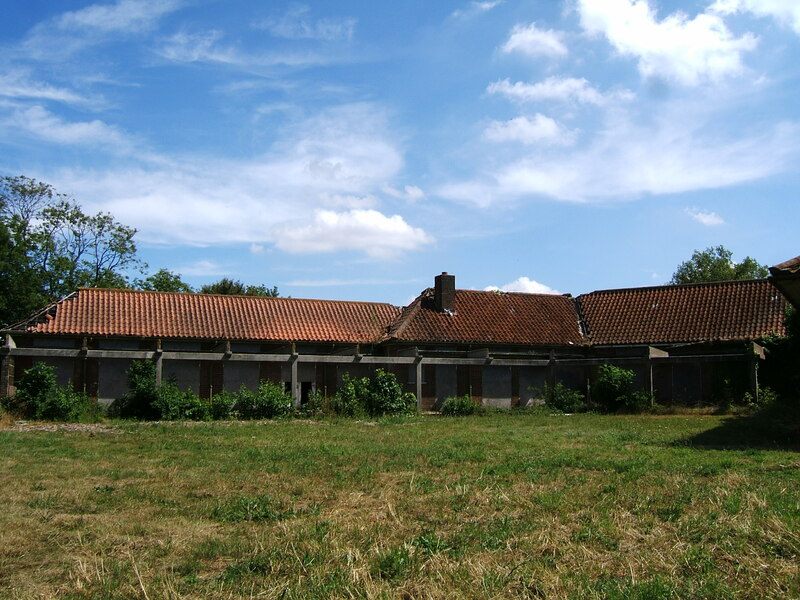 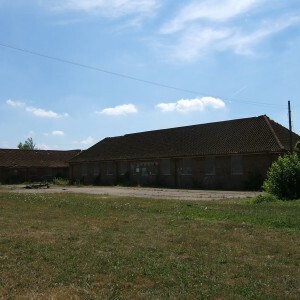 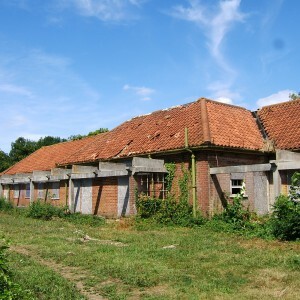 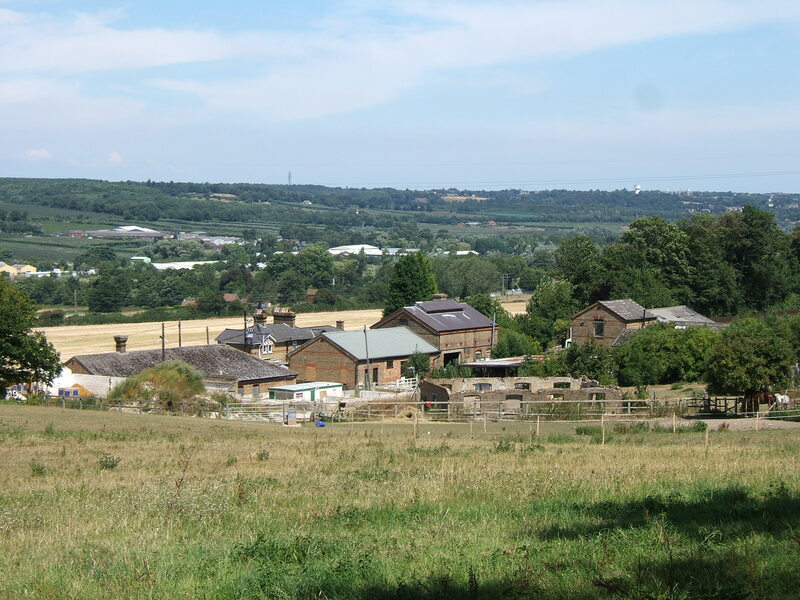 Numerous outlying residences and staff cottages remain in private occupation and the farm survives in a partially utilised state. 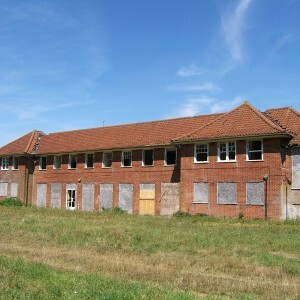 Oak house, Juniper, Redwood and Beech House School survive in derelict condition but are likely to be redeveloped in the near future.